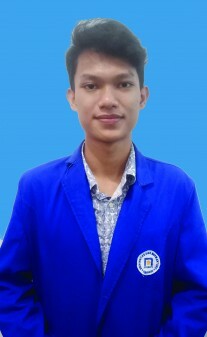 Being the most prominent choice in informatics studies with entrepreneurial capacities as the privilege one is a mission for the faculty to accomplish. 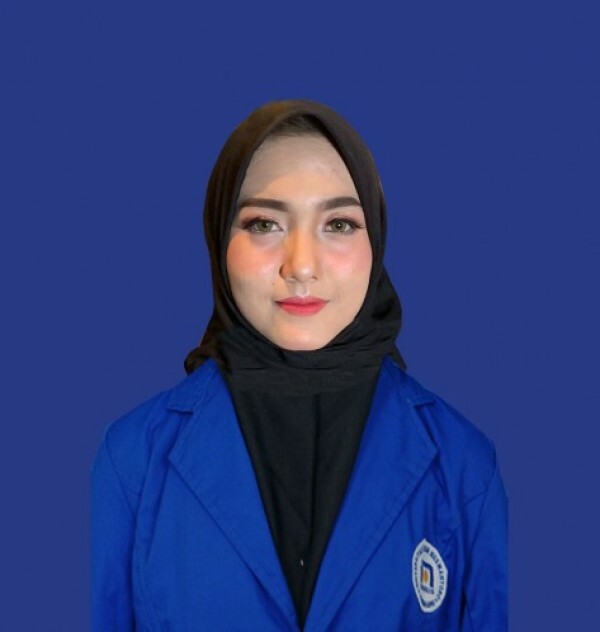 With sophisticated infrastructures, qualified lecturers, and excellent programs, the faculty has obviously completed the mission. 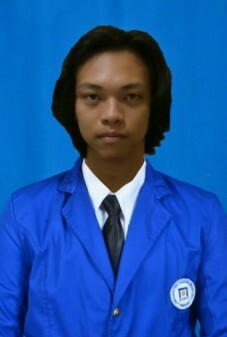 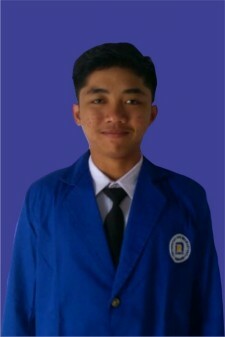 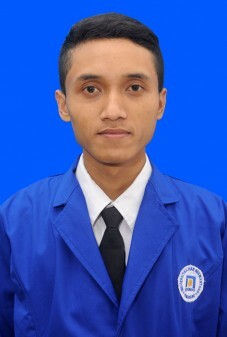 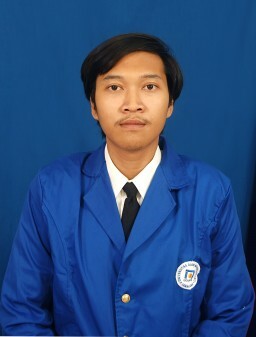 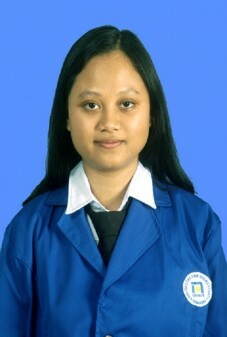 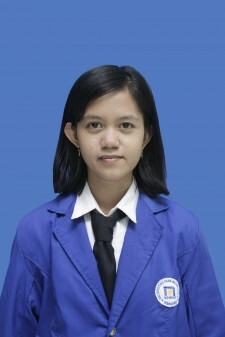 As a result, the faculty of computer sciences is considered as the mainstay of Dian Nuswantoro University of Semarang. 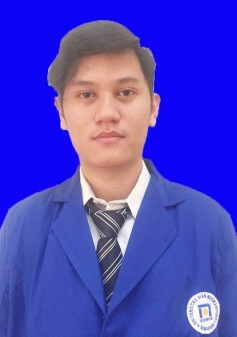 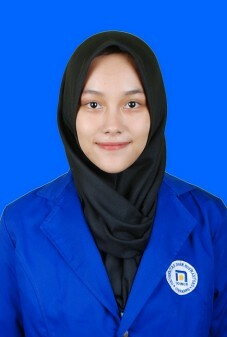 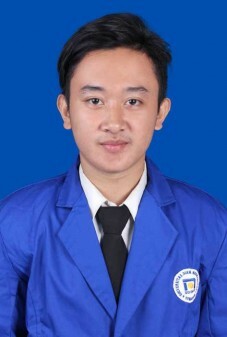 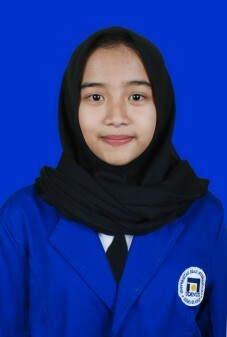 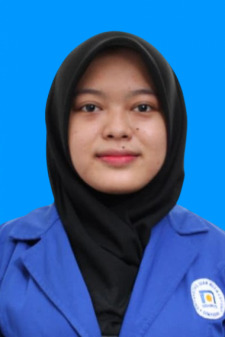 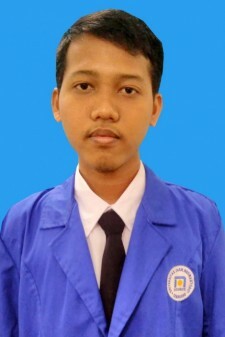 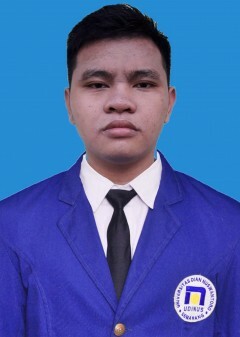 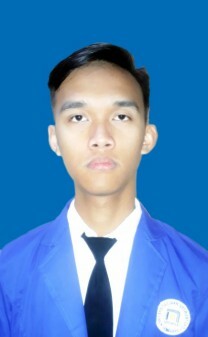 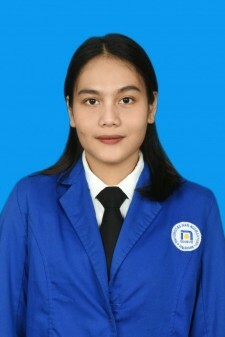 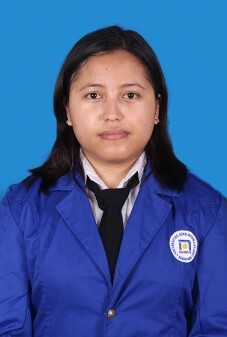 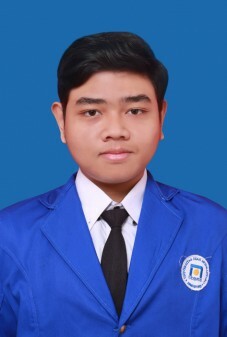 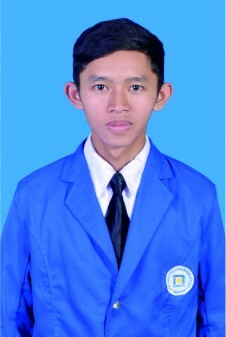 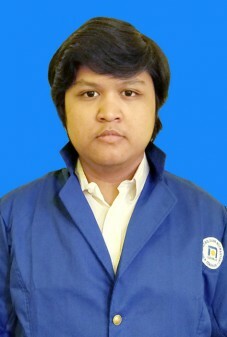 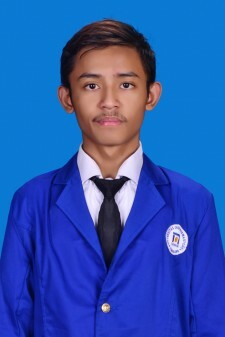 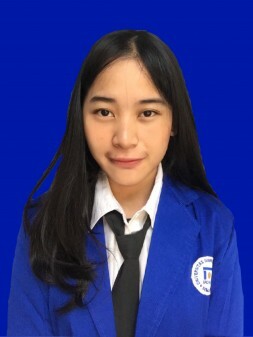 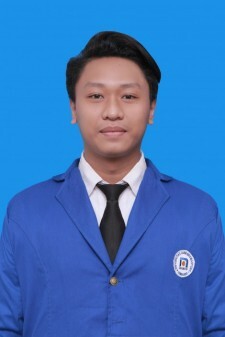 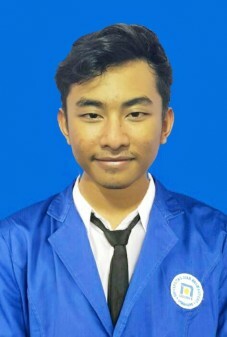 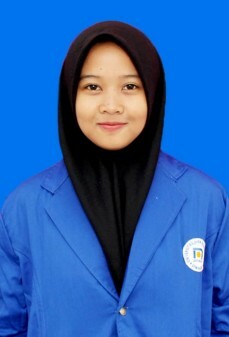 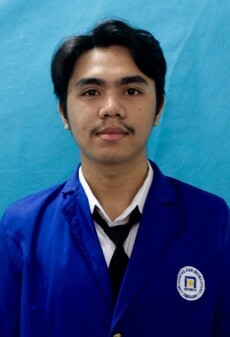 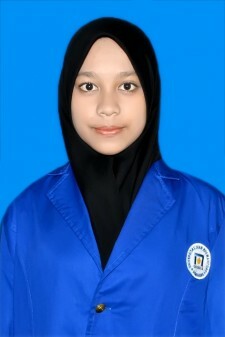 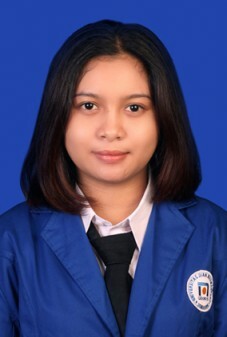 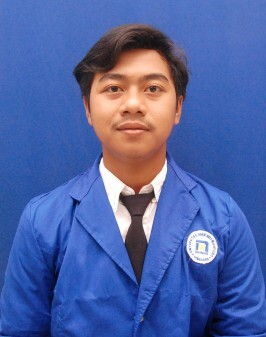 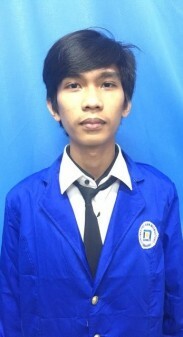 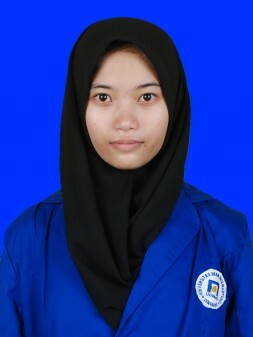 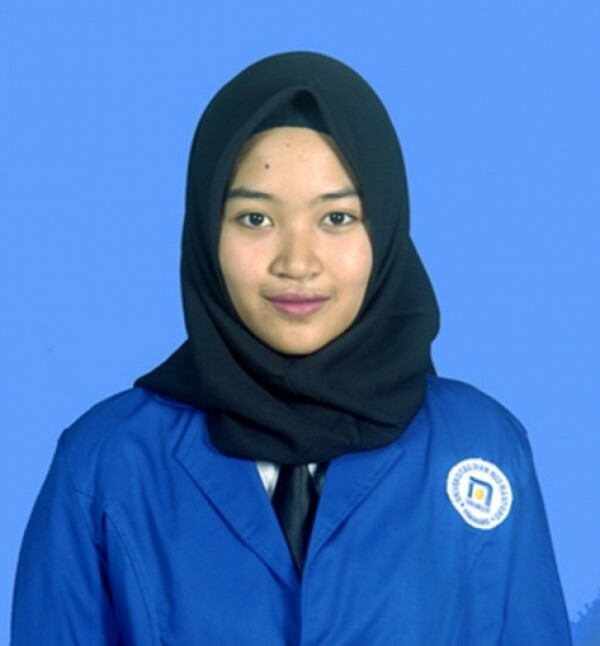 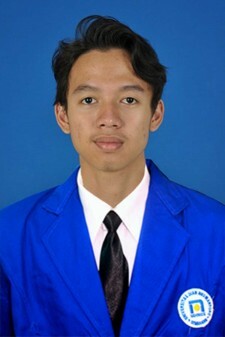 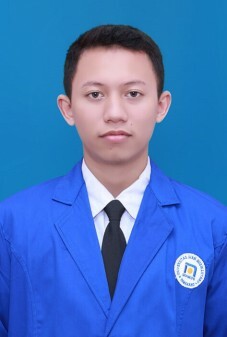 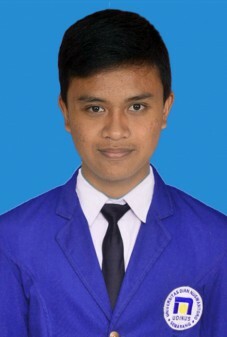 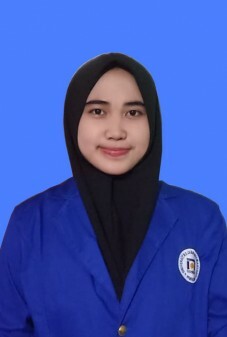 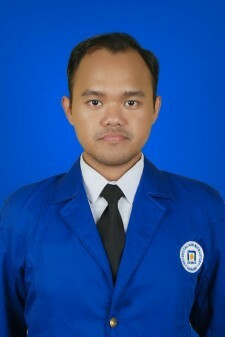 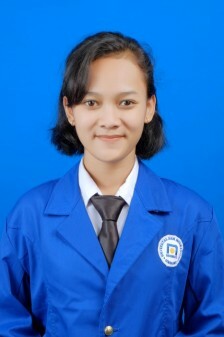 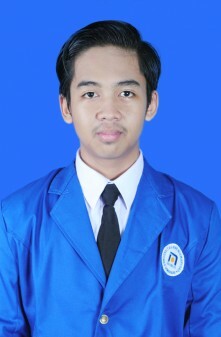 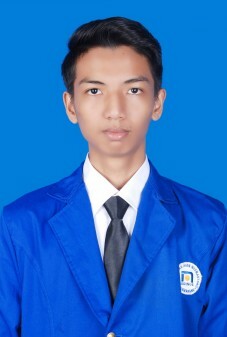 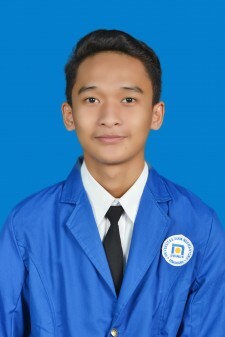 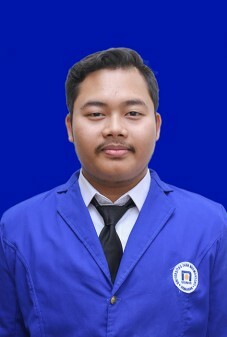 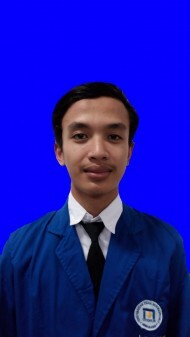 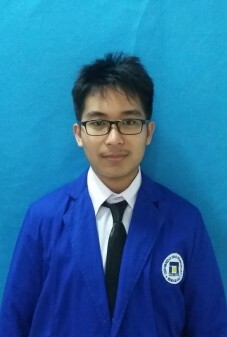 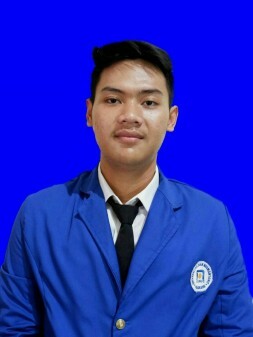 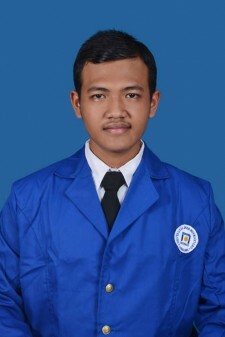 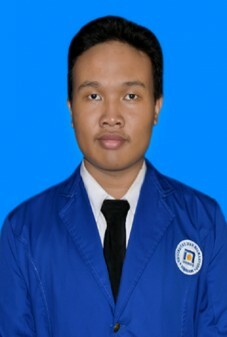 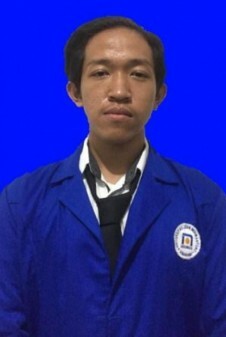 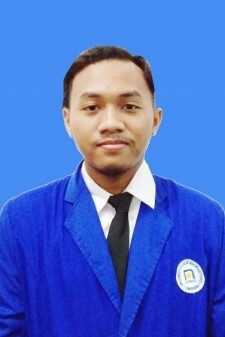 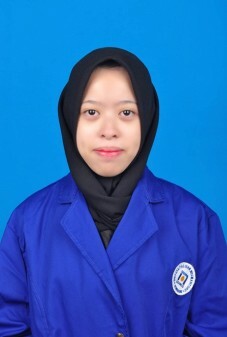 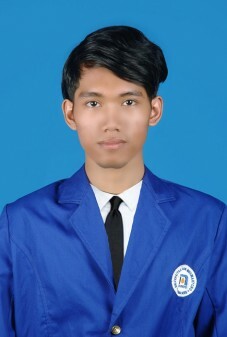 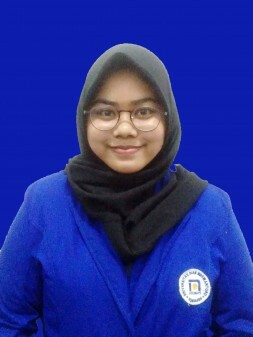 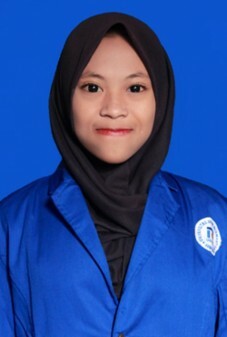 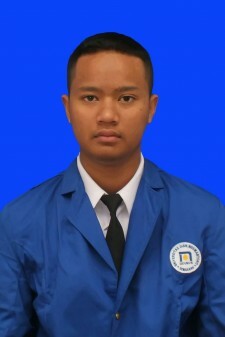 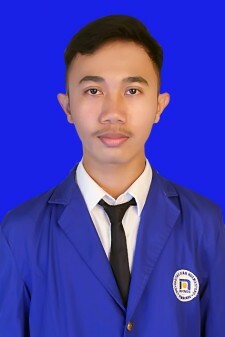 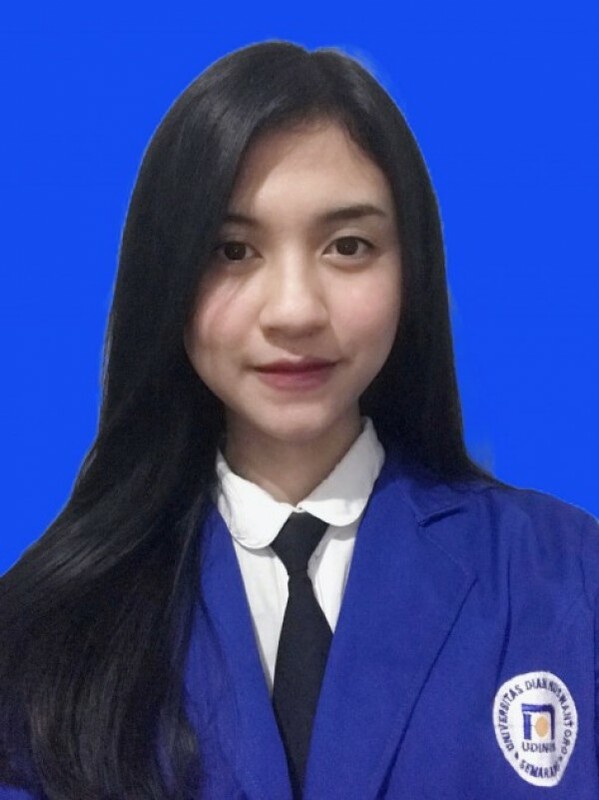 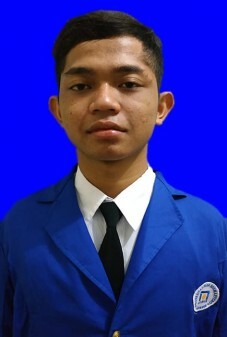 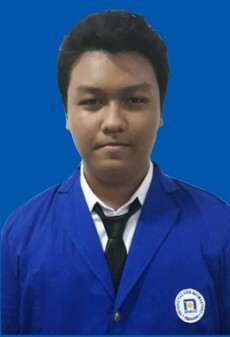 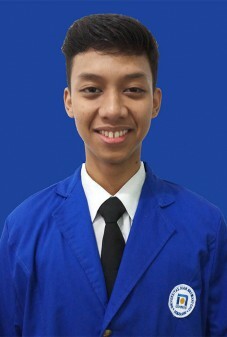 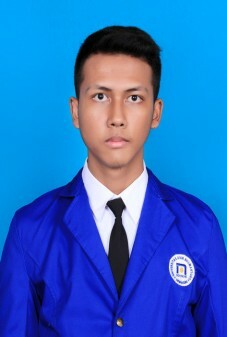 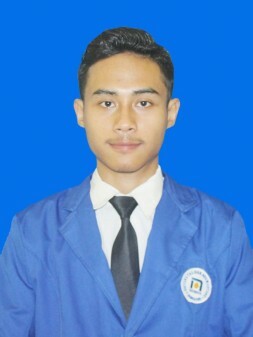 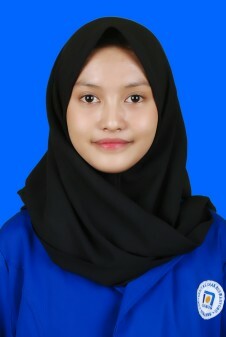 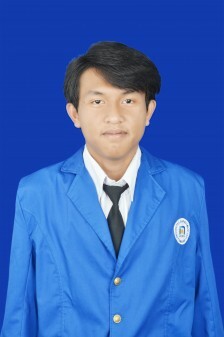 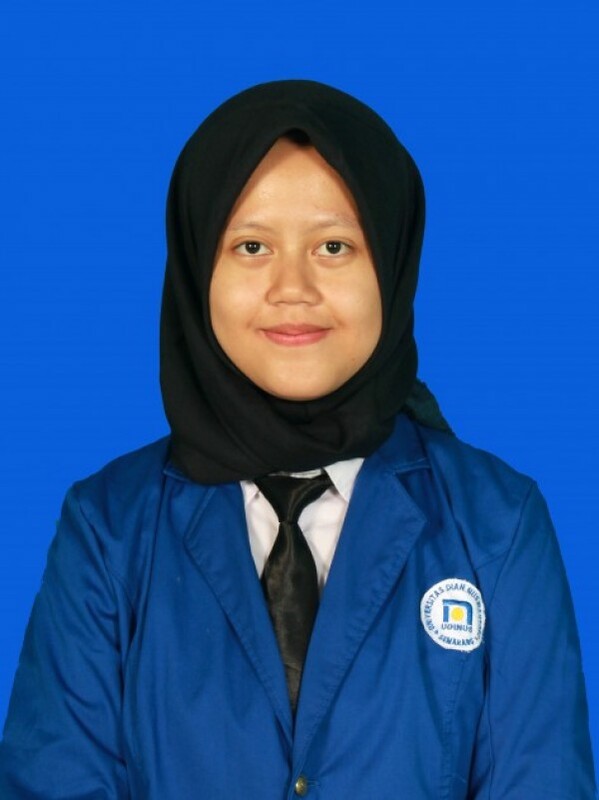 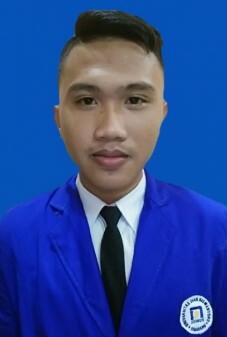 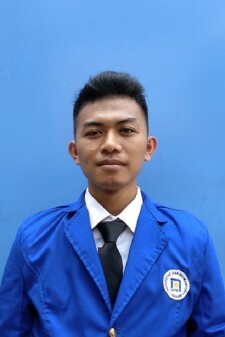 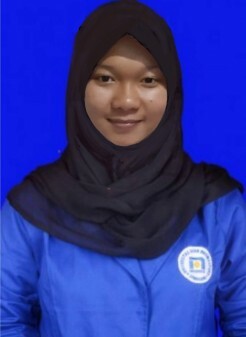 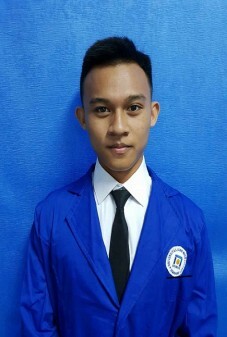 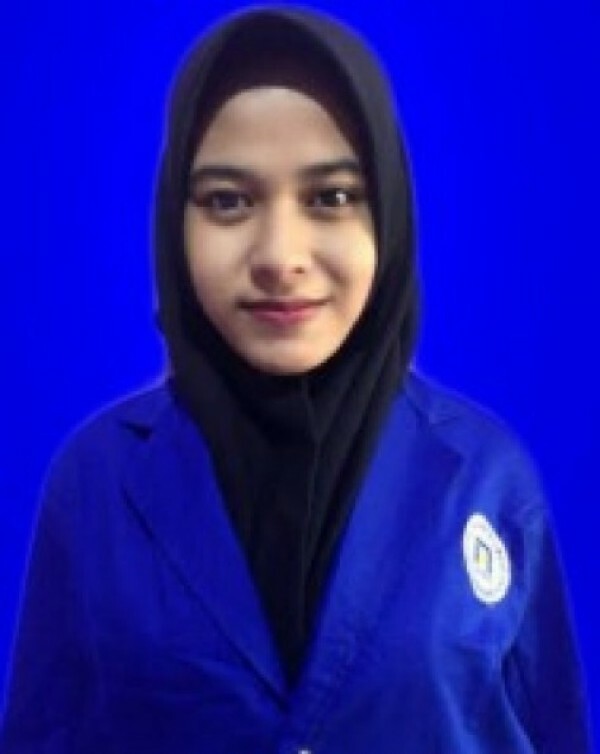 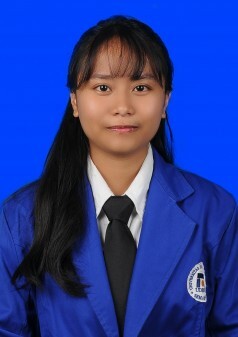 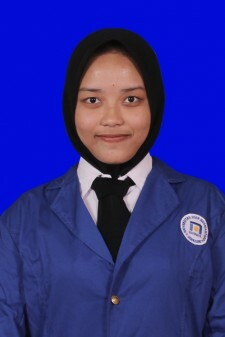 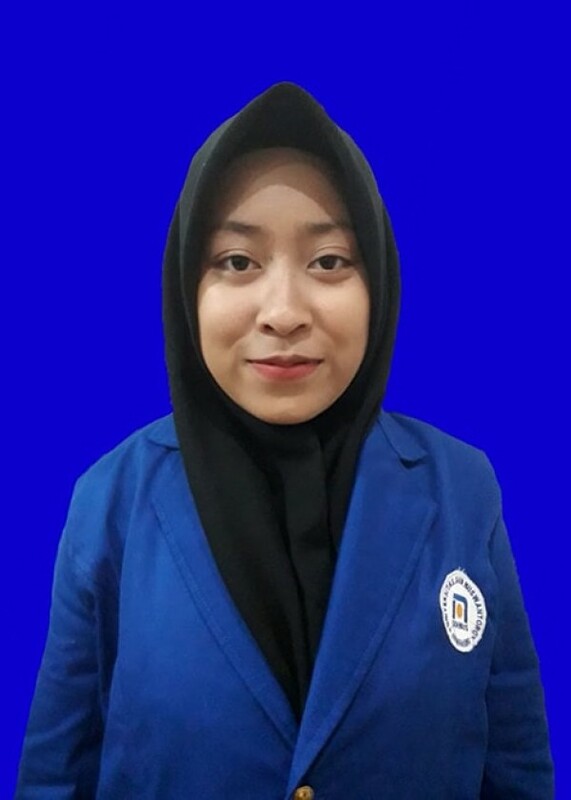 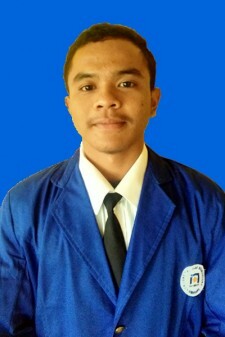 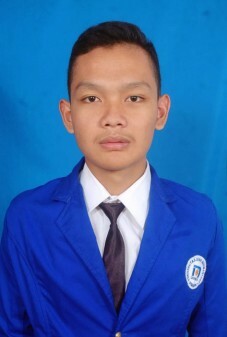 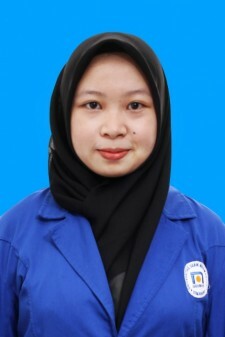 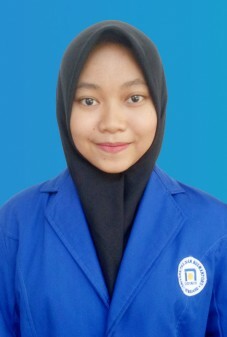 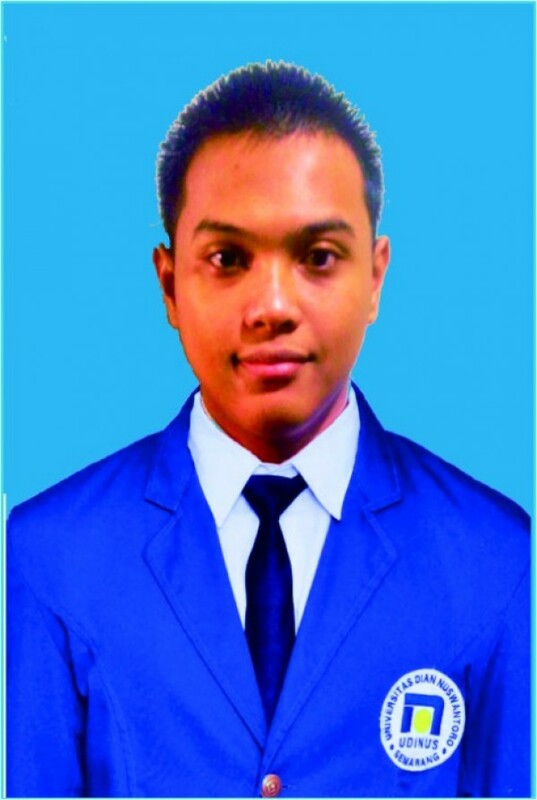 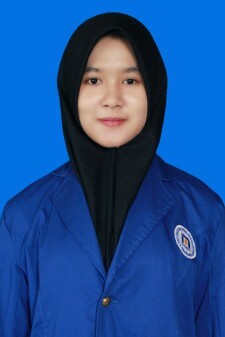 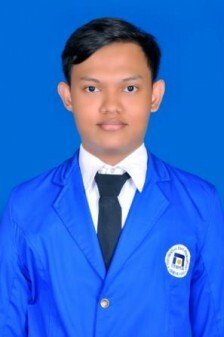 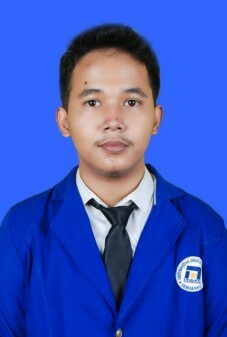 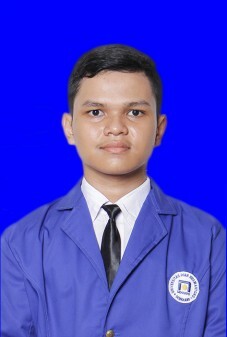 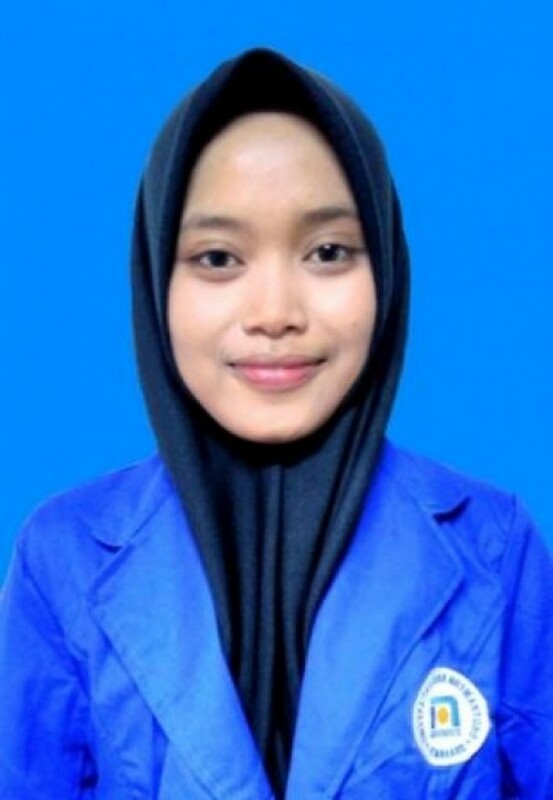 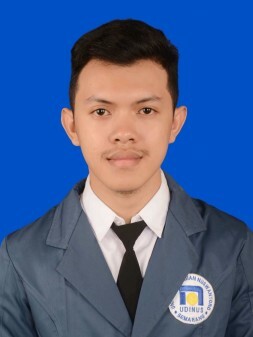 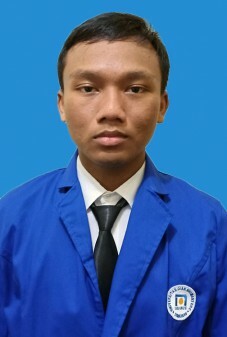 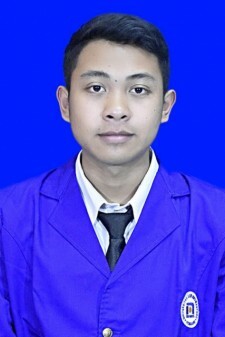 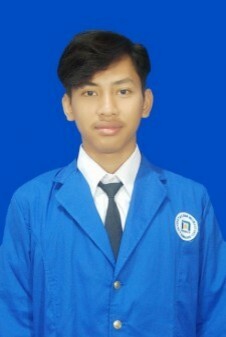 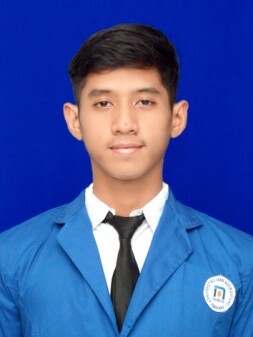 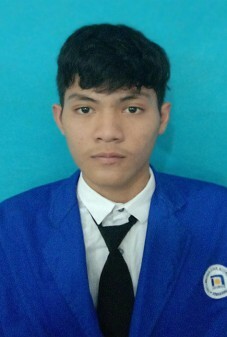 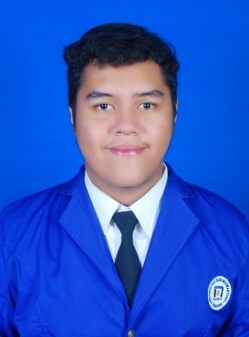 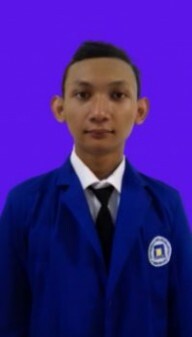 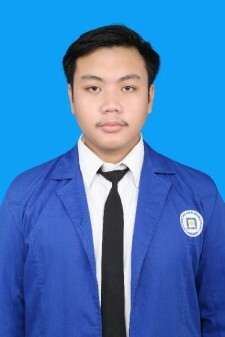 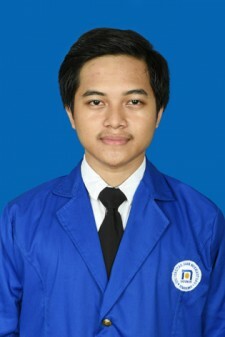 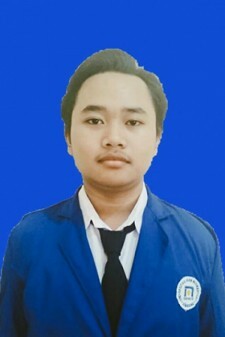 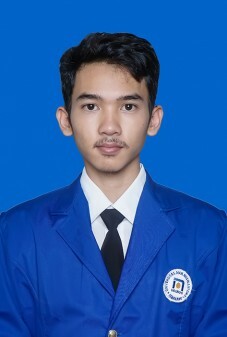 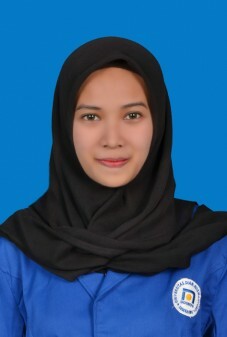 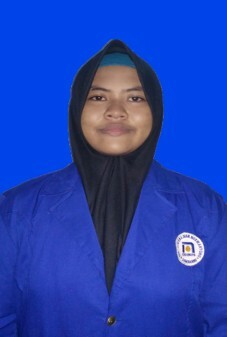 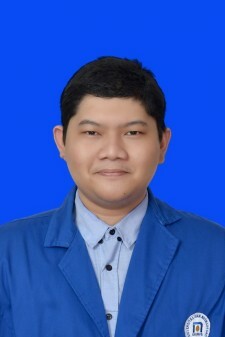 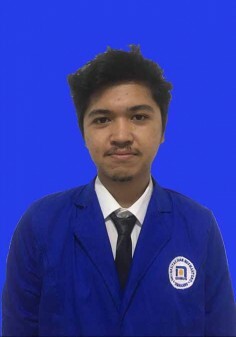 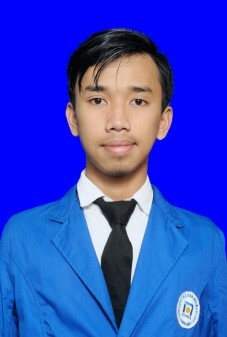 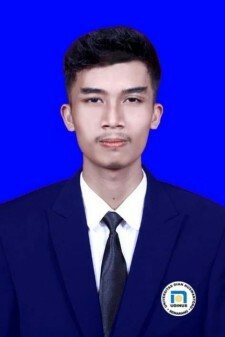 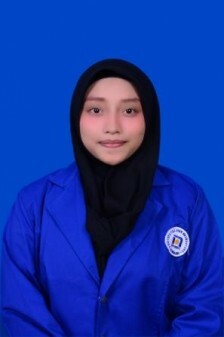 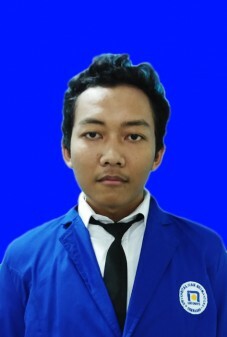 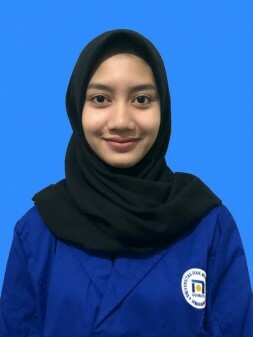 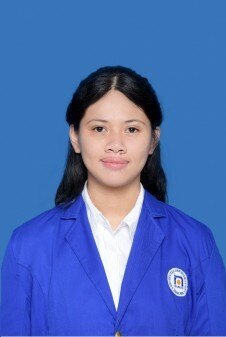 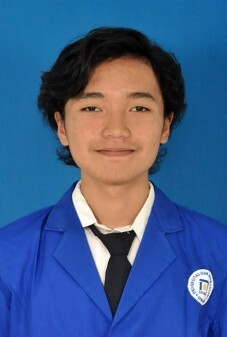 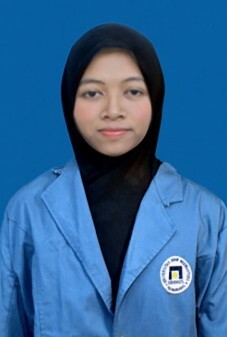 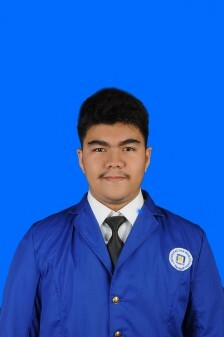 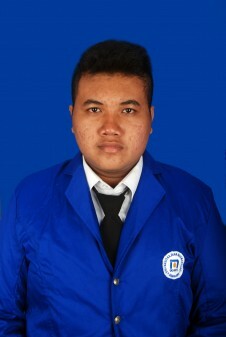 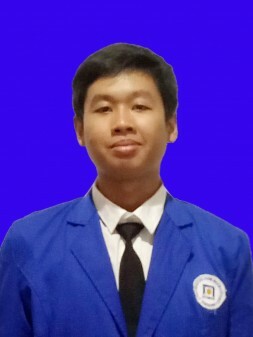 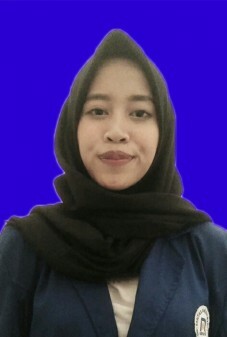 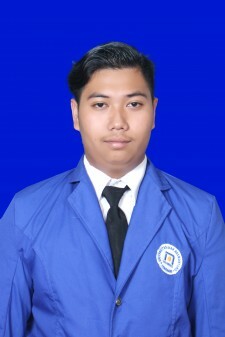 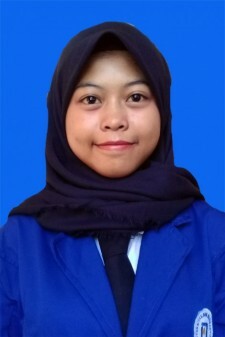 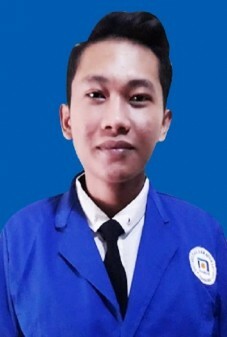 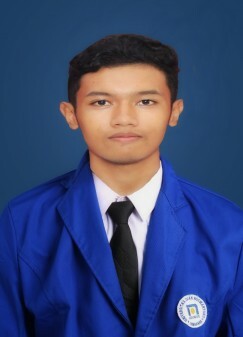 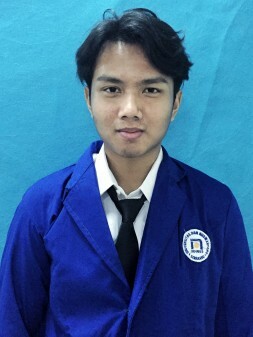 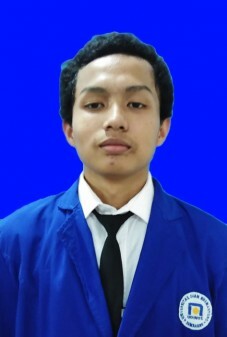 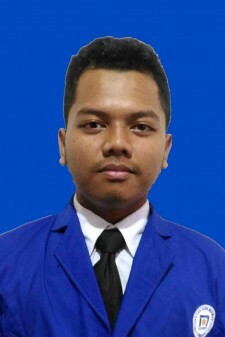 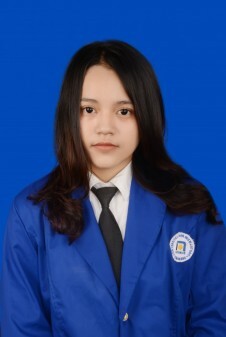 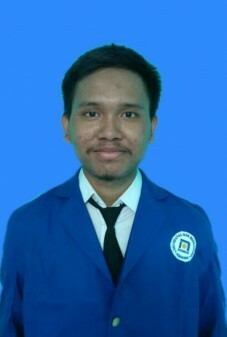 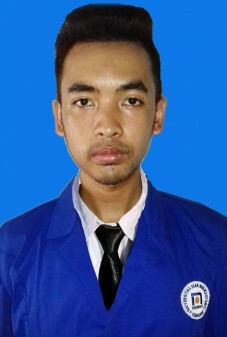 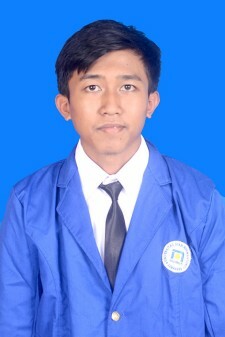 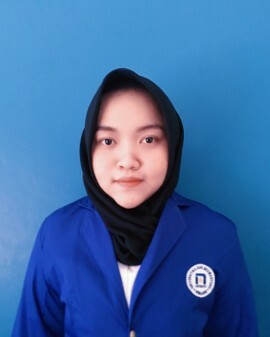 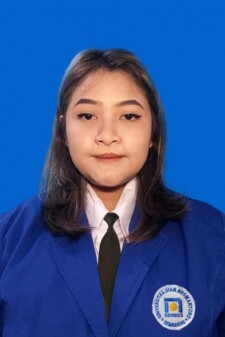 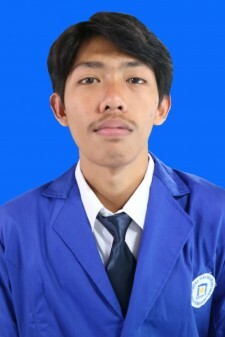 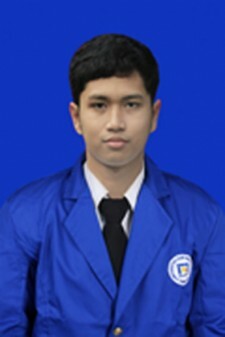 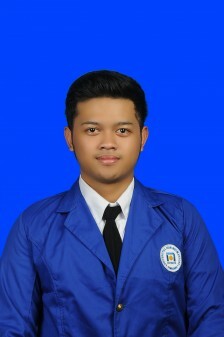 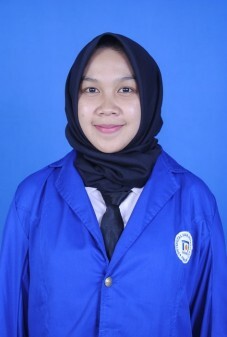 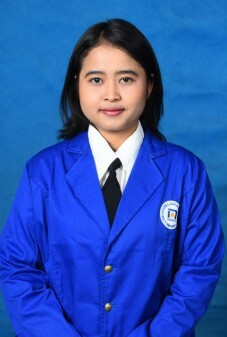 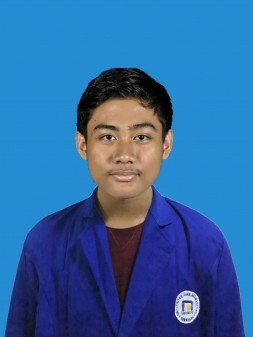 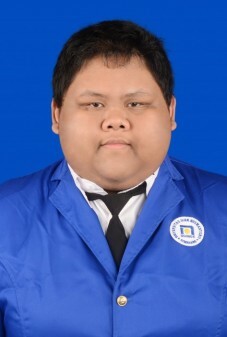 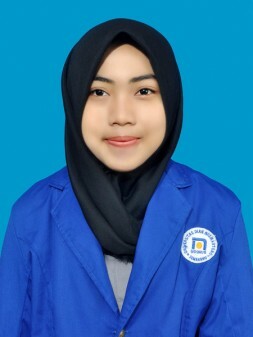 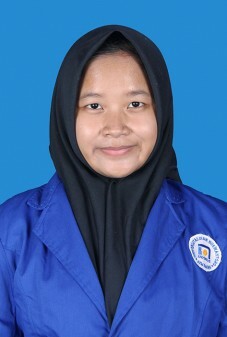 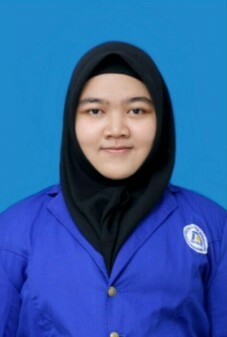 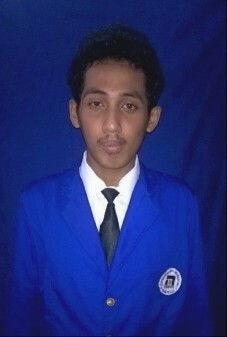 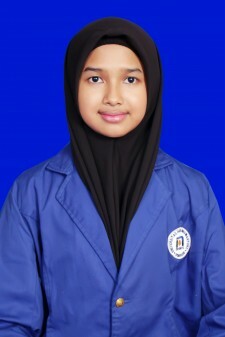 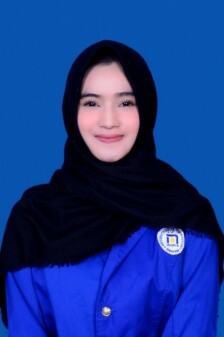 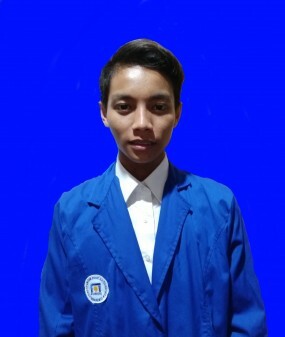 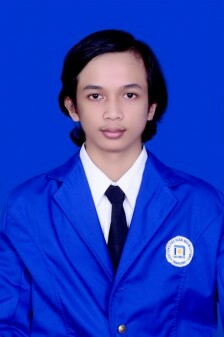 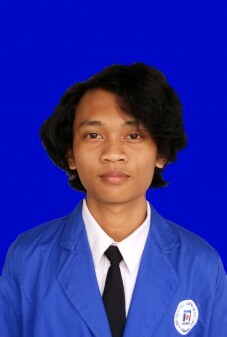 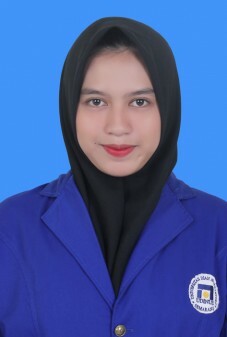 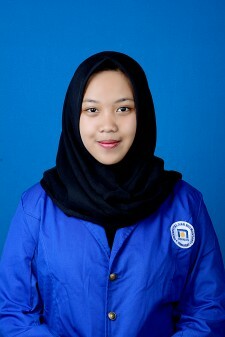 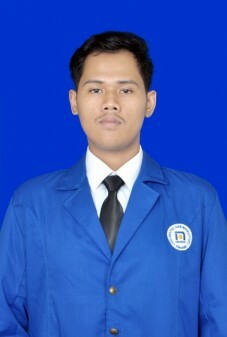 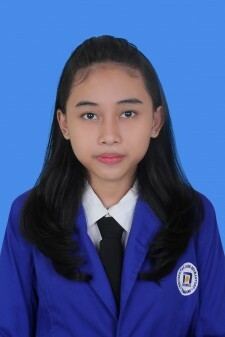 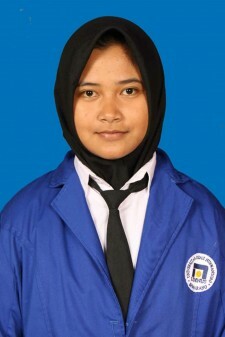 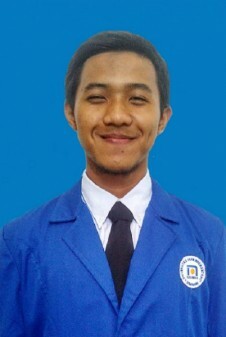 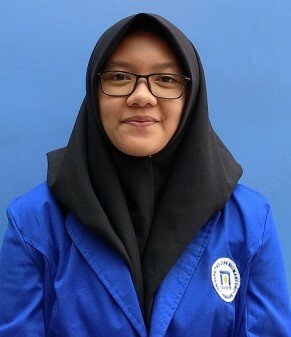 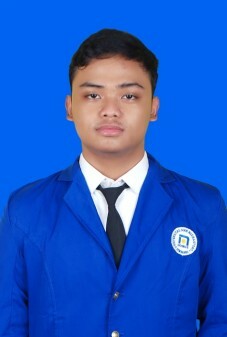 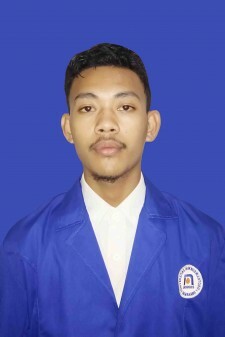 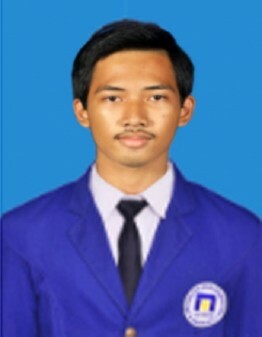 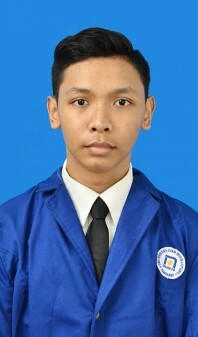 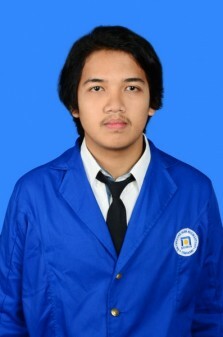 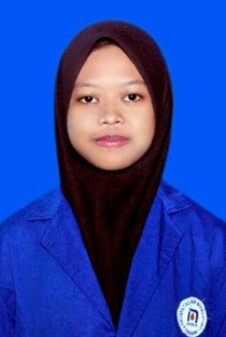 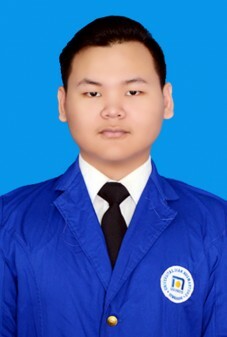 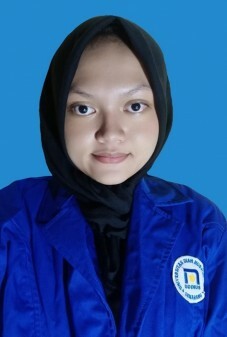 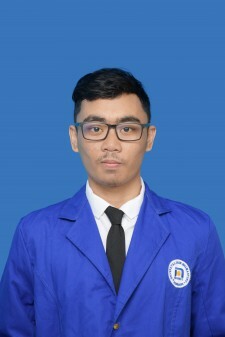 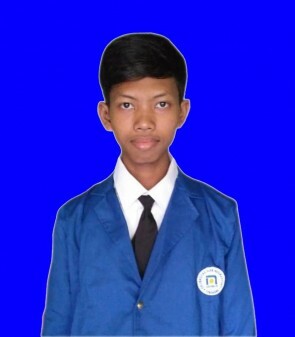 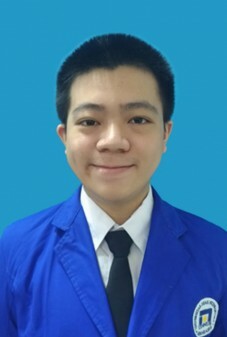 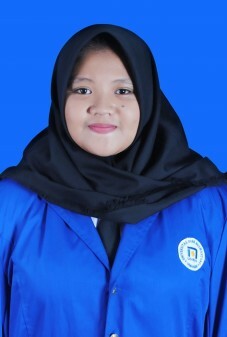 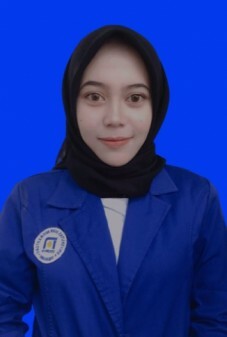 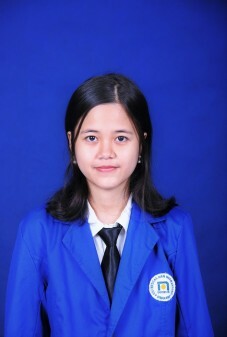 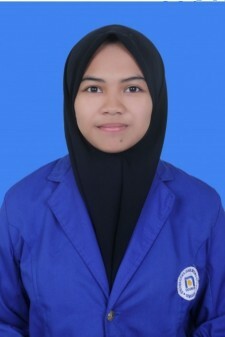 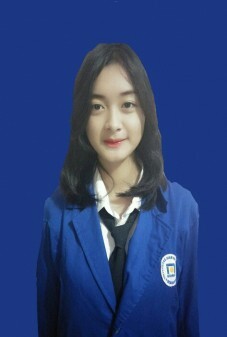 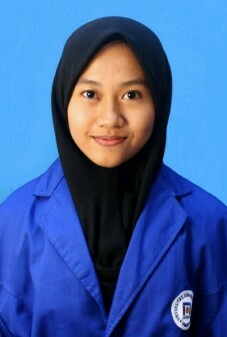 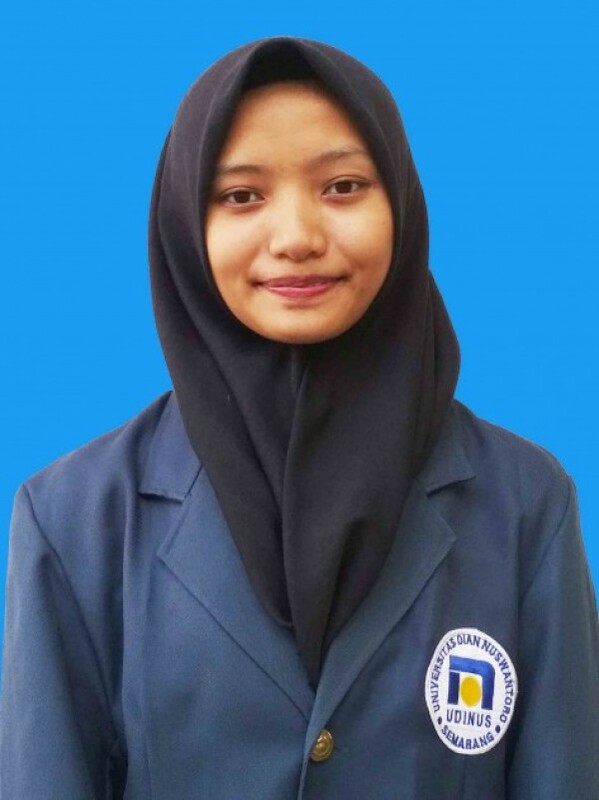 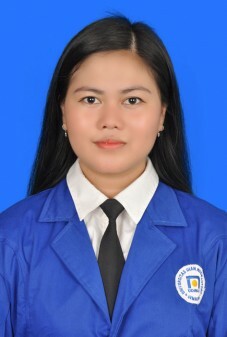 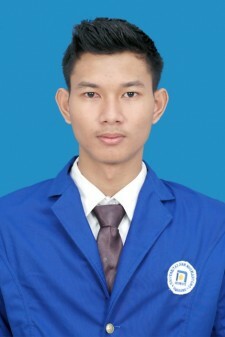 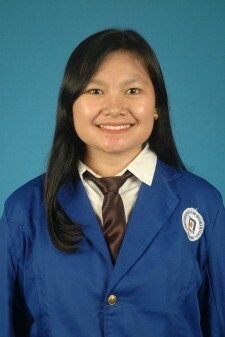 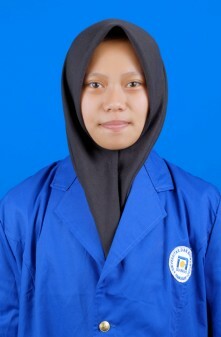 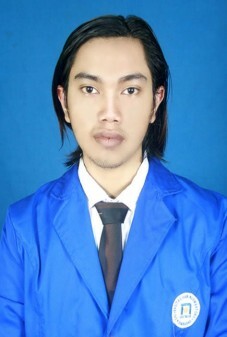 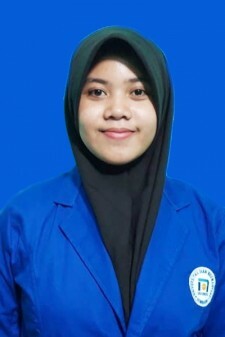 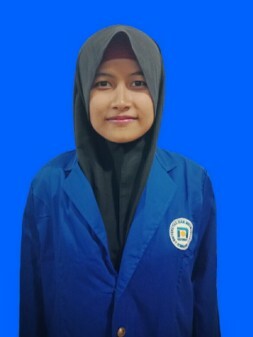 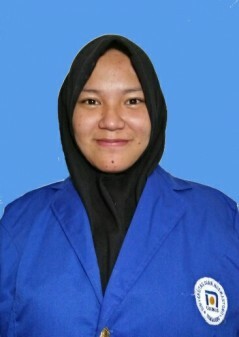 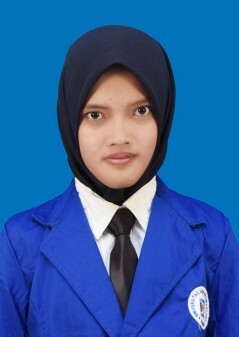 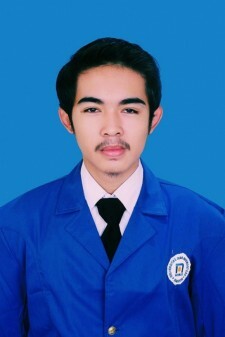 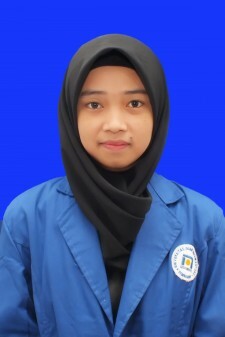 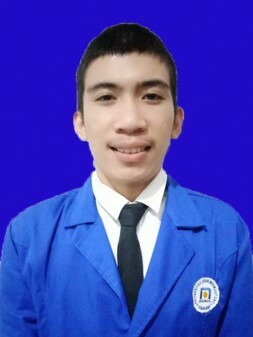 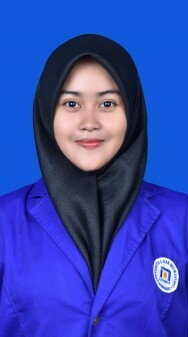 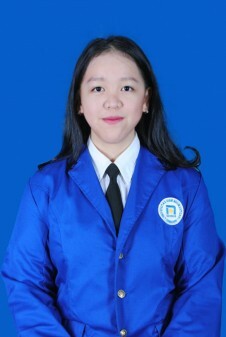 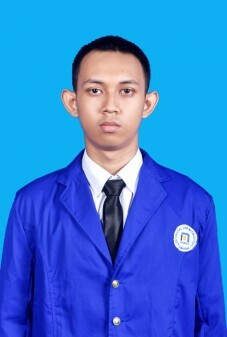 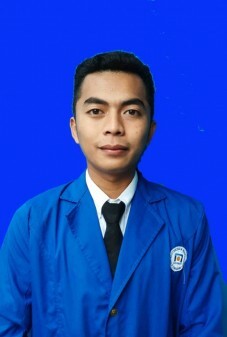 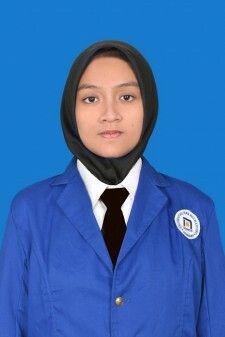 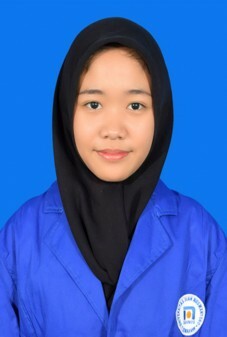 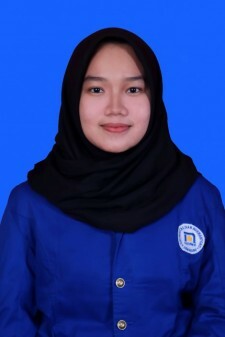 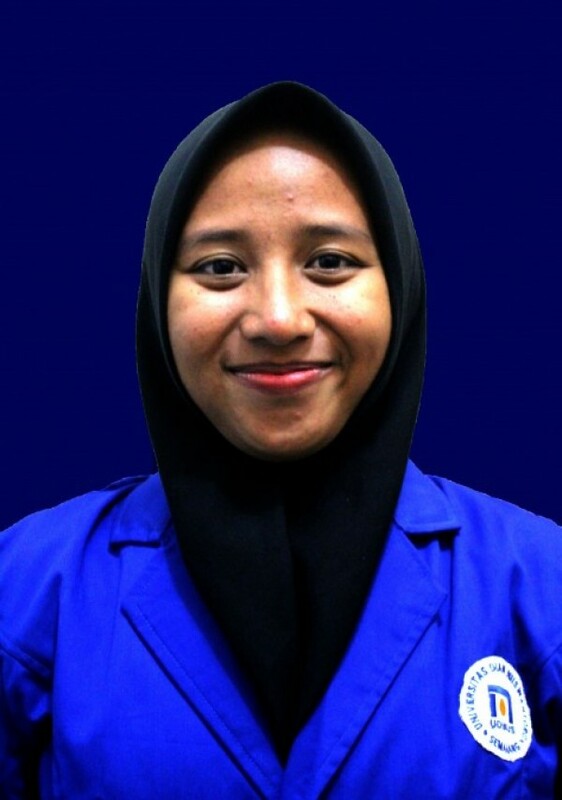 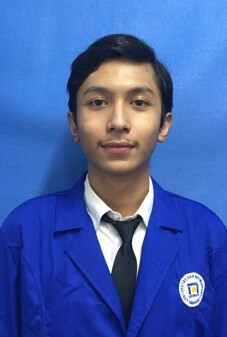 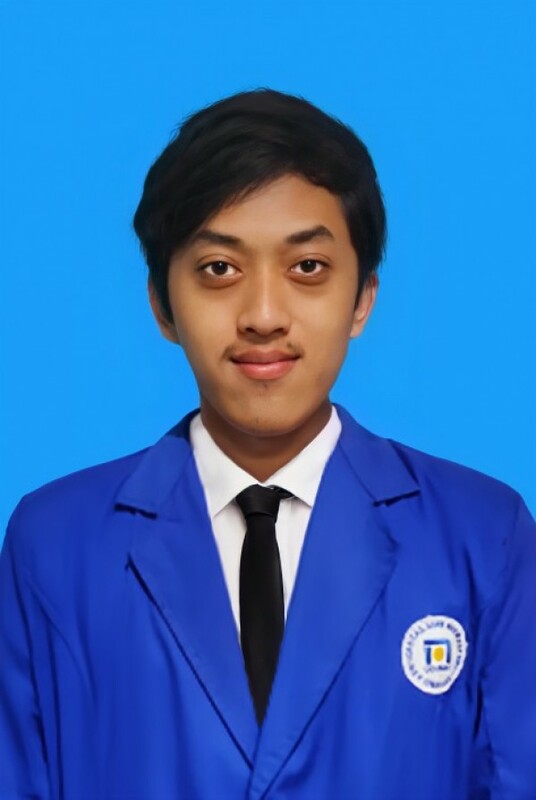 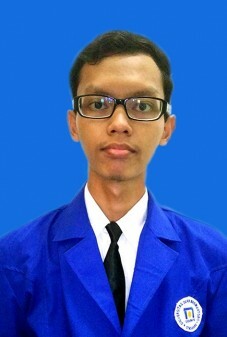 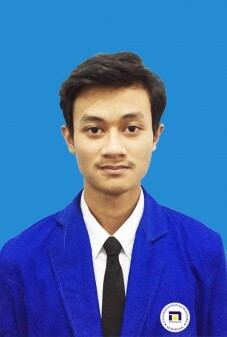 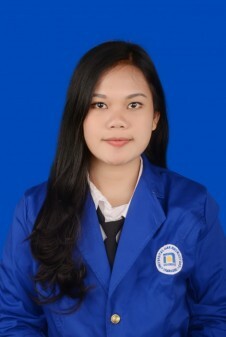 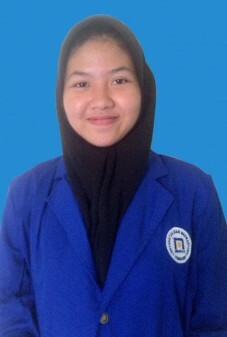 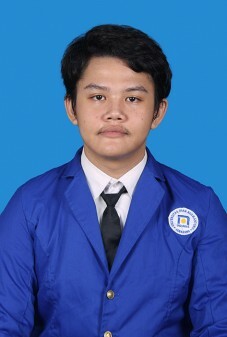 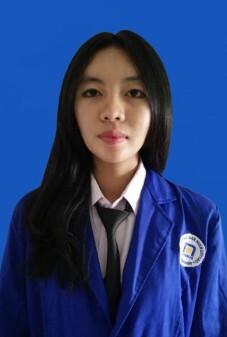 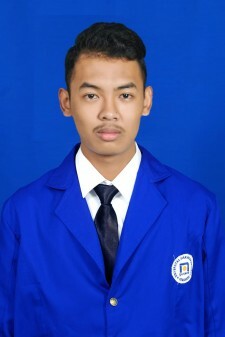 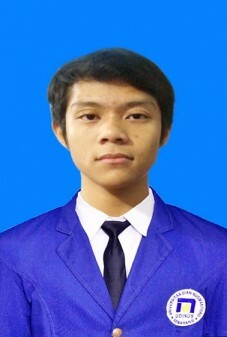 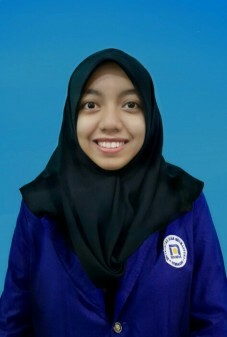 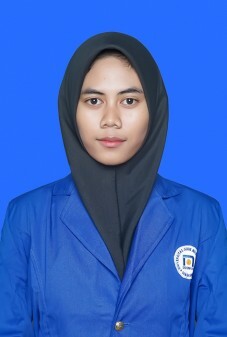 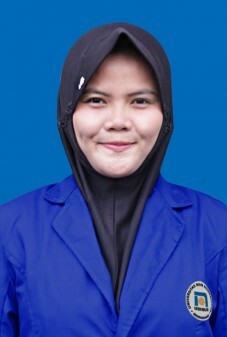 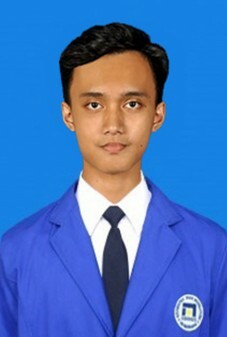 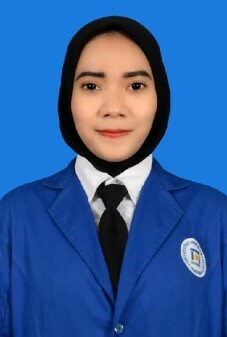 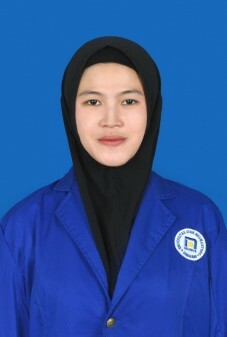 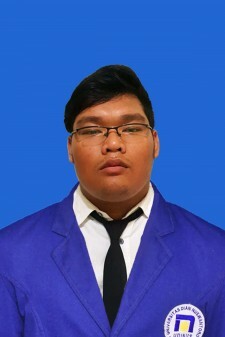 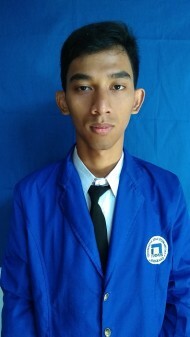 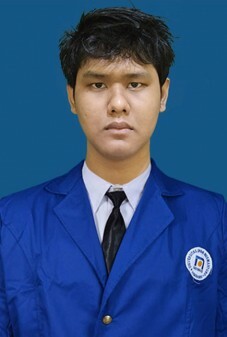 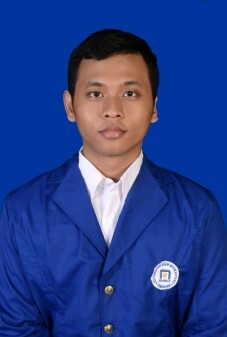 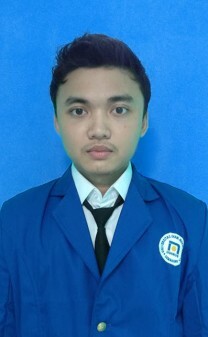 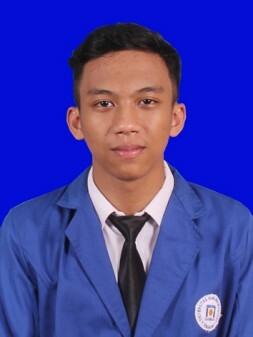 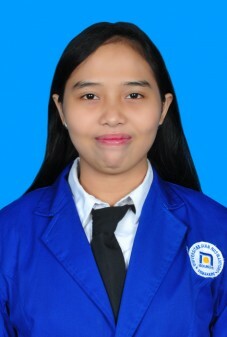 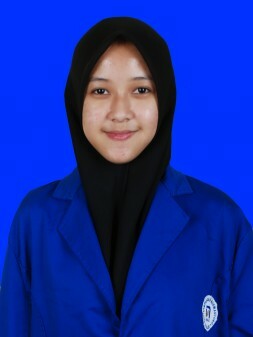 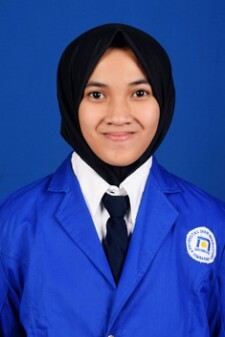 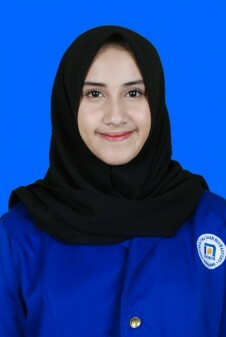 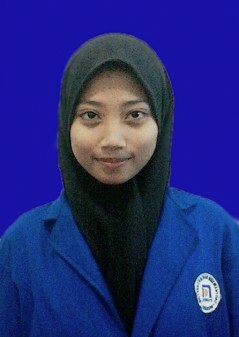 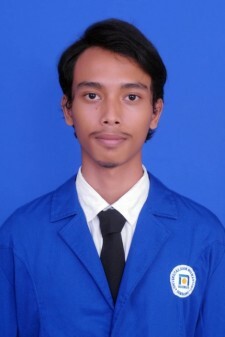 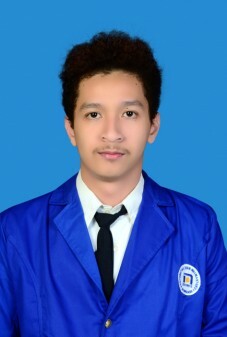 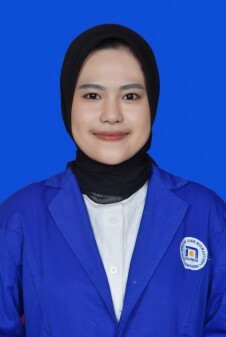 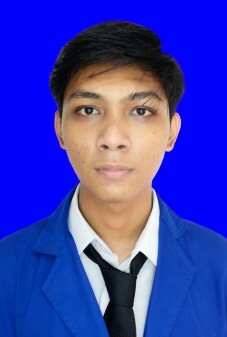 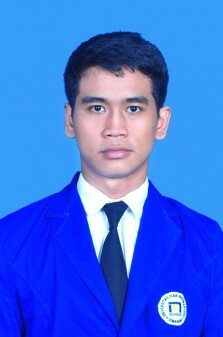 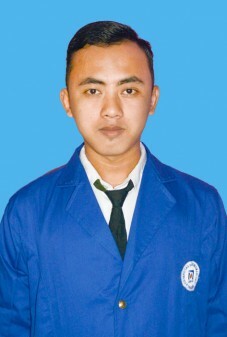 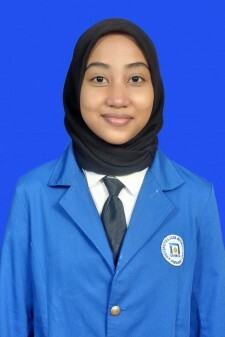 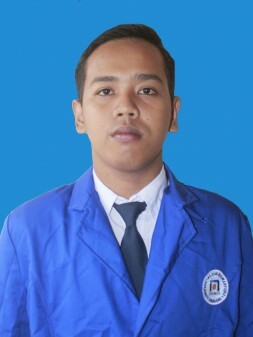 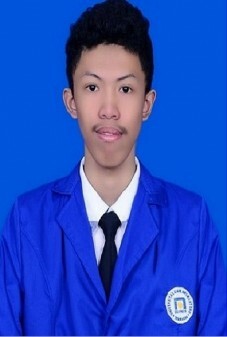 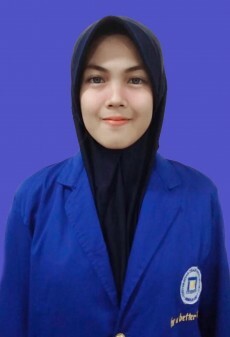 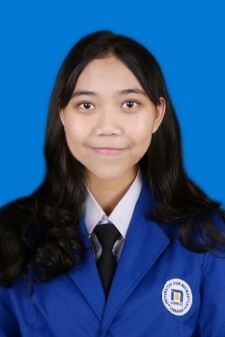 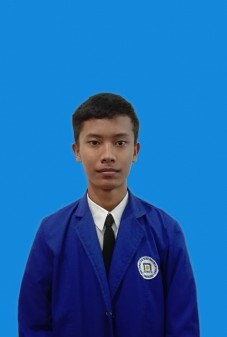 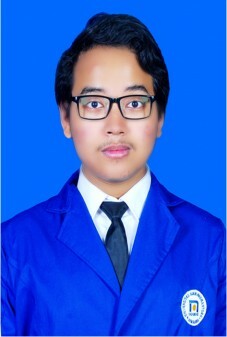 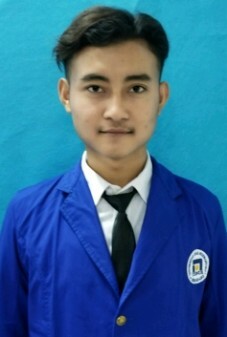 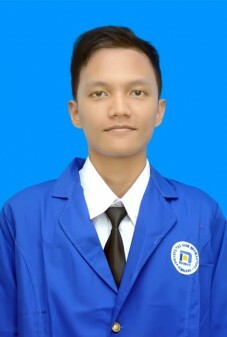 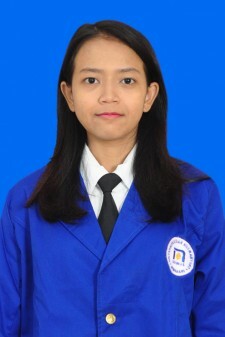 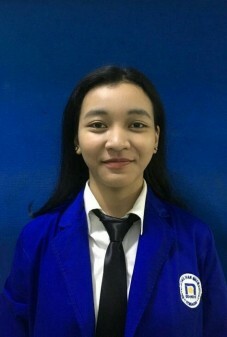 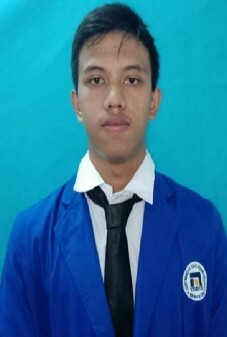 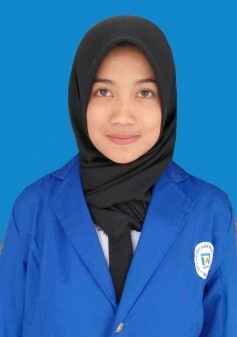 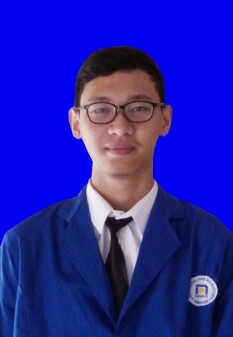 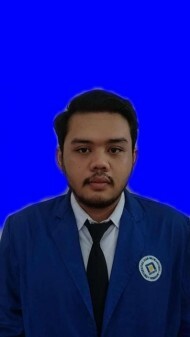 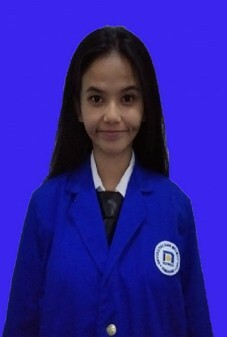 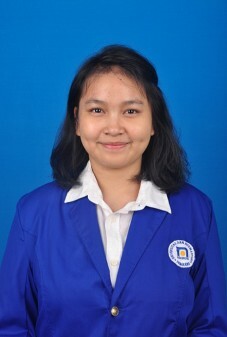 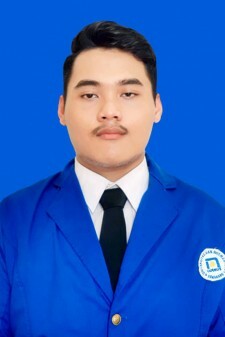 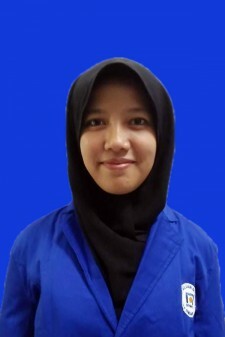 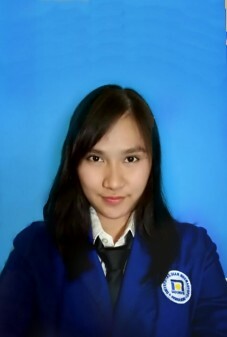 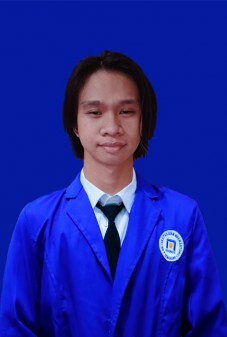 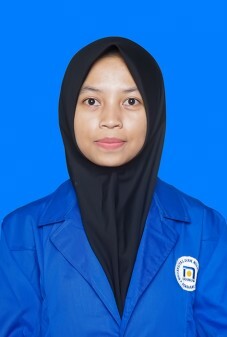 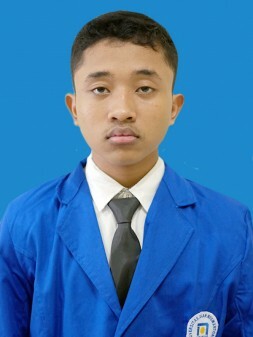 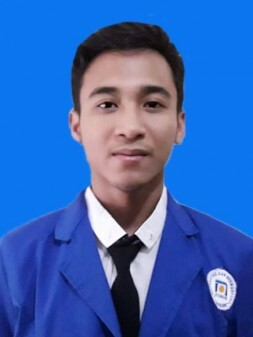 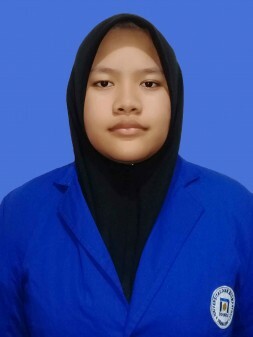 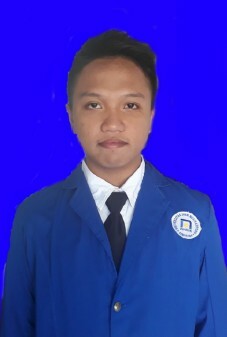 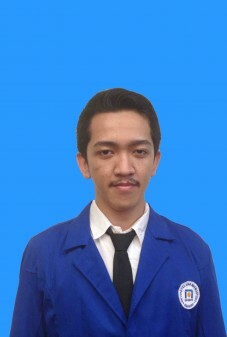 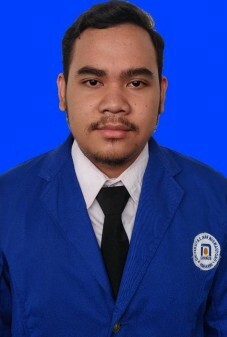 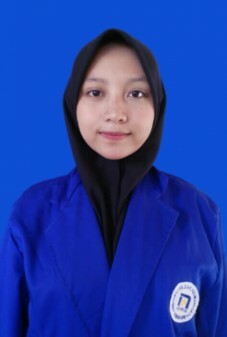 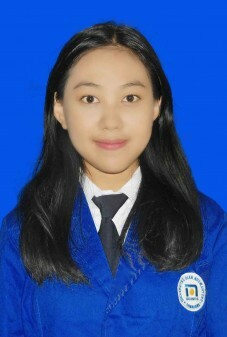 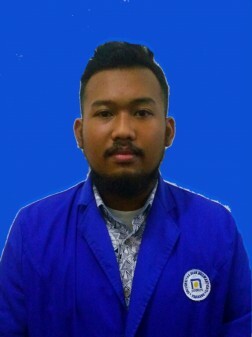 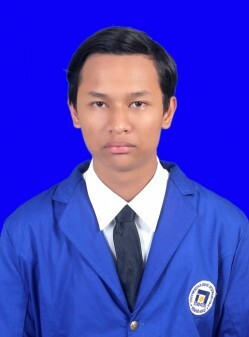 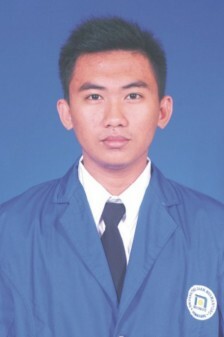 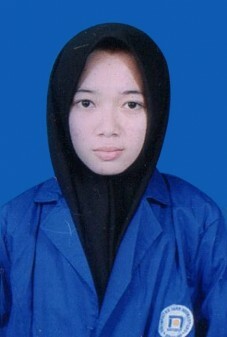 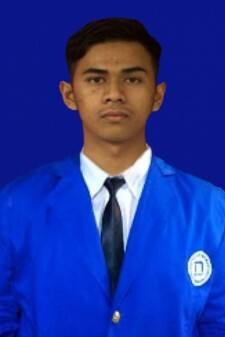 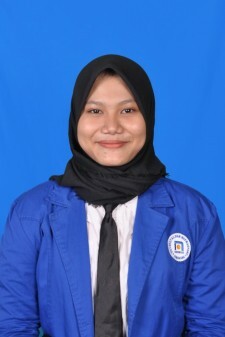 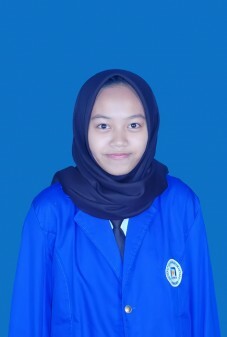 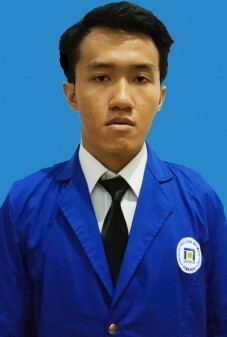 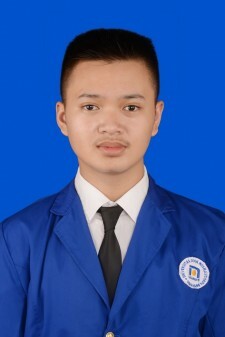 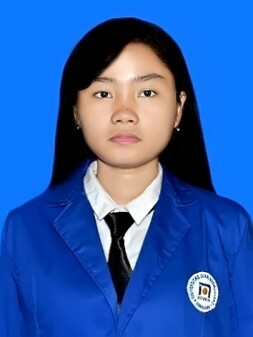 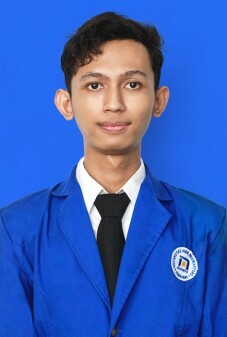 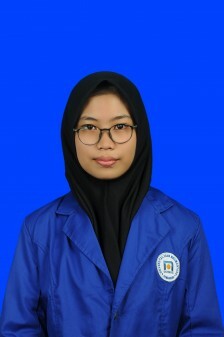 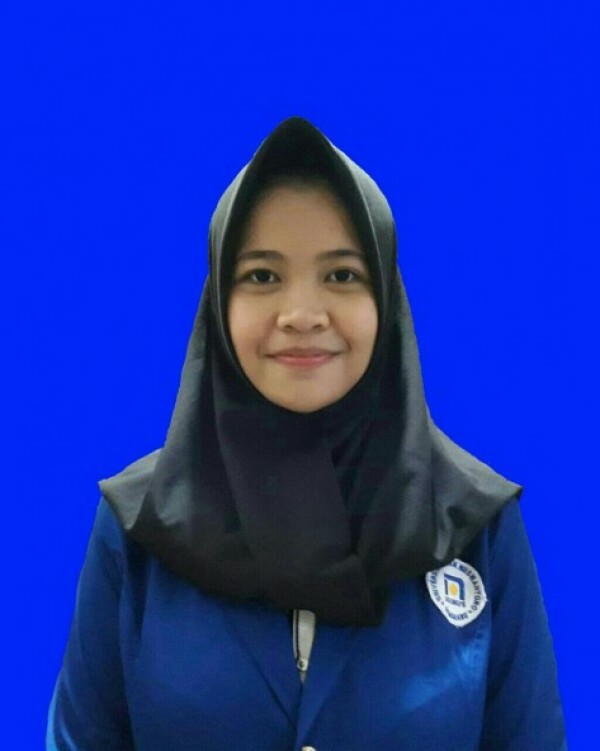 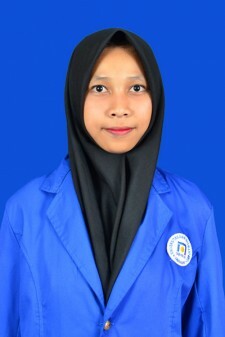 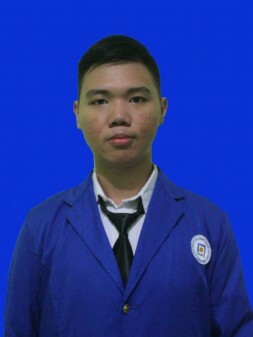 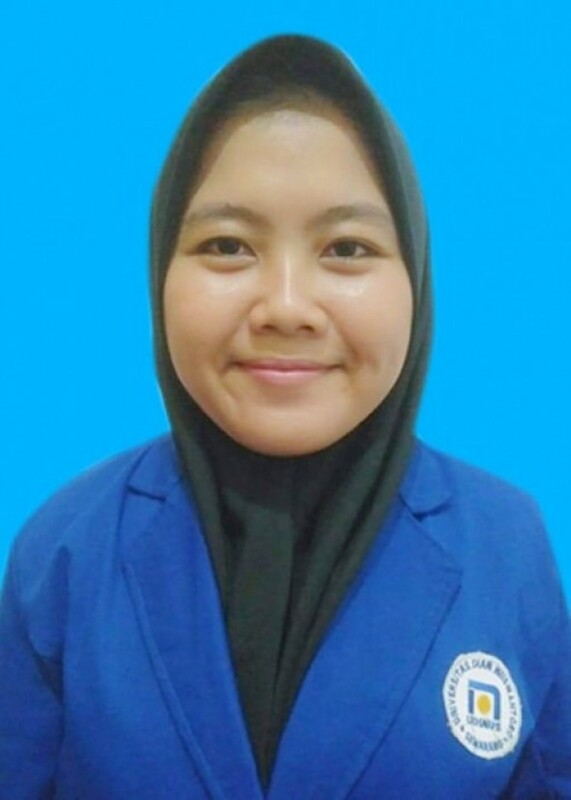 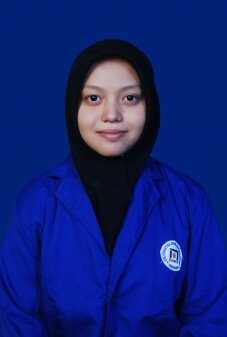 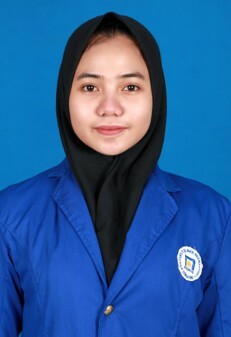 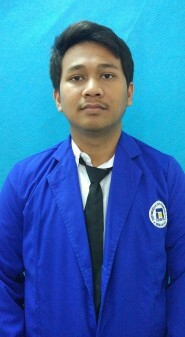 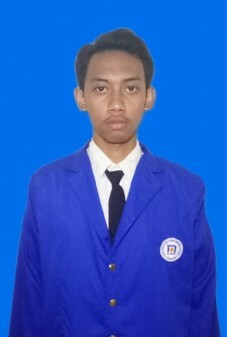 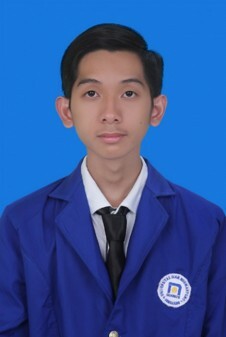 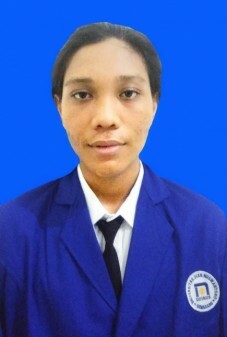 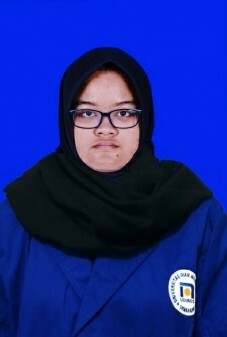 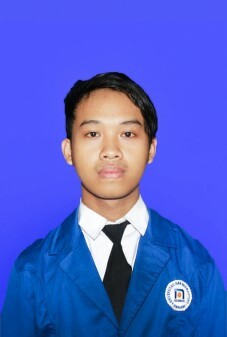 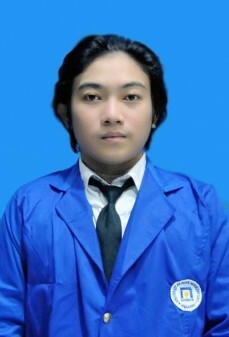 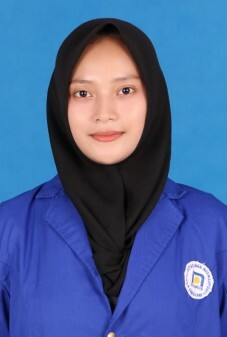 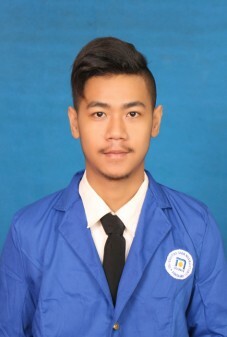 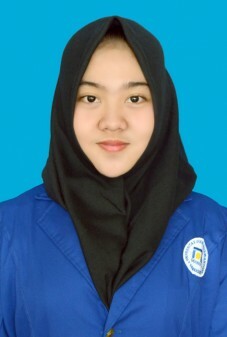 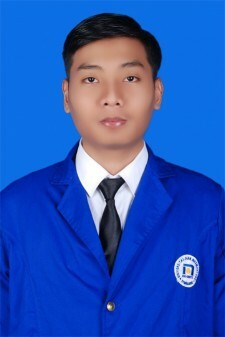 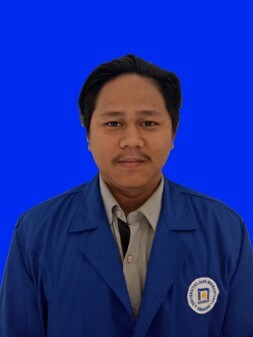 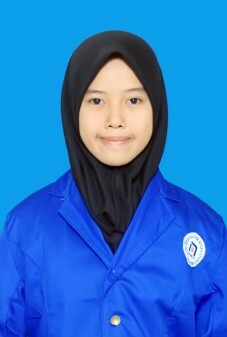 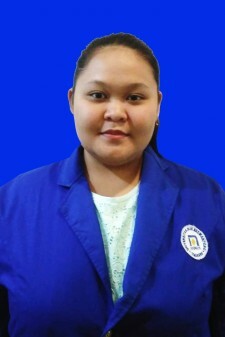 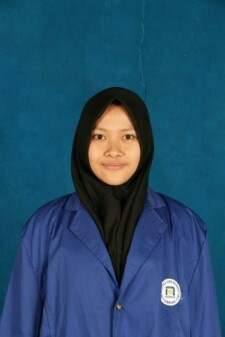 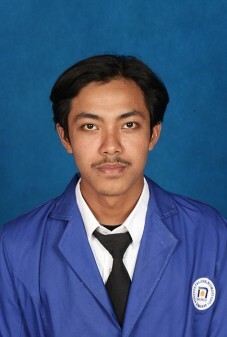 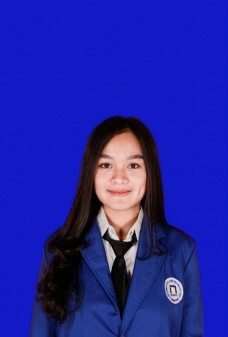 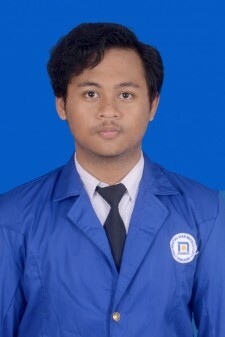 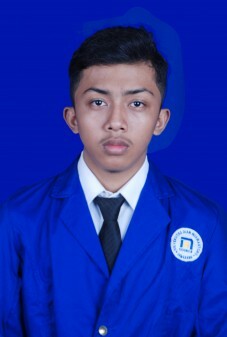 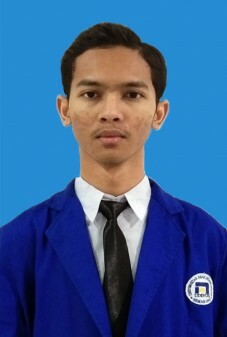 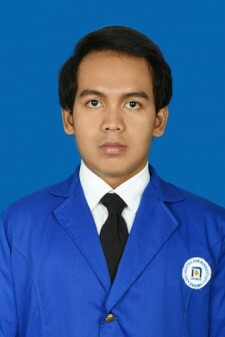 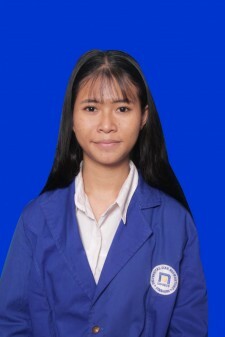 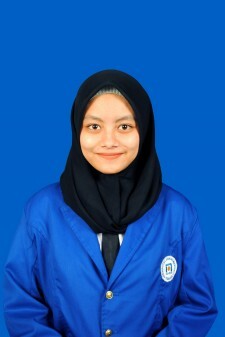 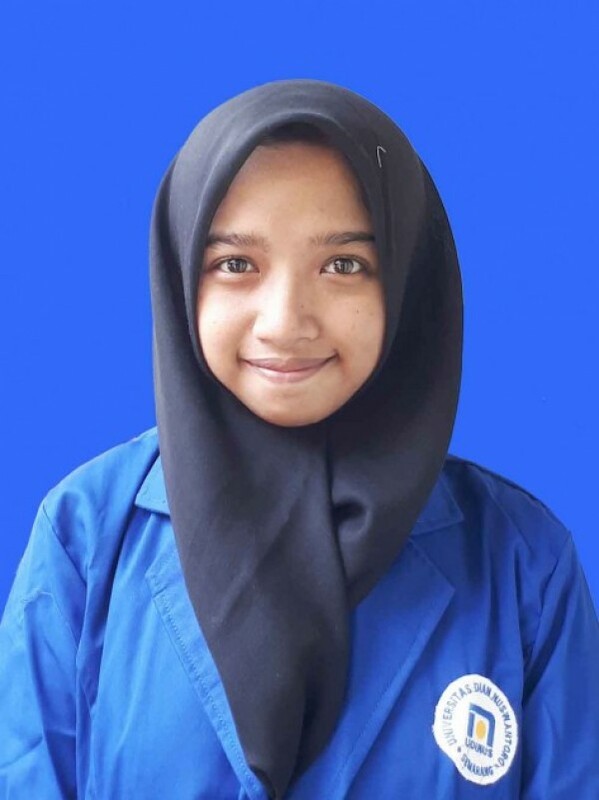 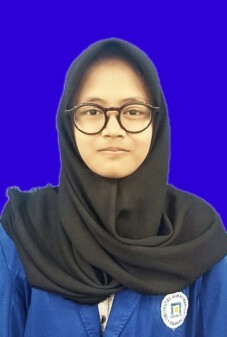 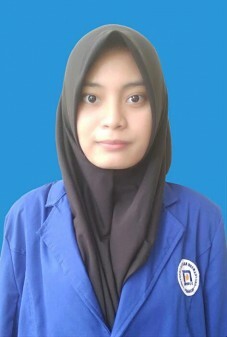 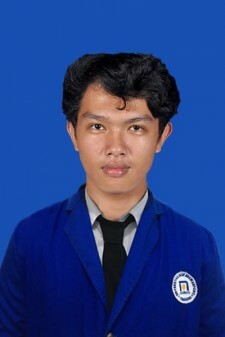 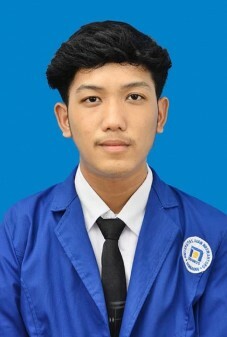 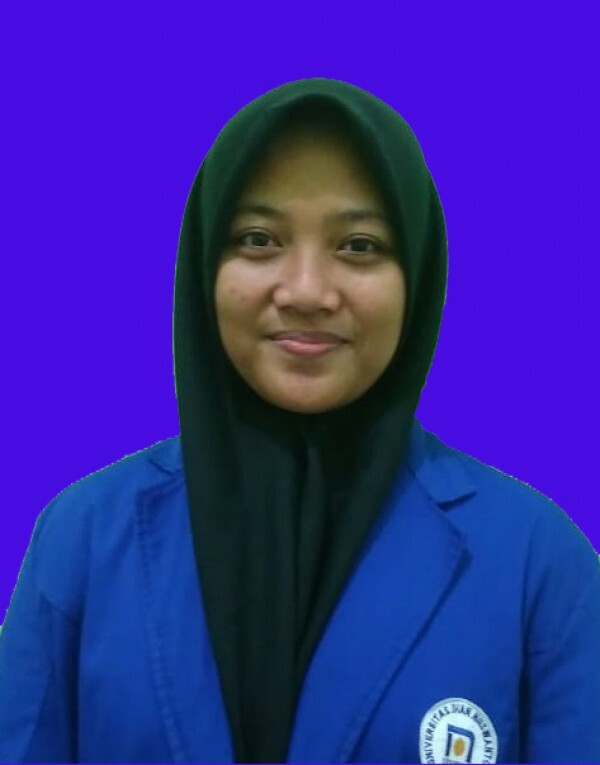 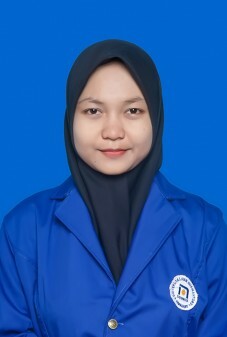 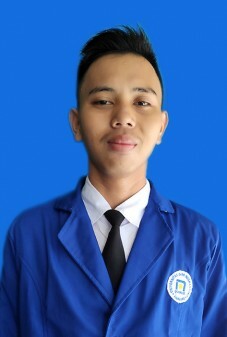 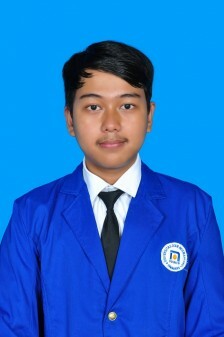 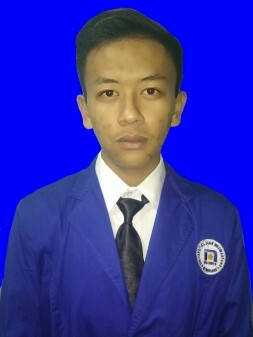 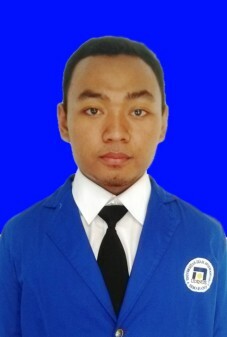 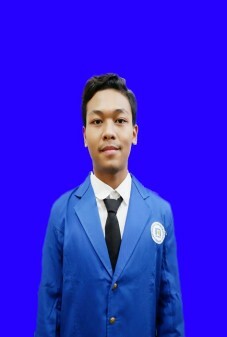 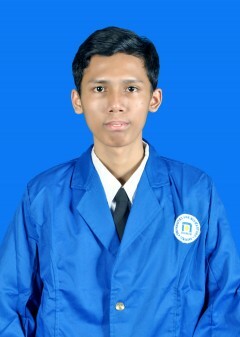 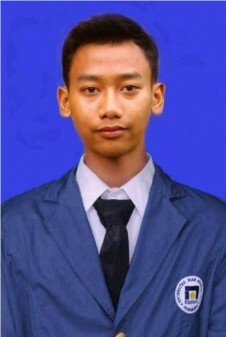 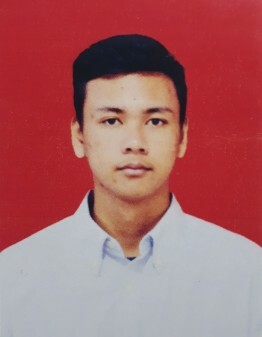 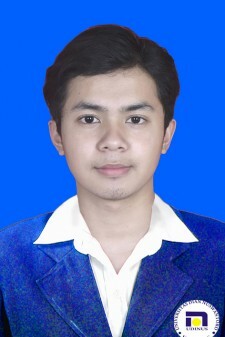 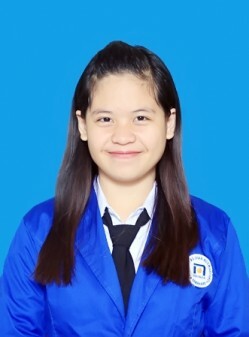 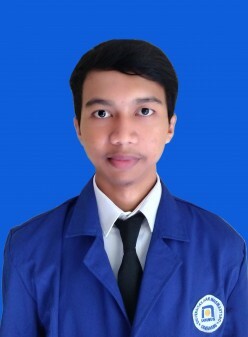 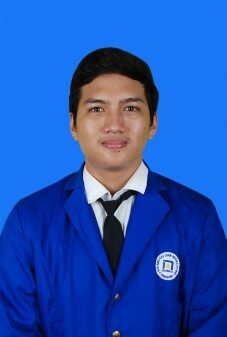 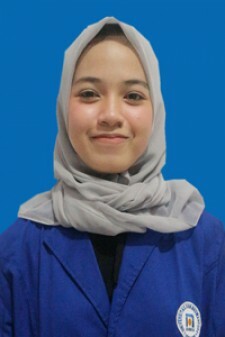 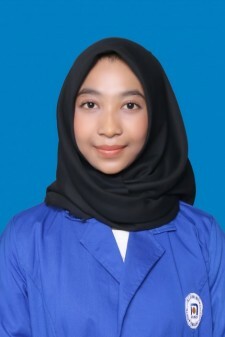 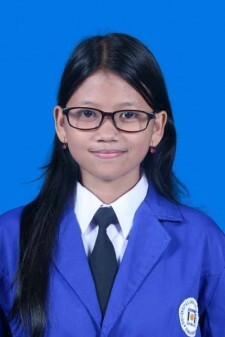 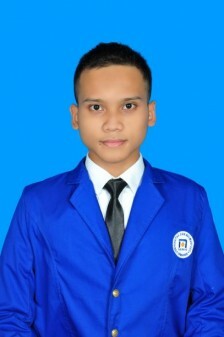 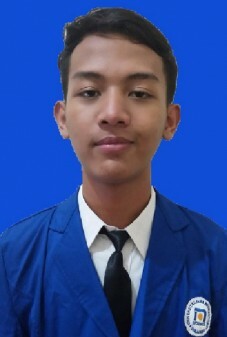 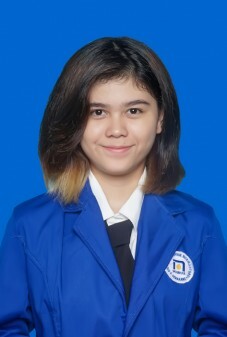 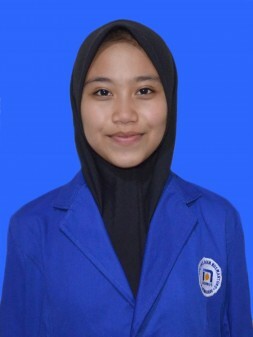 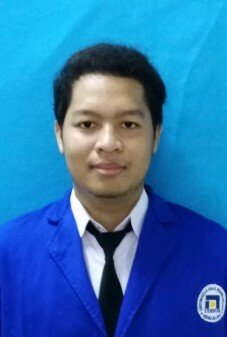 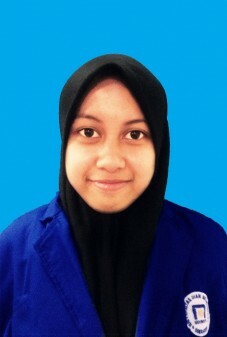 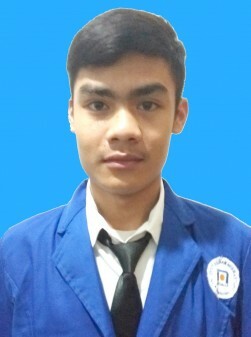 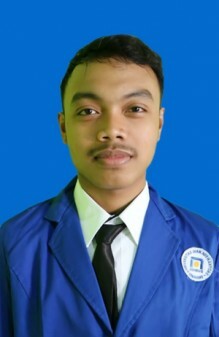 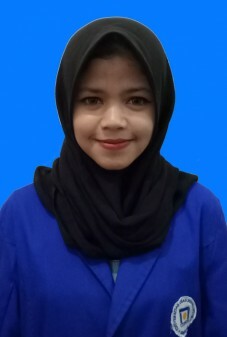 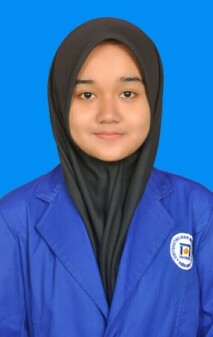 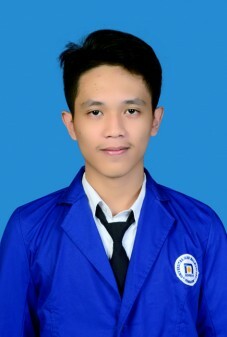 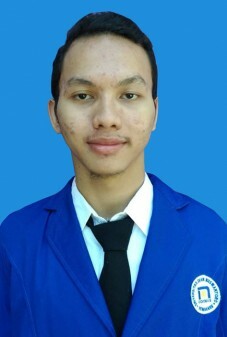 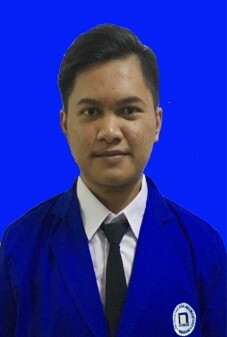 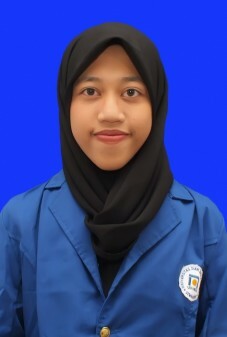 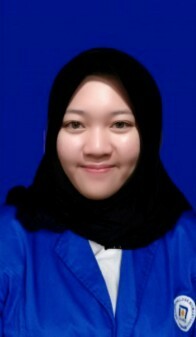 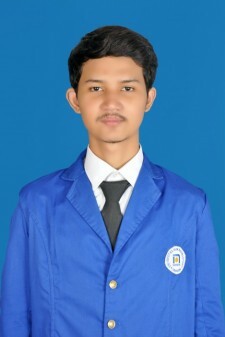 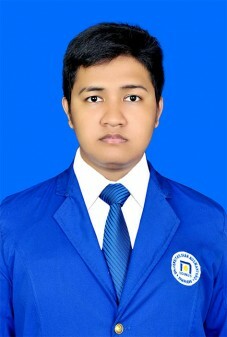 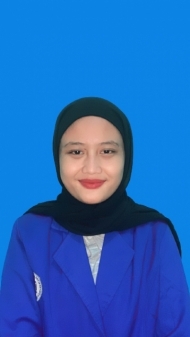 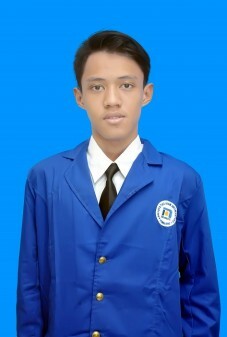 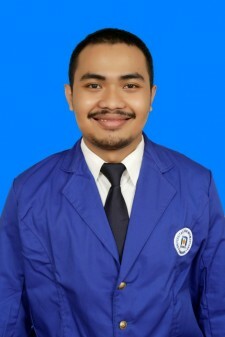 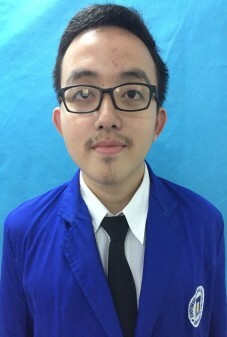 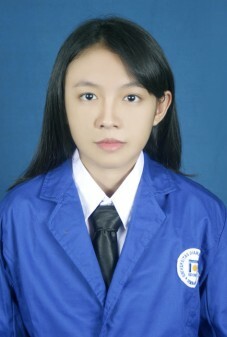 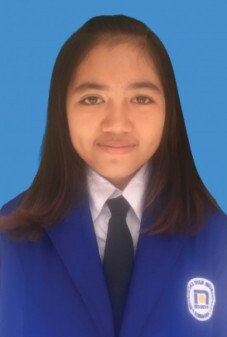 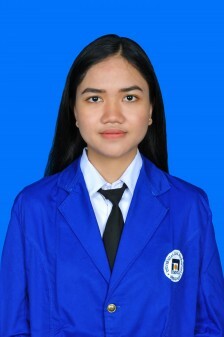 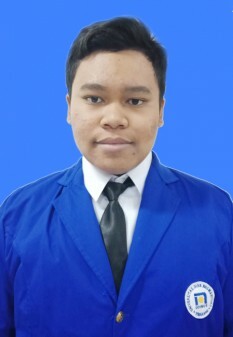 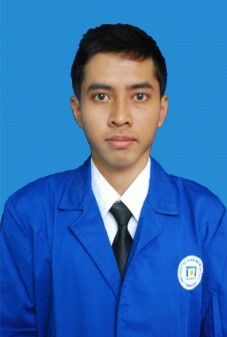 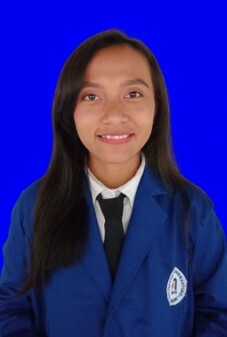 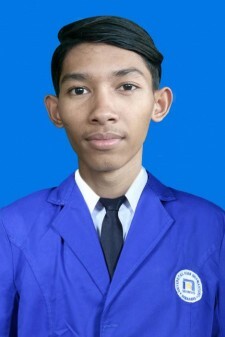 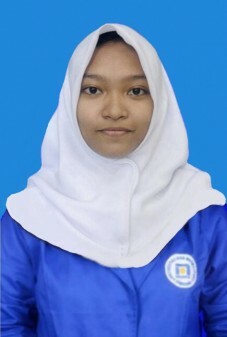 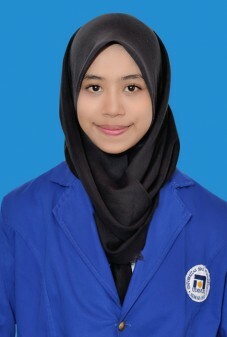 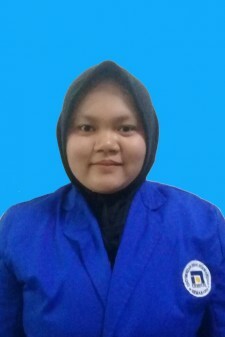 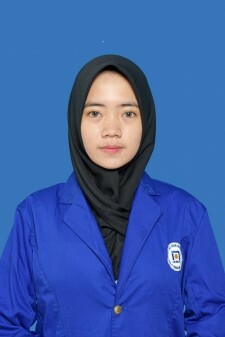 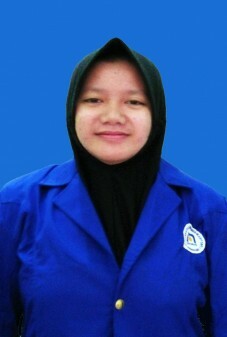 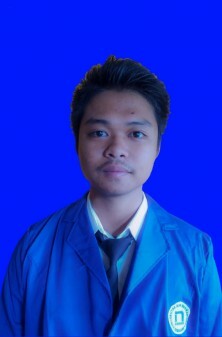 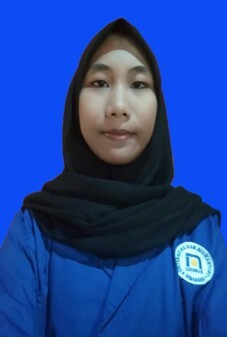 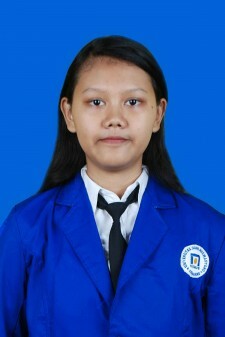 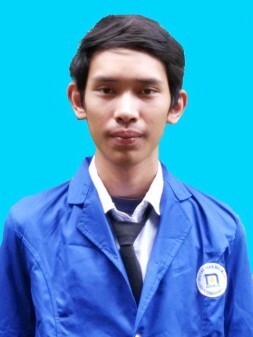 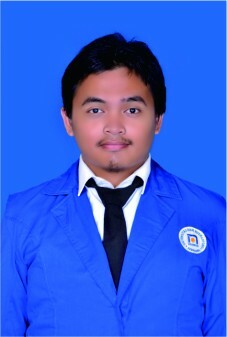 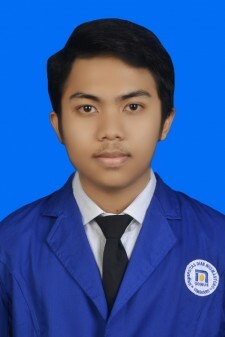 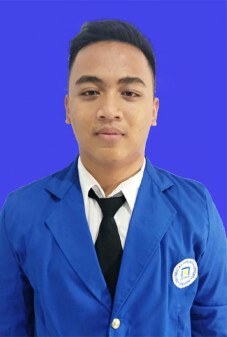 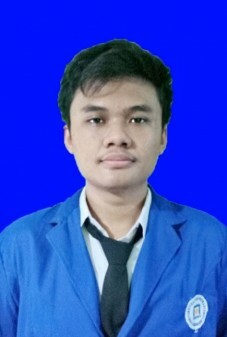 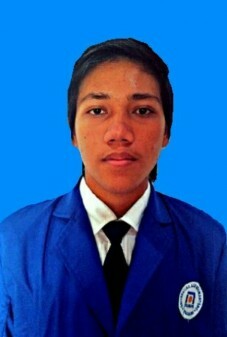 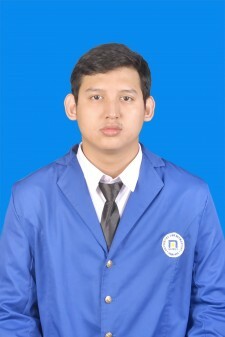 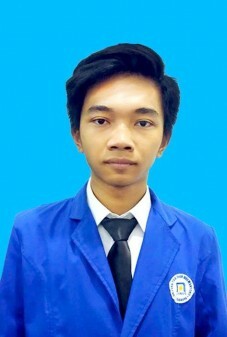 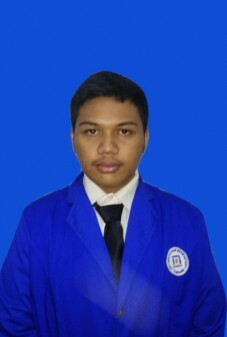 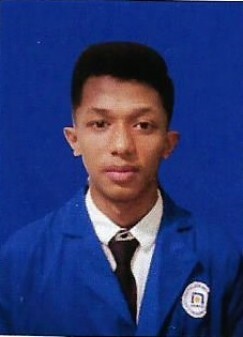 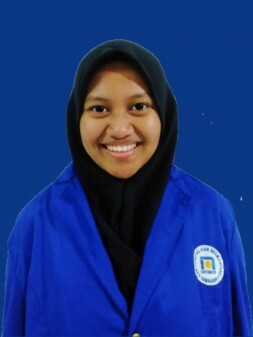 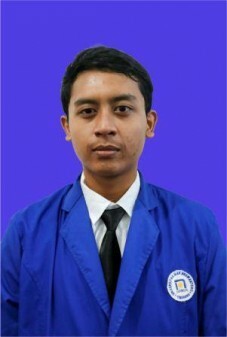 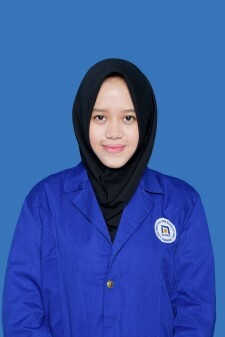 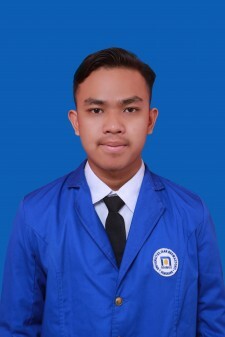 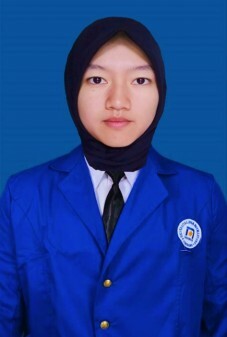 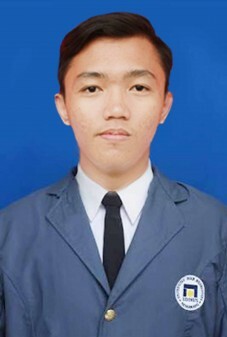 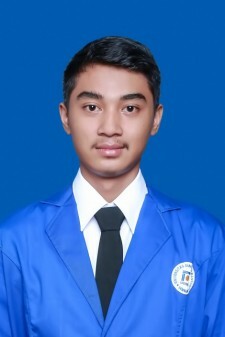 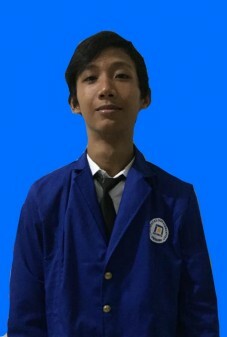 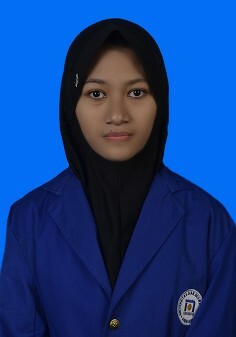 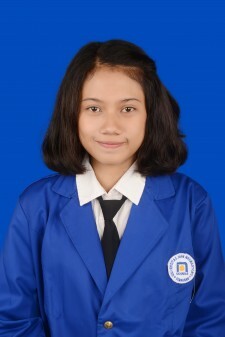 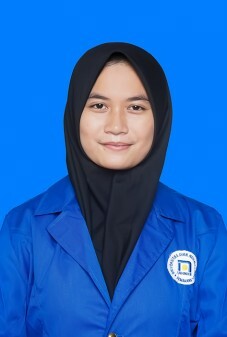 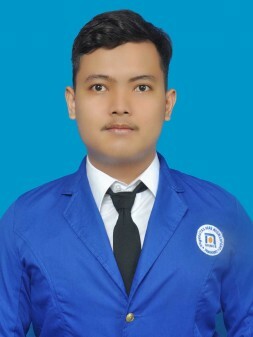 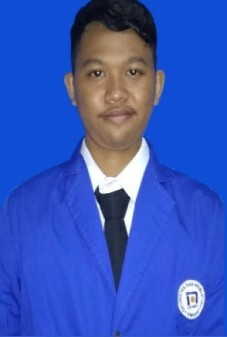 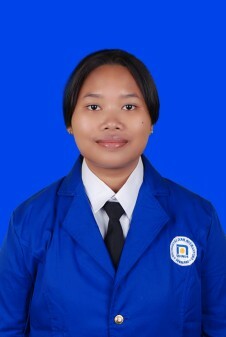 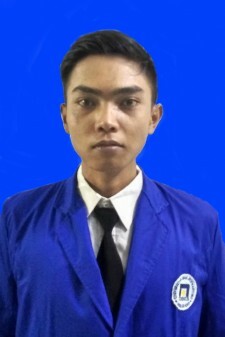 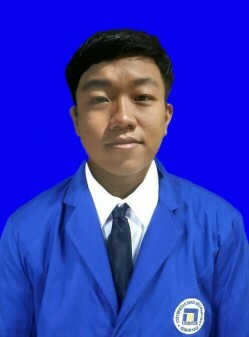 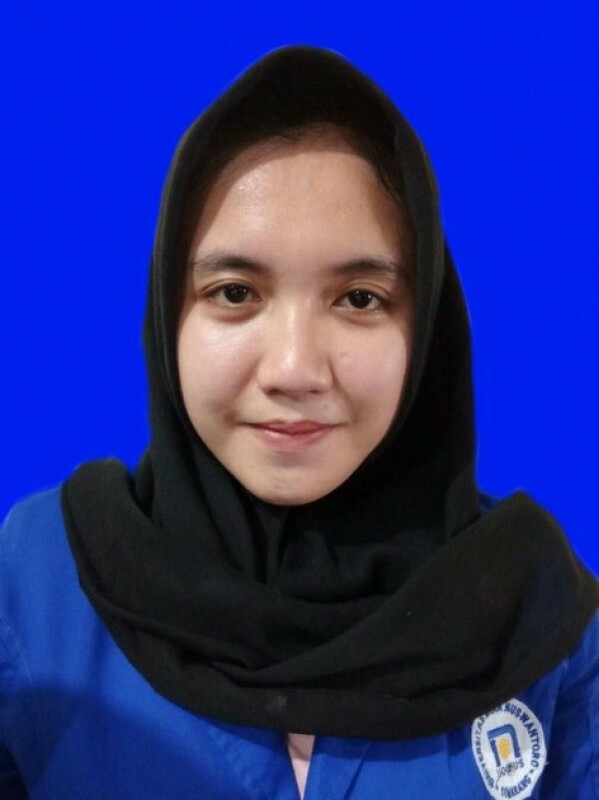 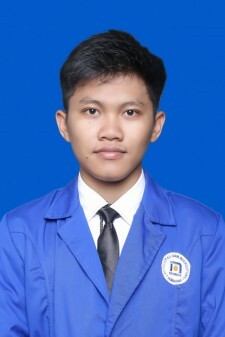 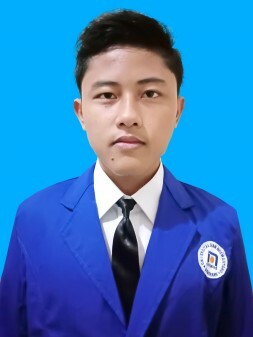 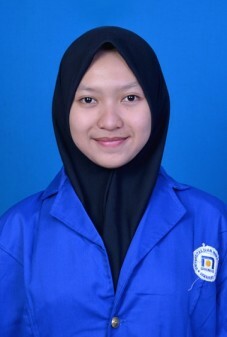 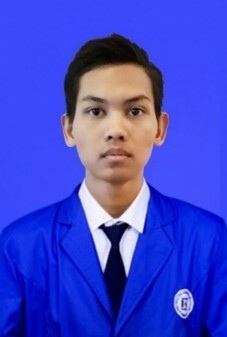 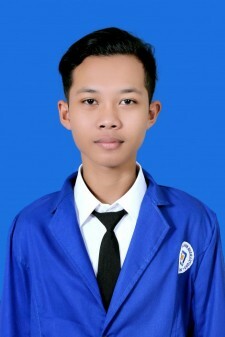 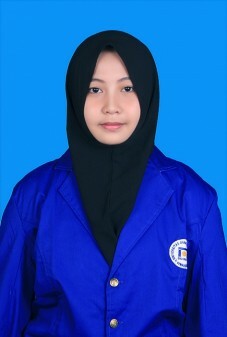 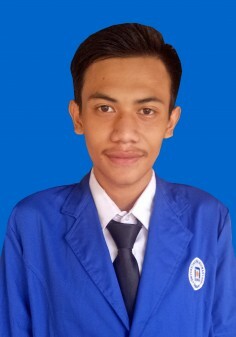 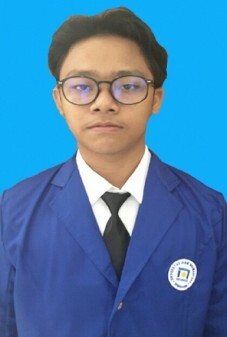 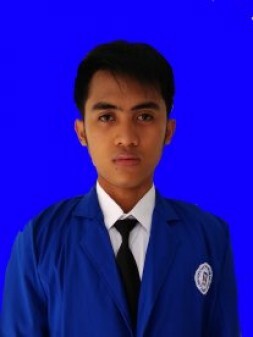 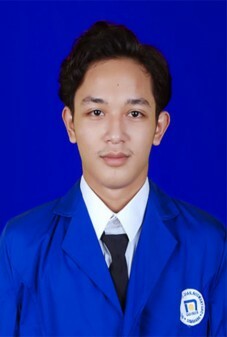 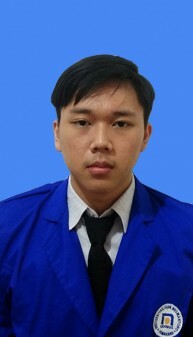 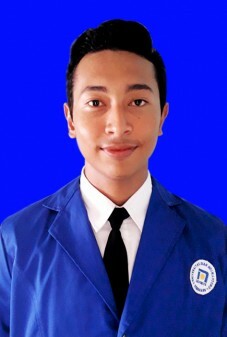 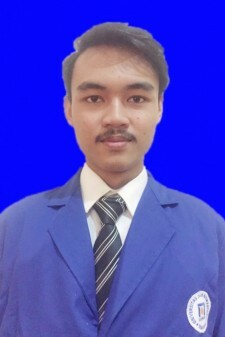 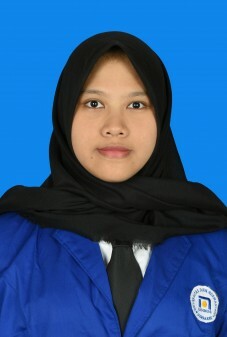 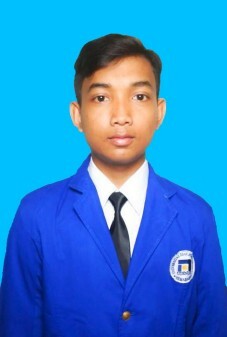 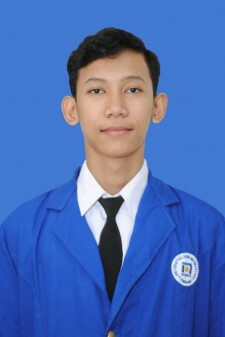 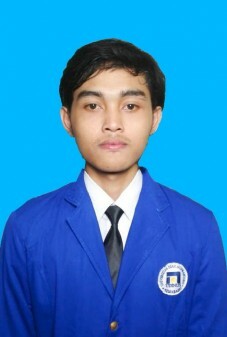 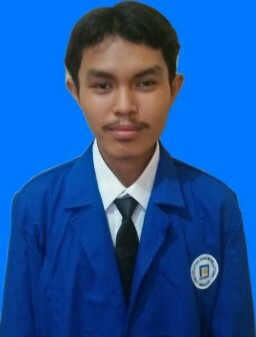 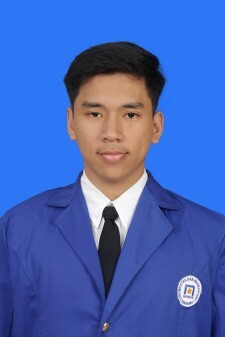 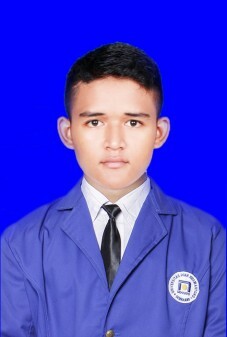 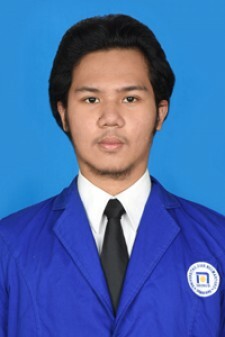 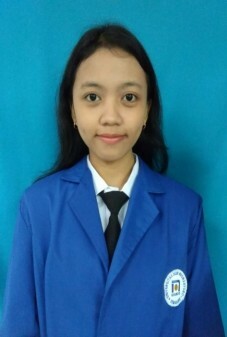 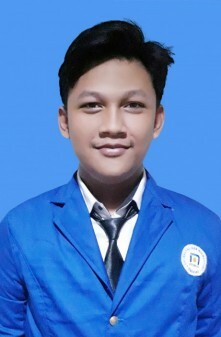 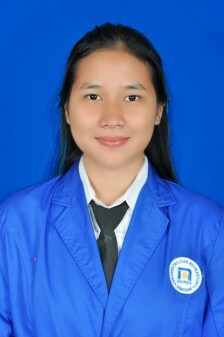 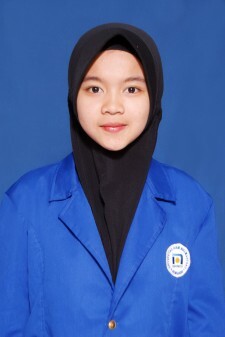 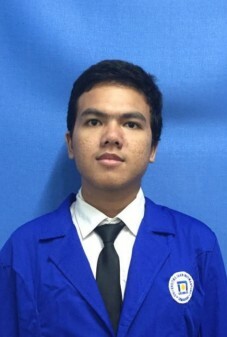 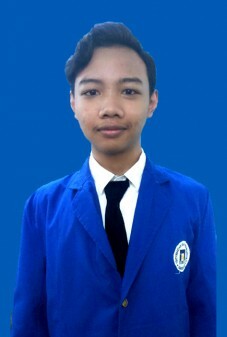 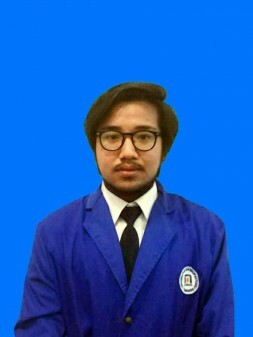 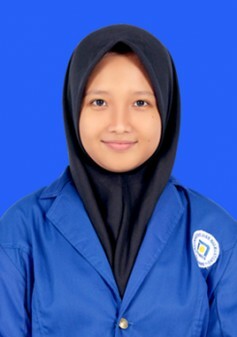 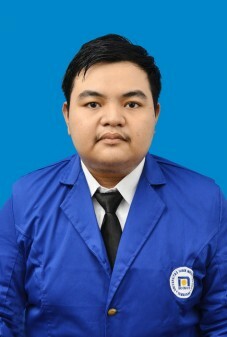 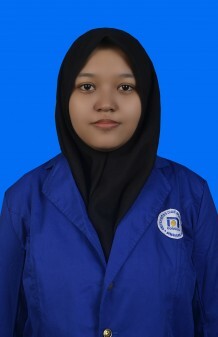 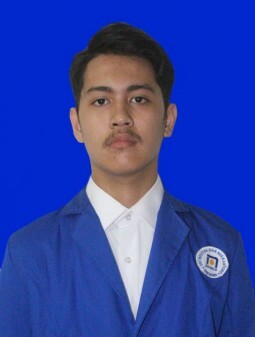 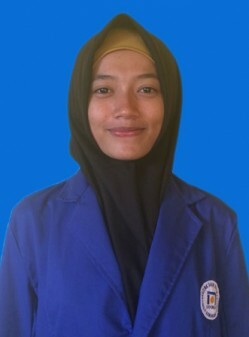 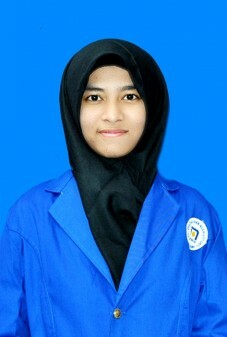 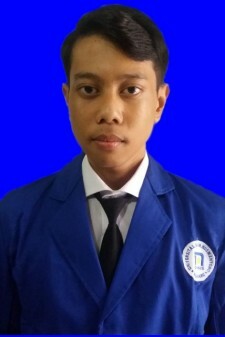 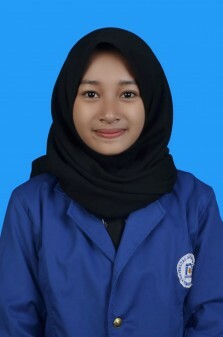 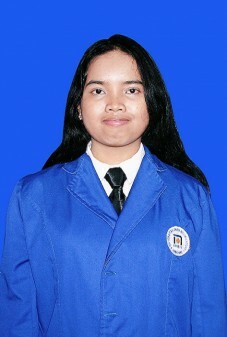 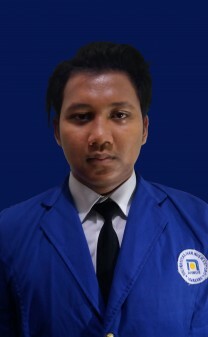 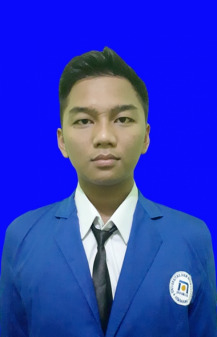 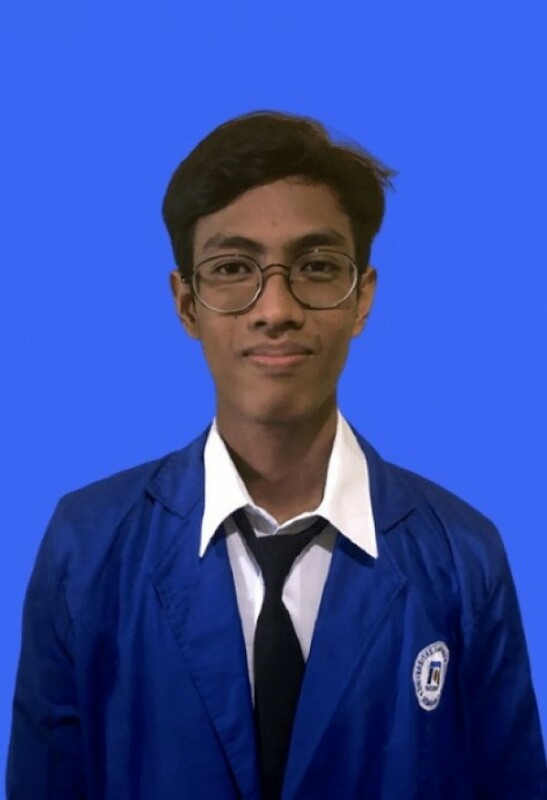 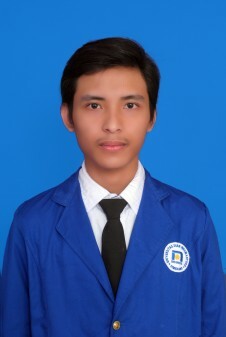 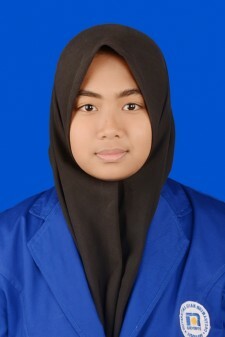 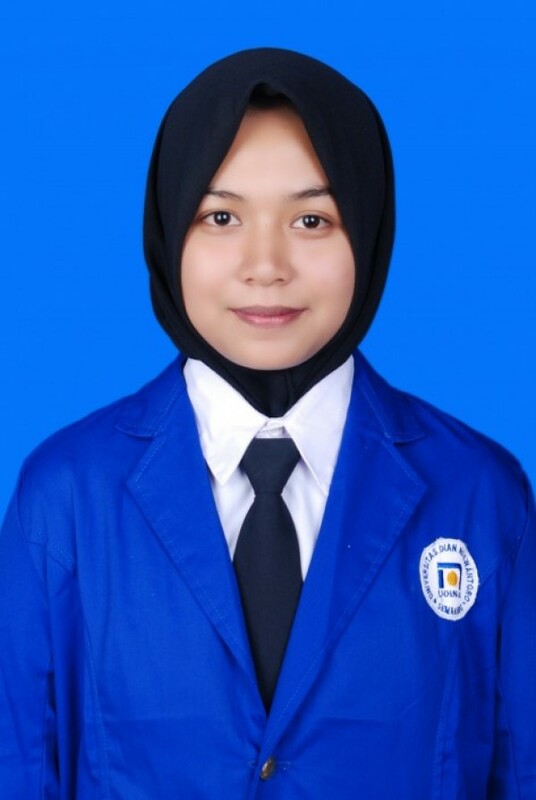 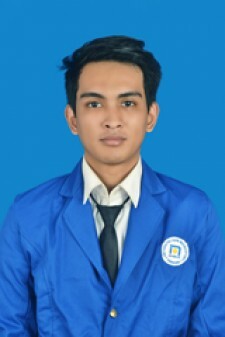 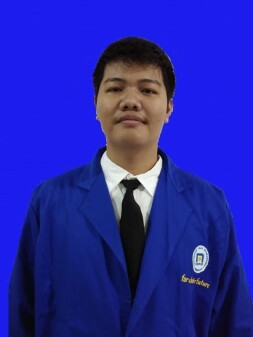 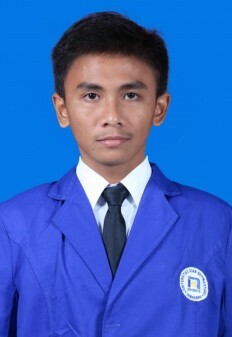 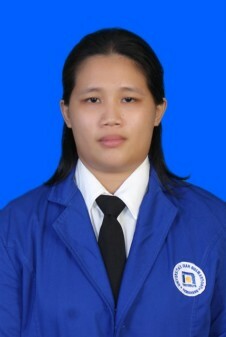 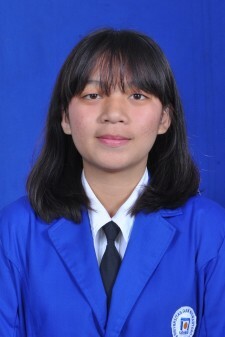 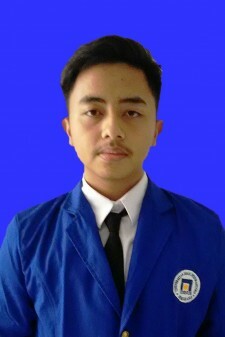 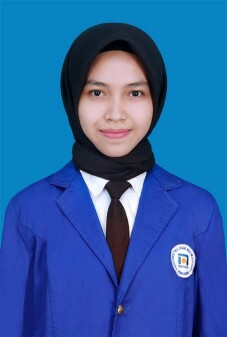 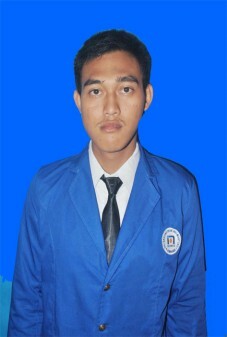 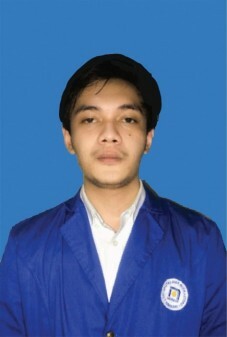 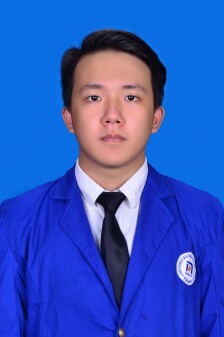 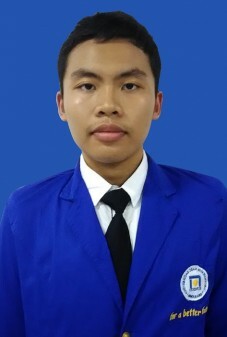 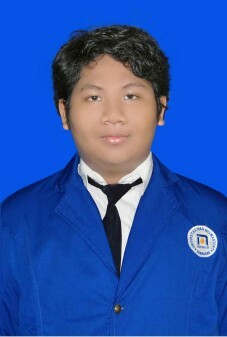 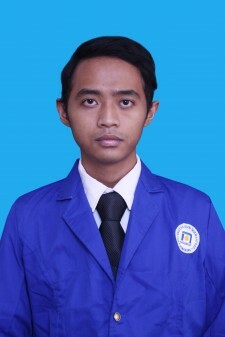 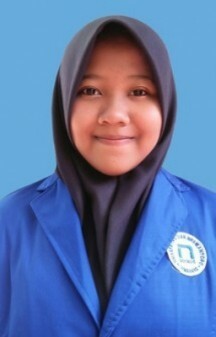 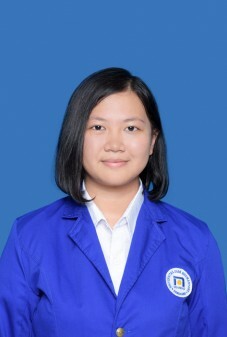 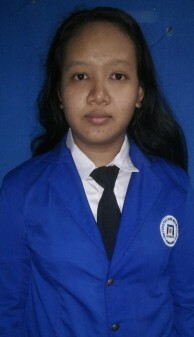 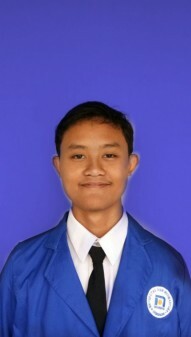 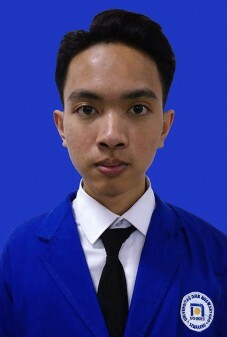 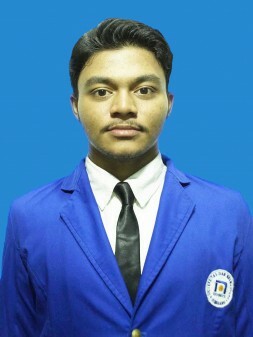 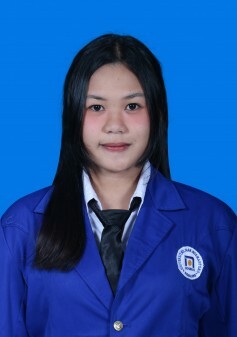 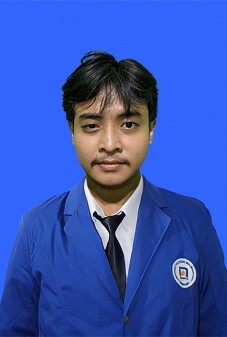 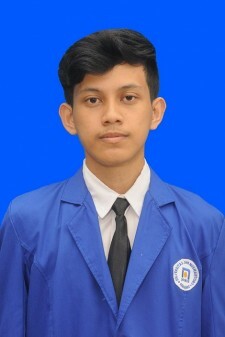 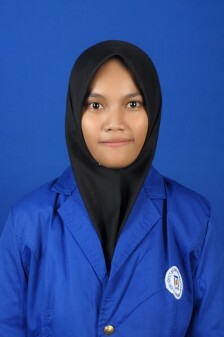 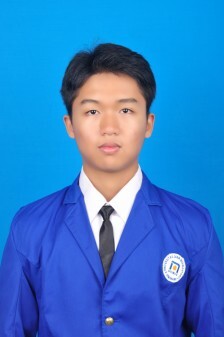 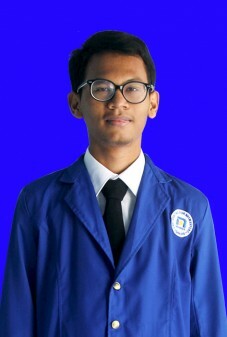 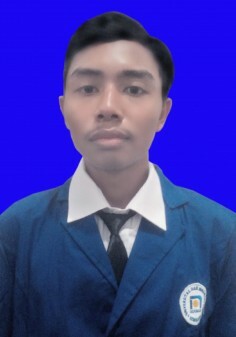 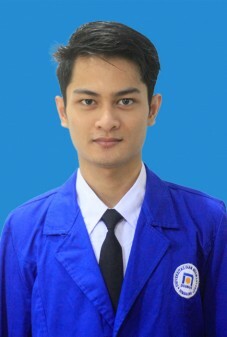 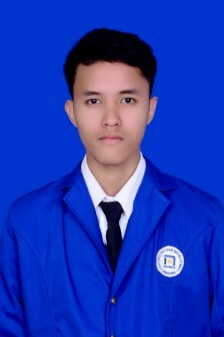 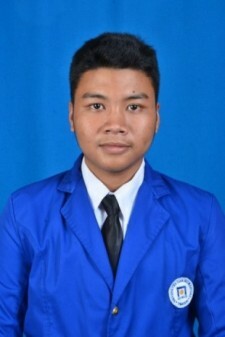 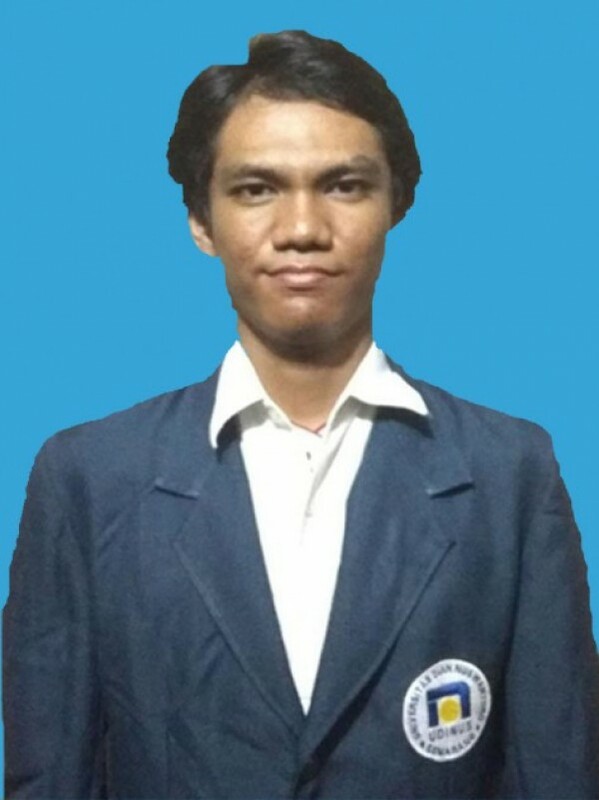 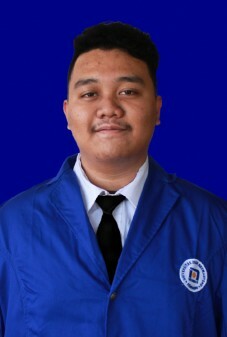 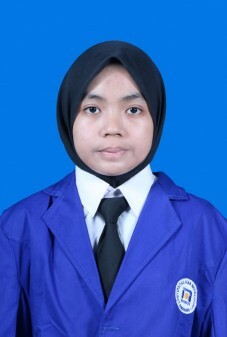 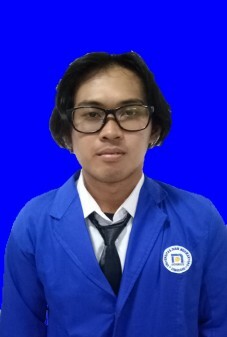 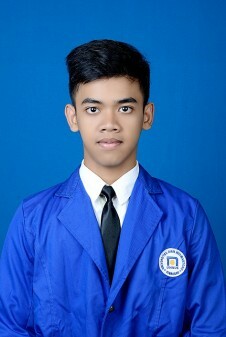 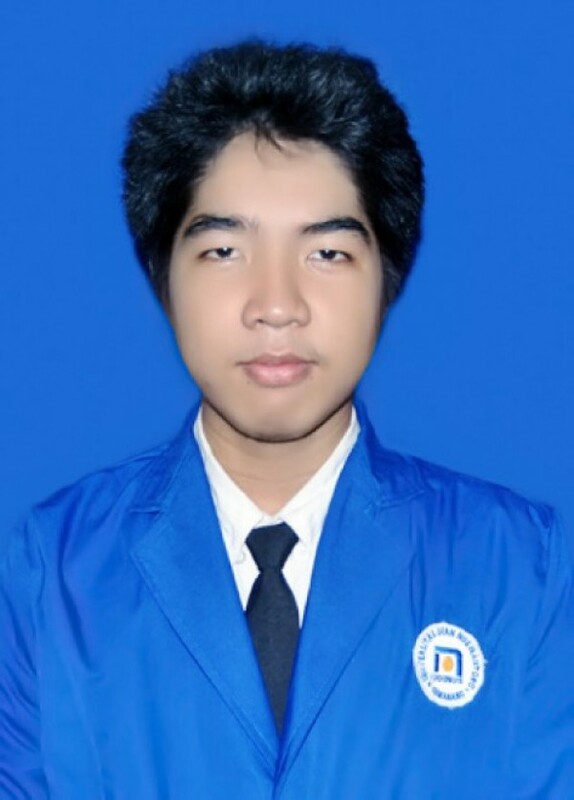 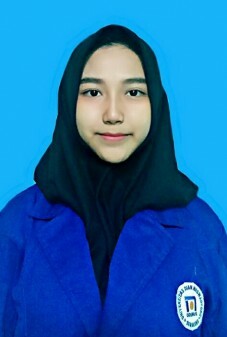 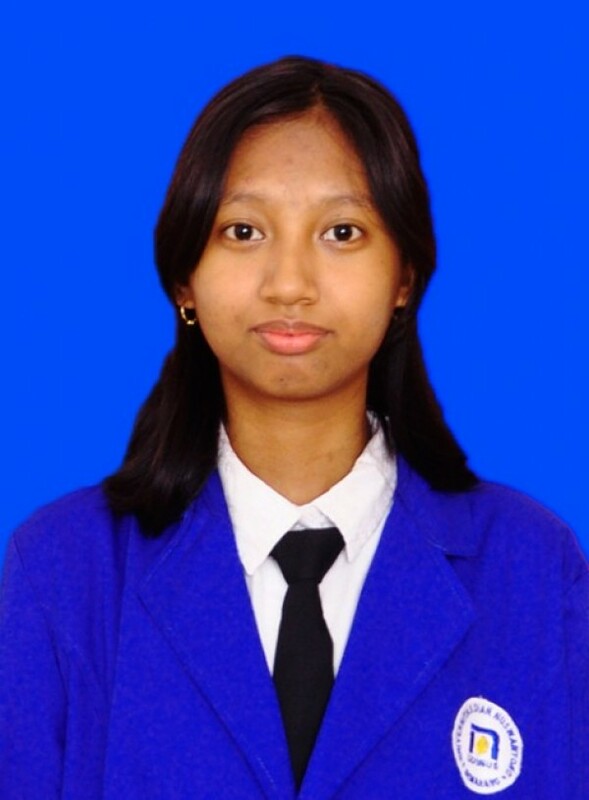 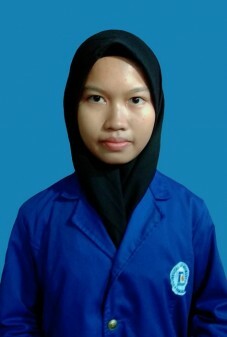 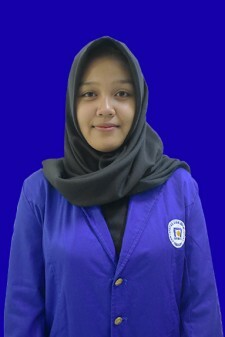 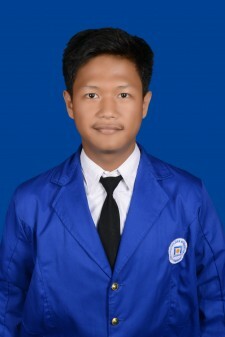 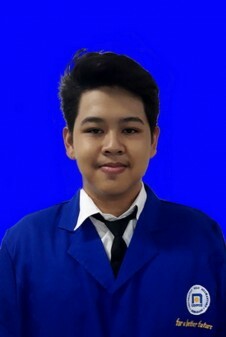 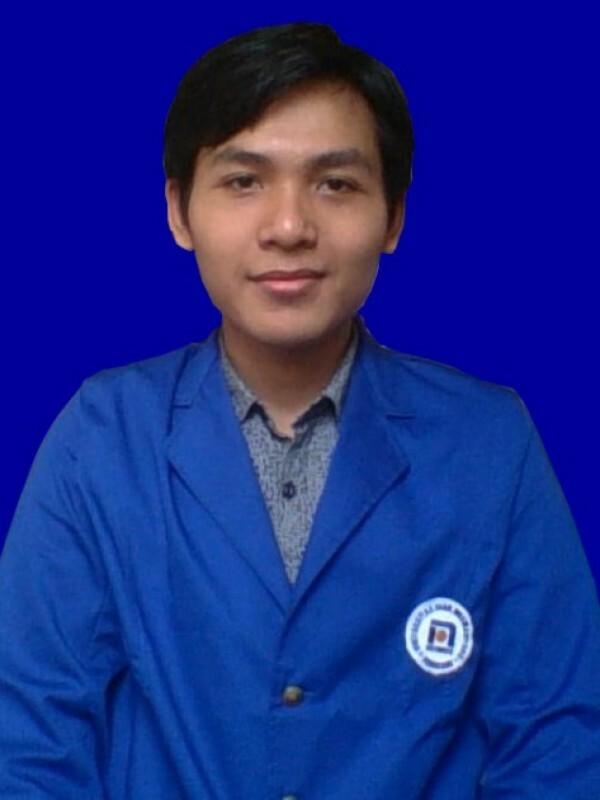 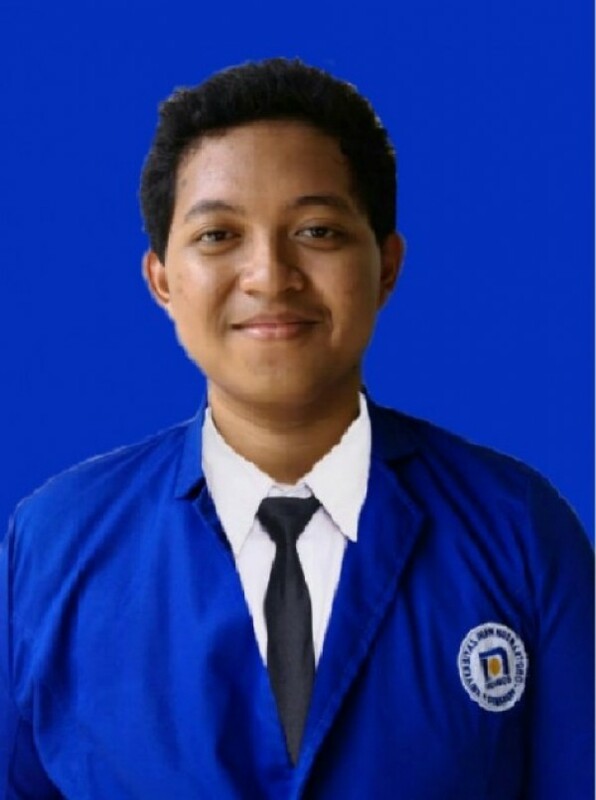 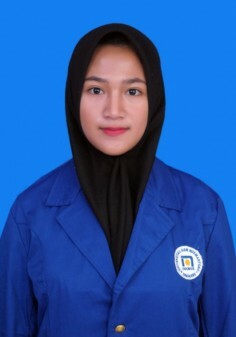 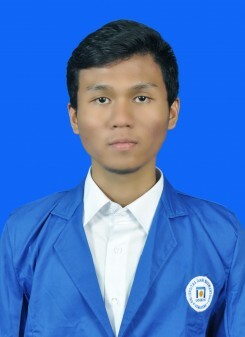 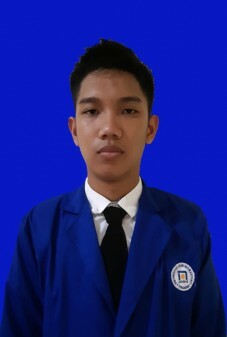 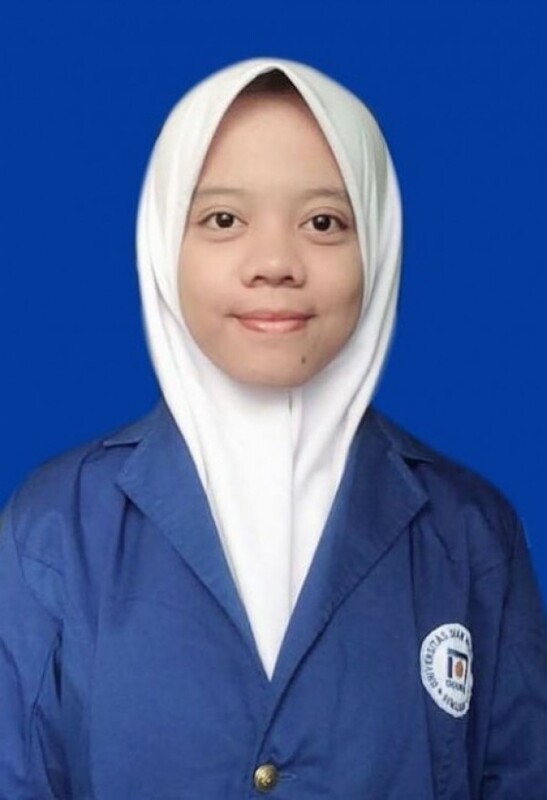 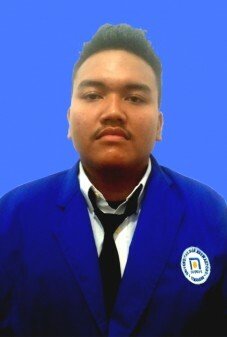 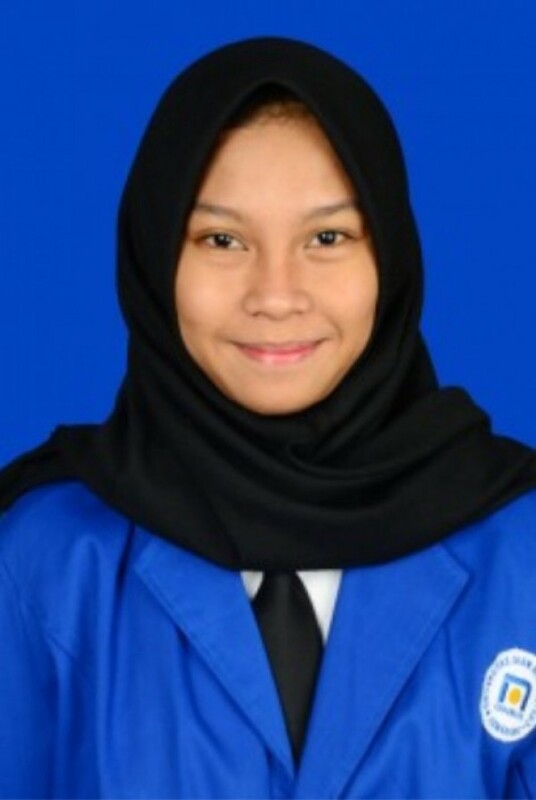 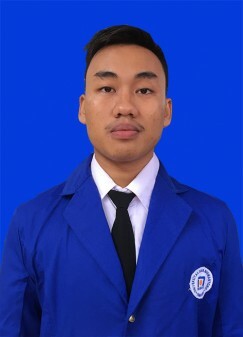 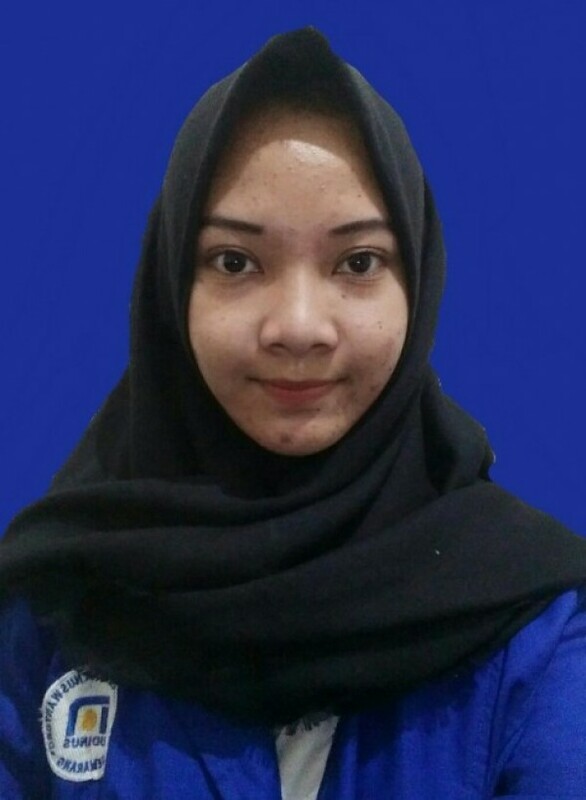 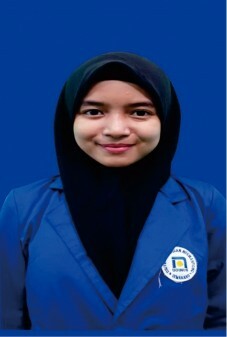 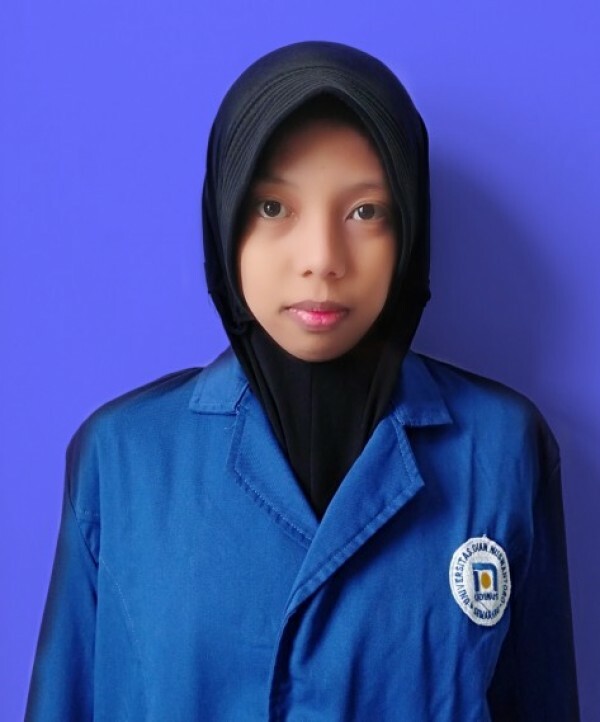 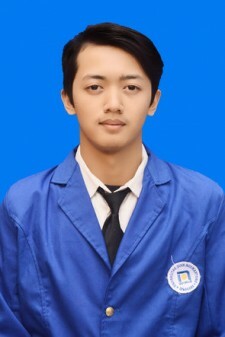 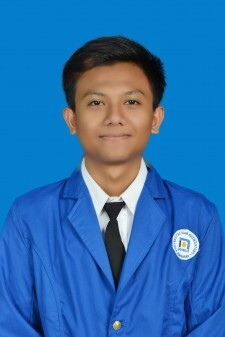 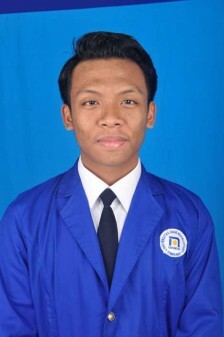 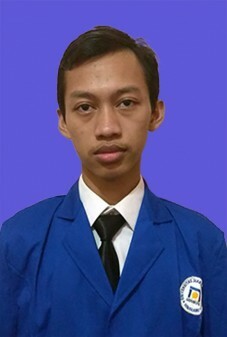 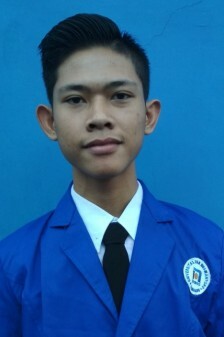 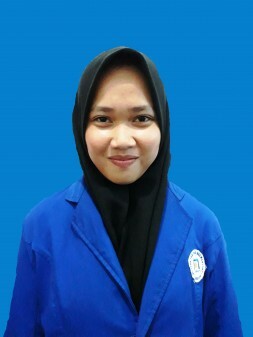 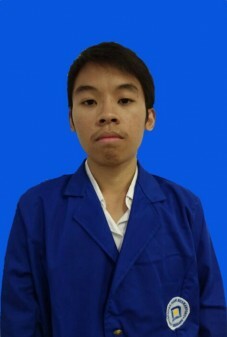 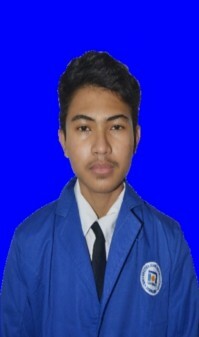 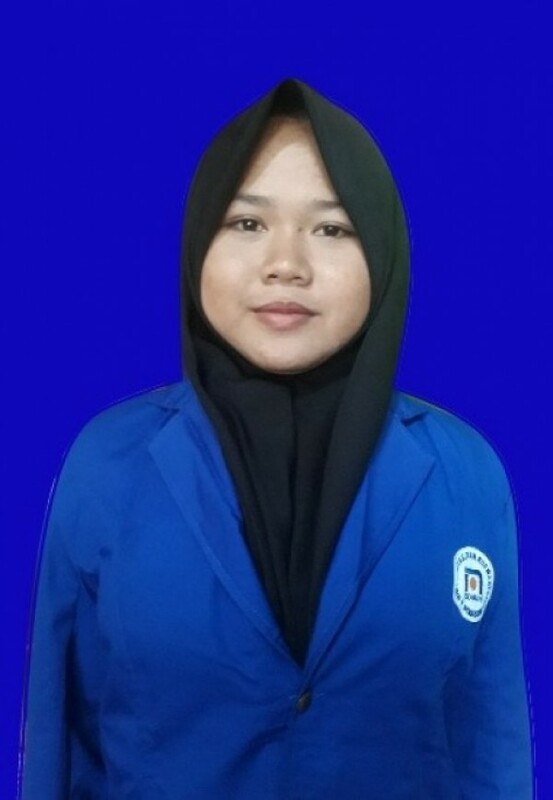 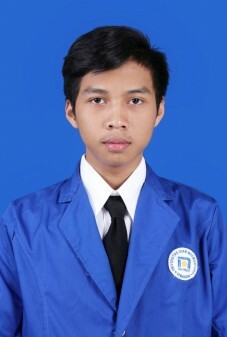 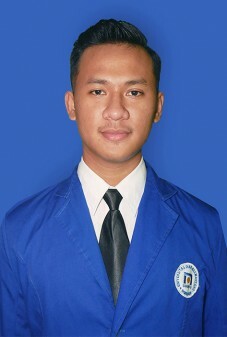 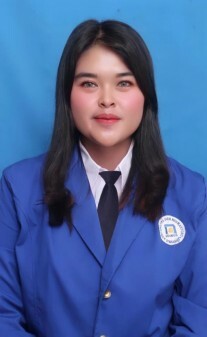 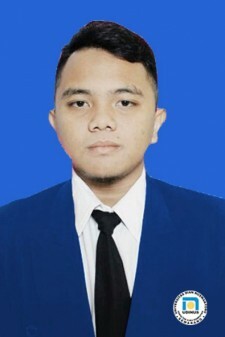 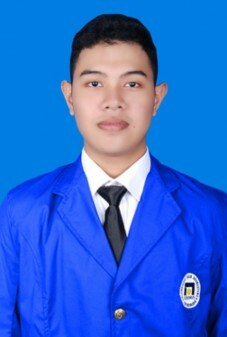 Computer sciences and informatics is Dian Nuswantoro’s realization on social services in providing a real contribution for government by preparing incalculable people to become professionals with higher competences, especially in the field of computer sciences and informatics technology. 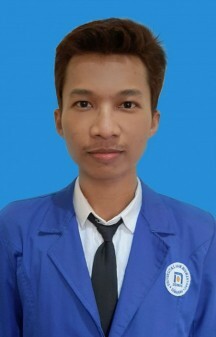 By acquiring the knowledge of computer sciences and informatics, it is expected that the quality of human resources are improving that they may confidently compete with the others in this globalization era. 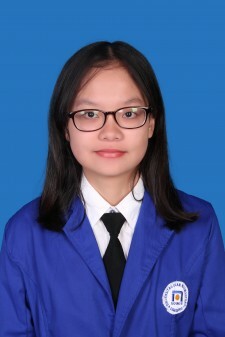 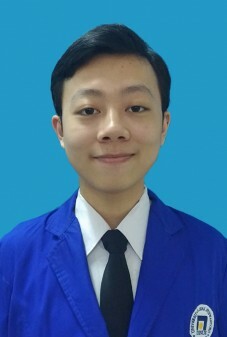 In facts, globalization has influenced various aspects of human life and rapid economy development, such as in the relationship between technology and computer sciences, as well as the information technology which requires more on its effectiveness and efficiency. 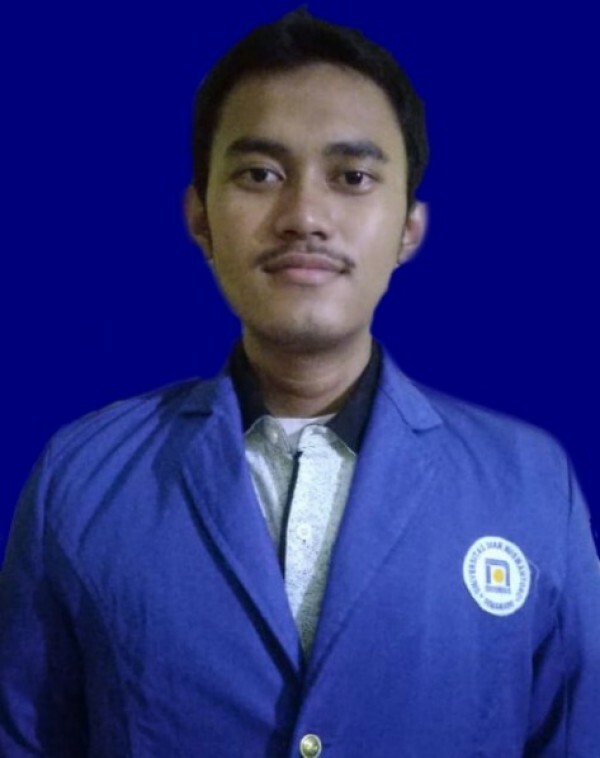 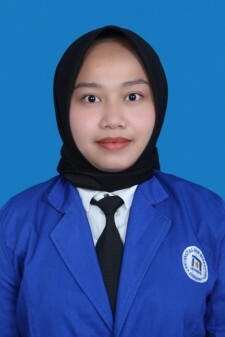 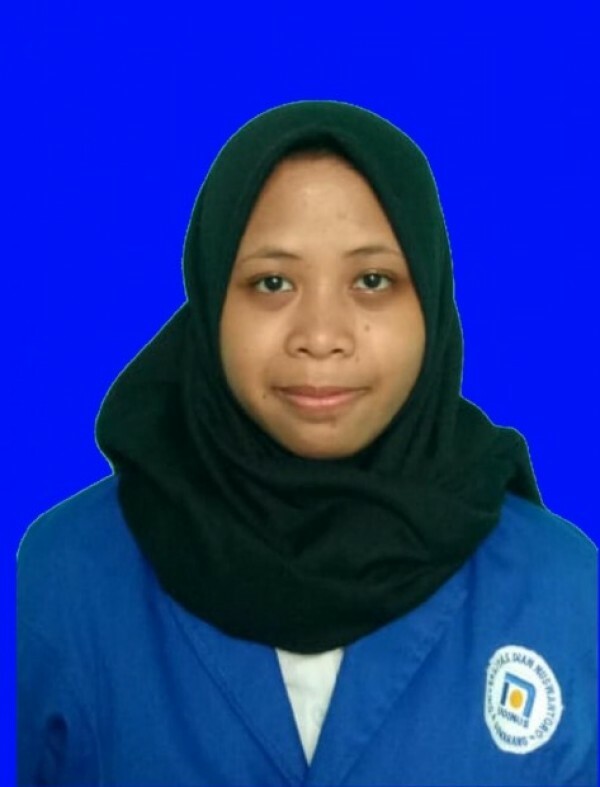 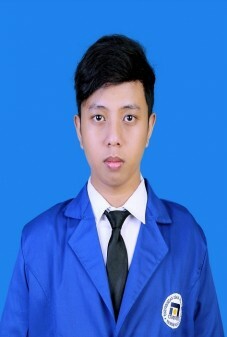 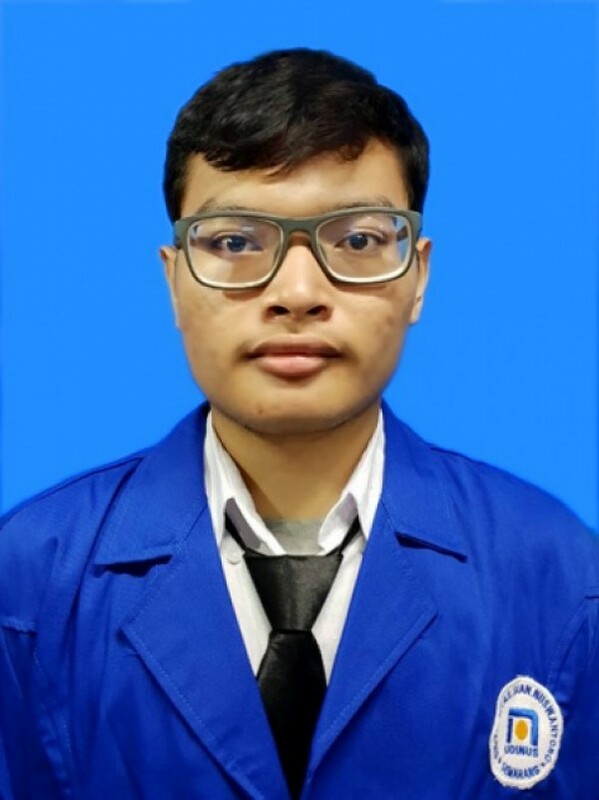 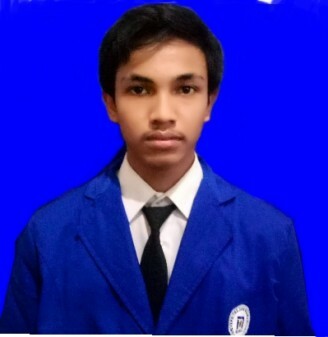 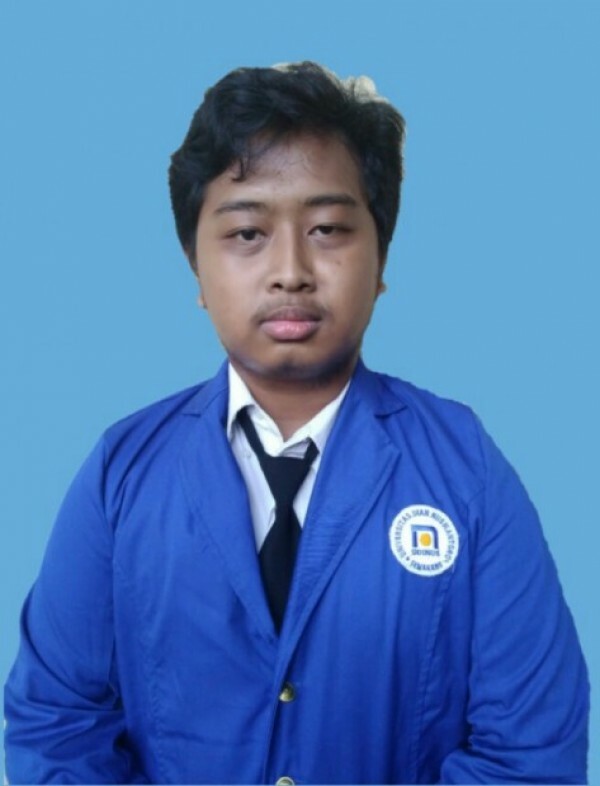 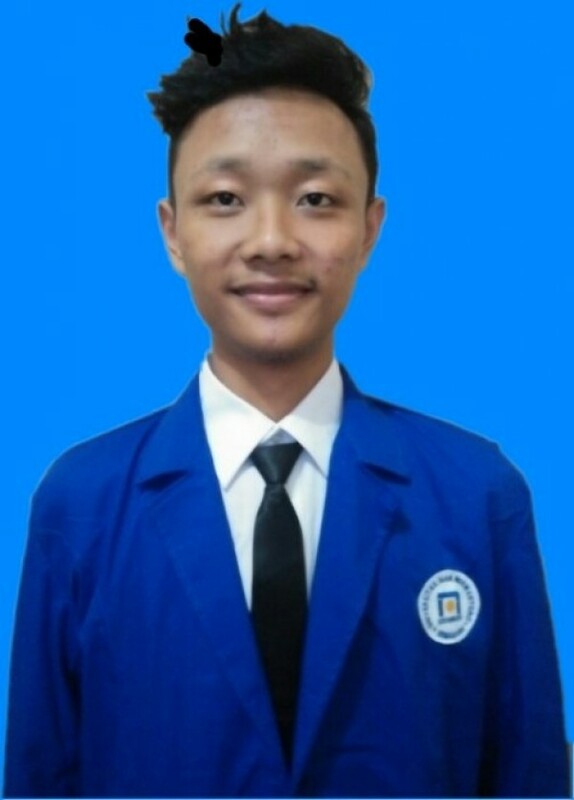 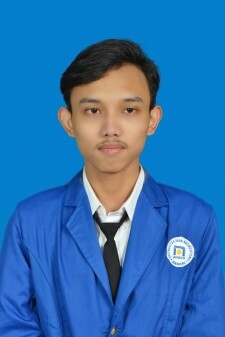 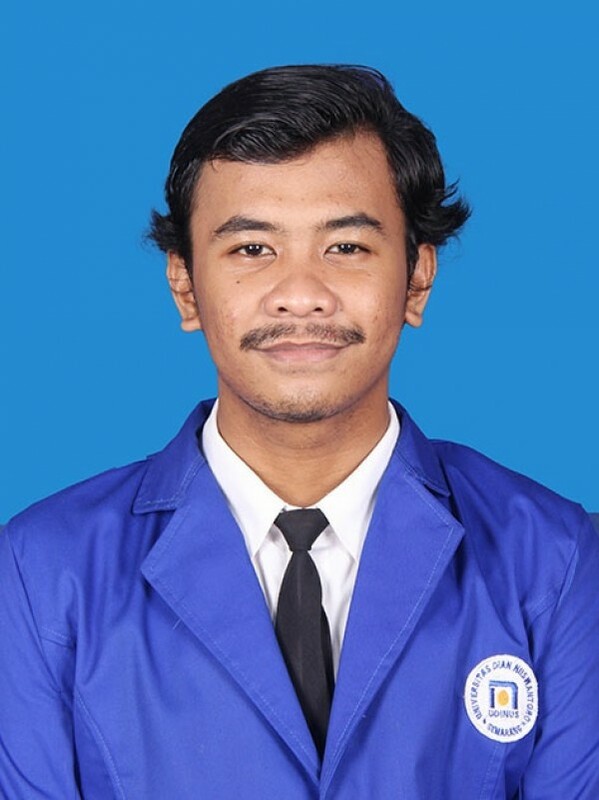 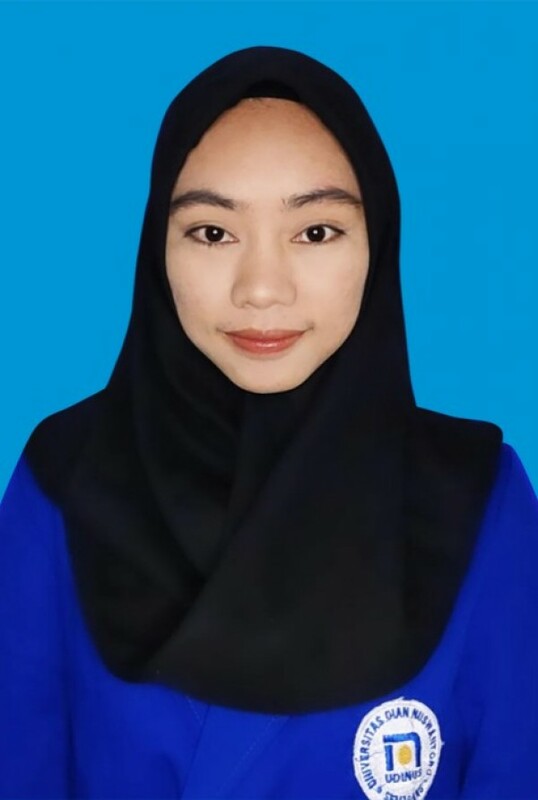 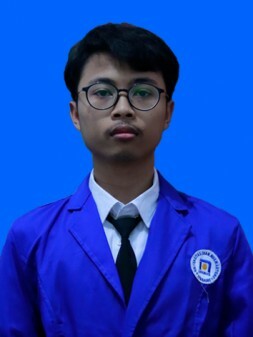 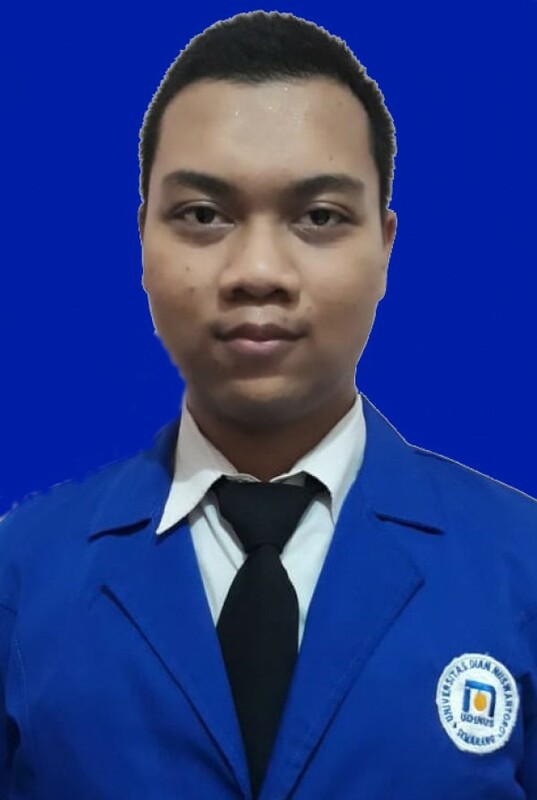 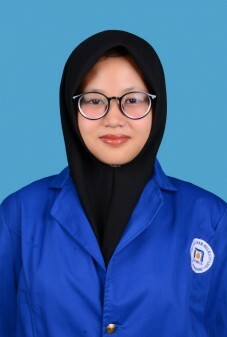 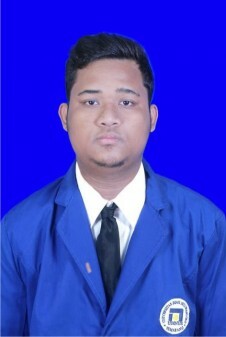 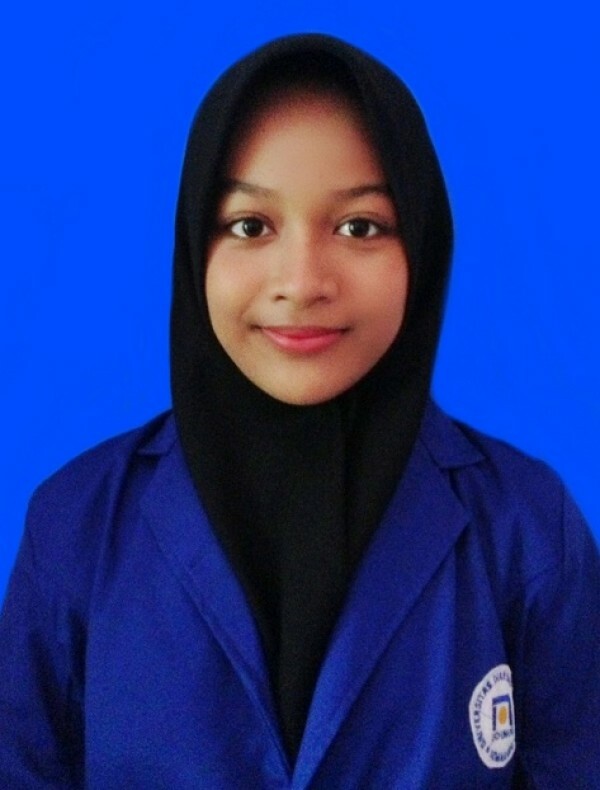 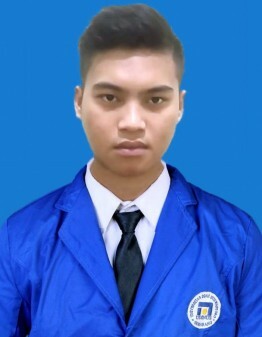 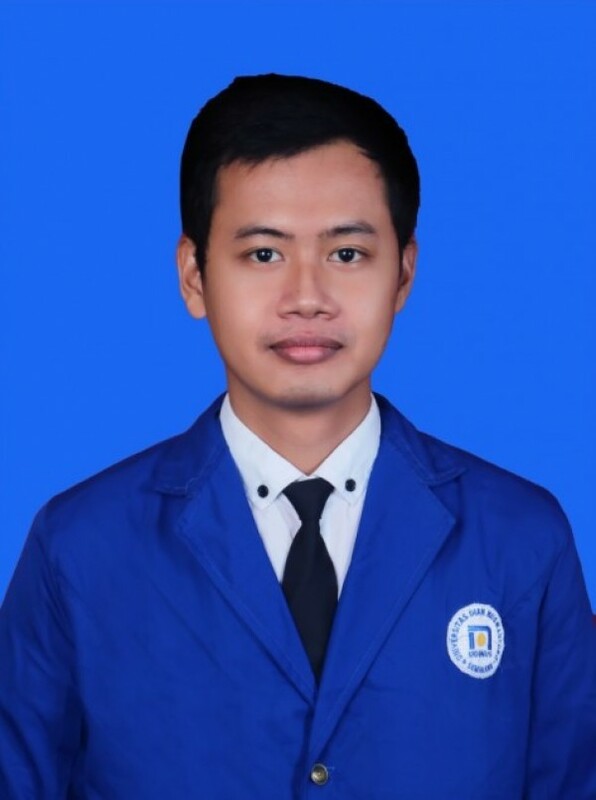 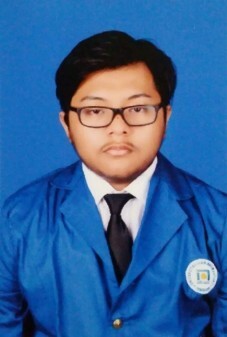 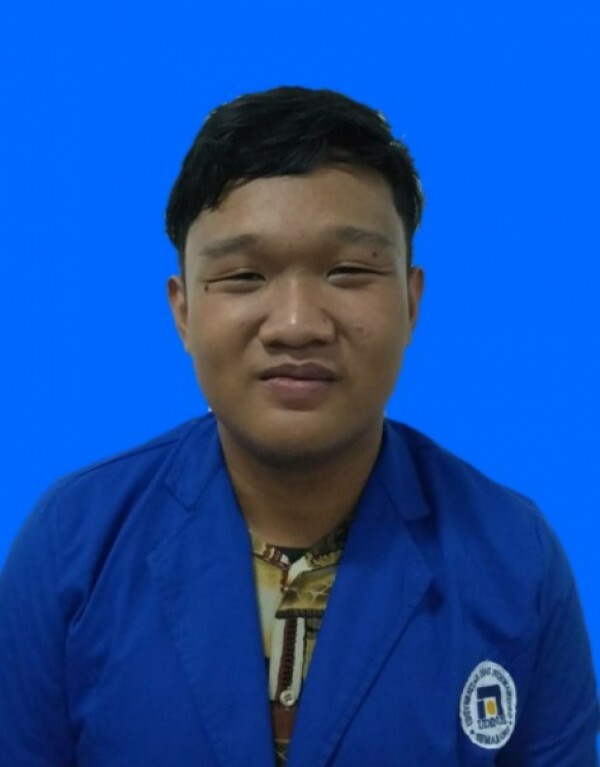 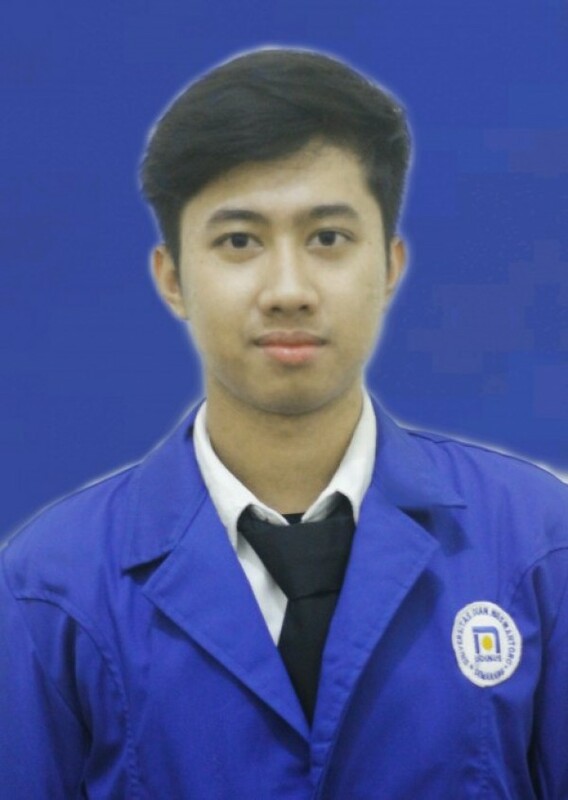 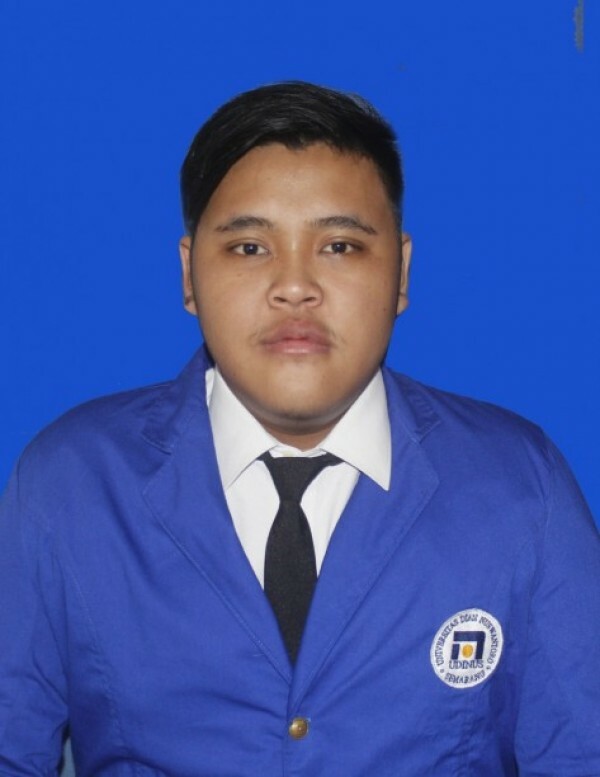 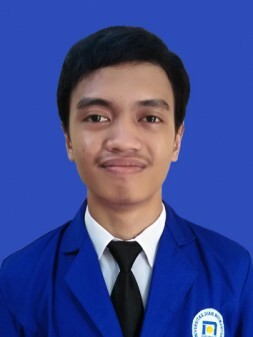 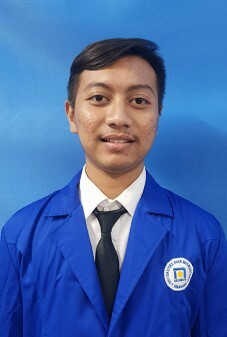 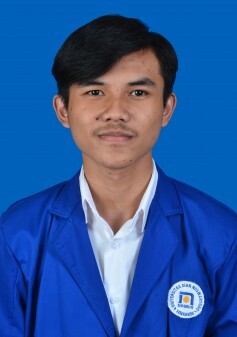 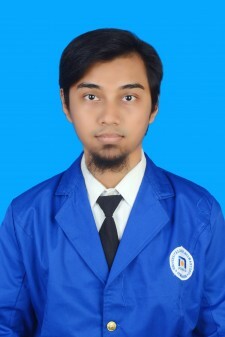 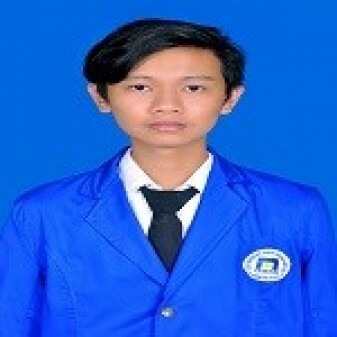 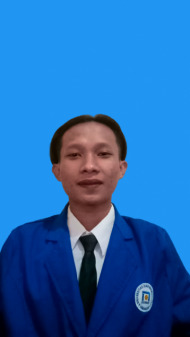 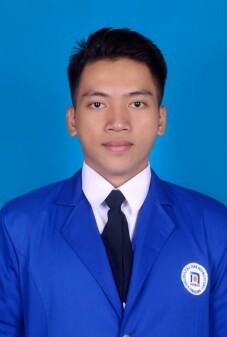 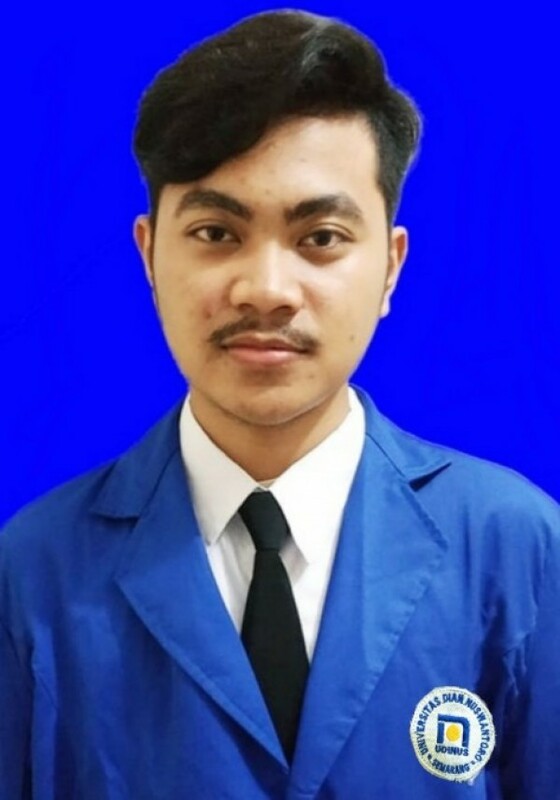 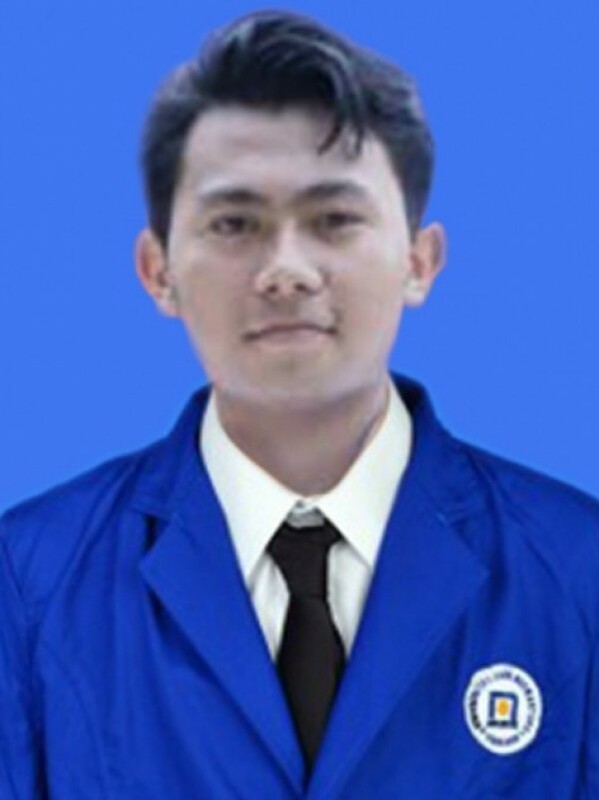 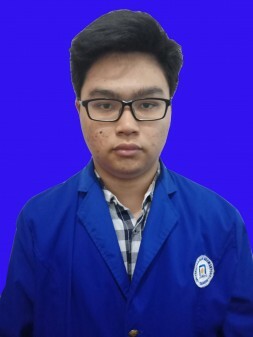 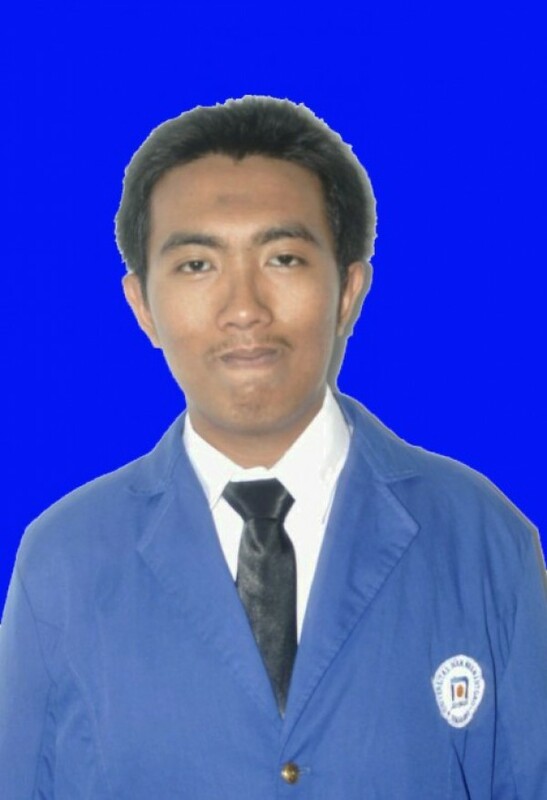 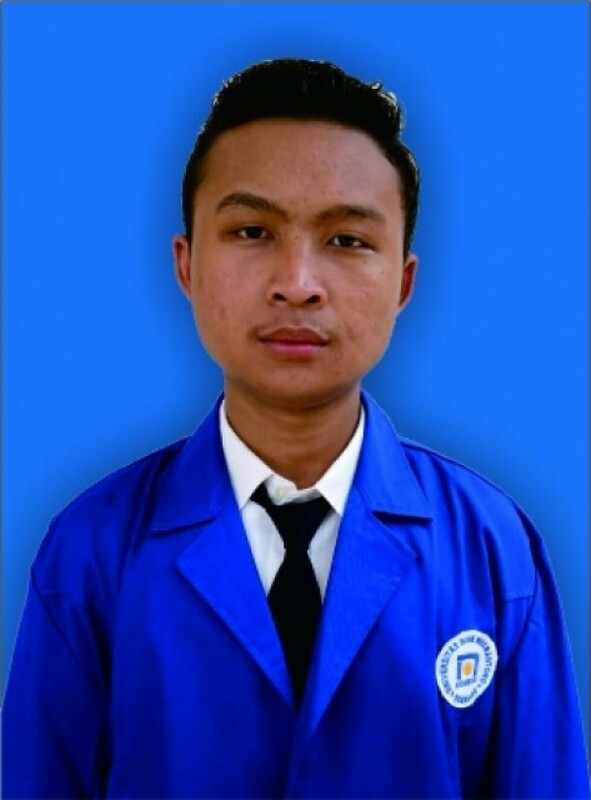 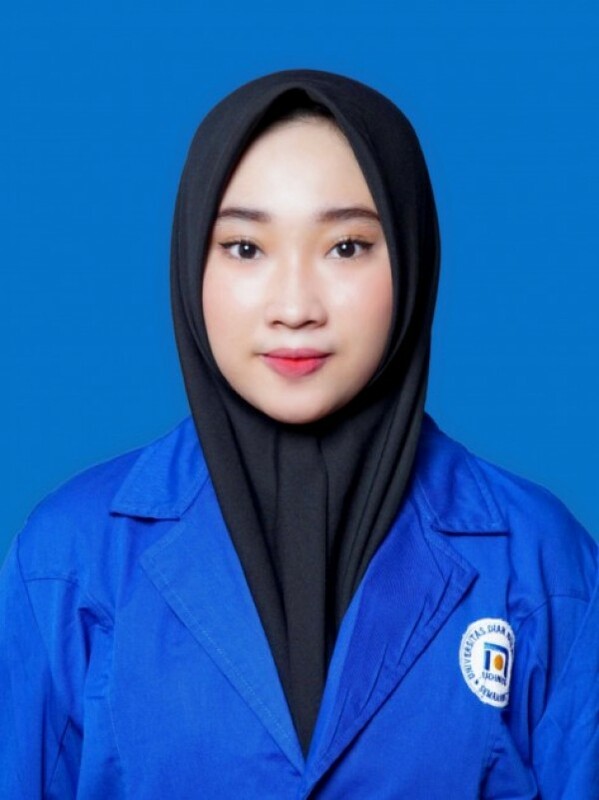 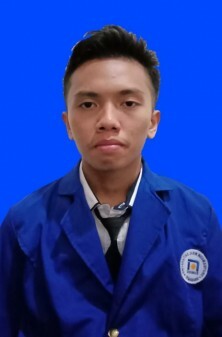 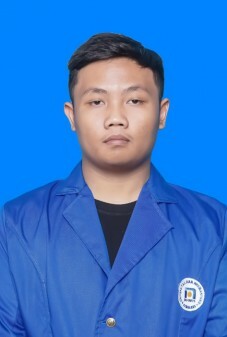 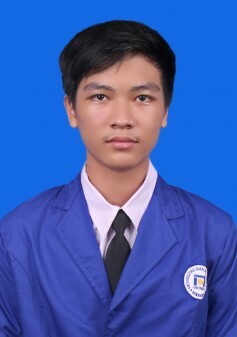 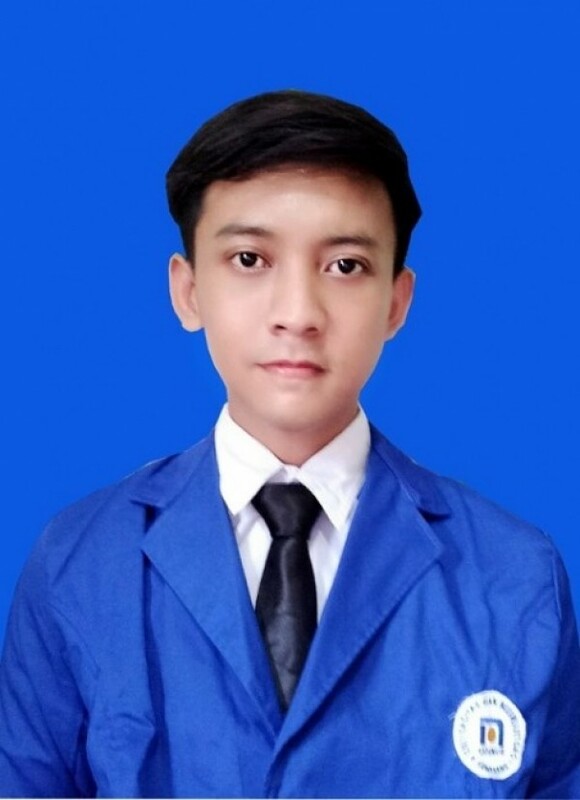 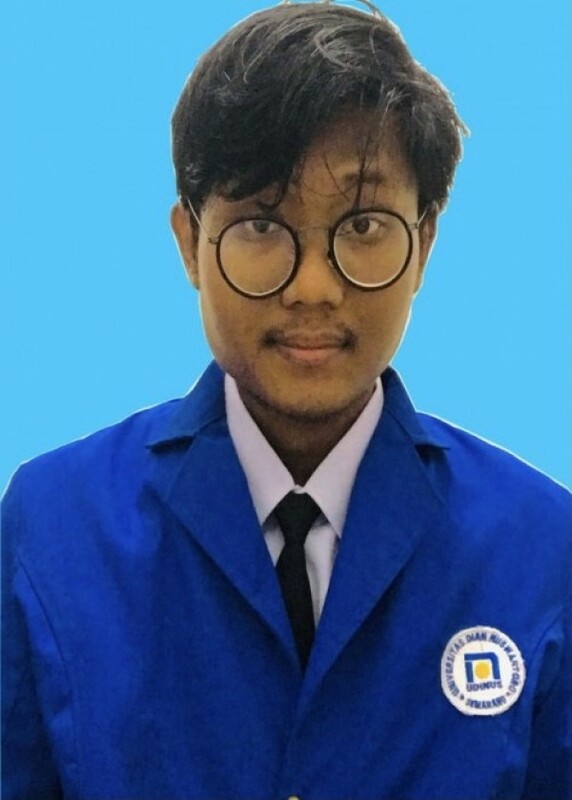 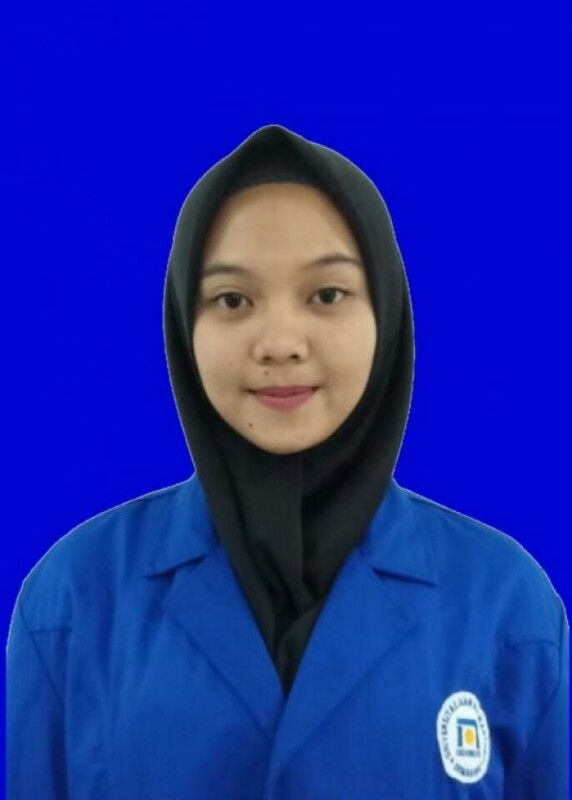 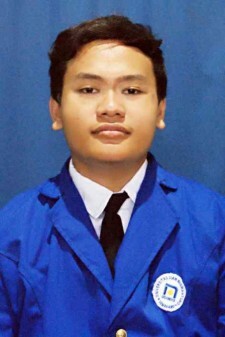 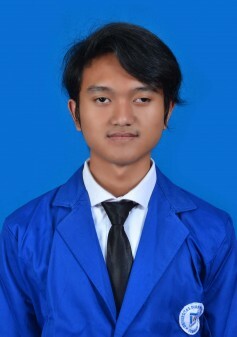 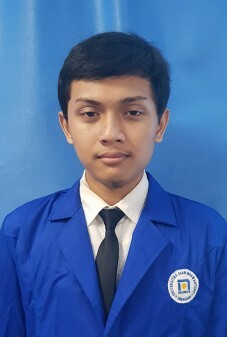 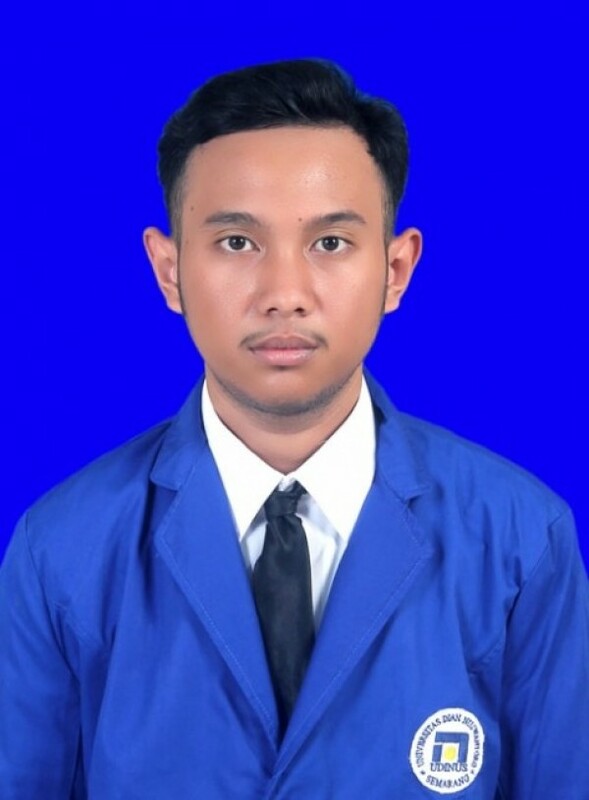 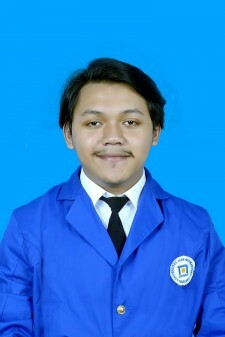 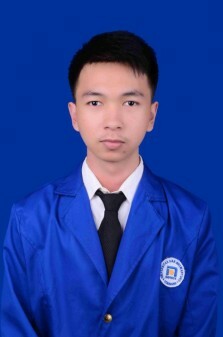 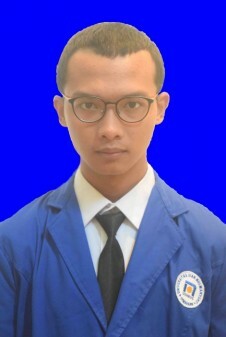 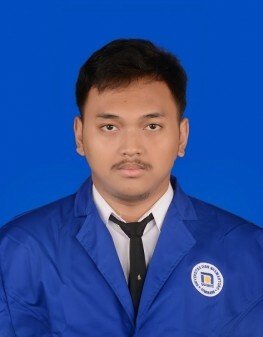 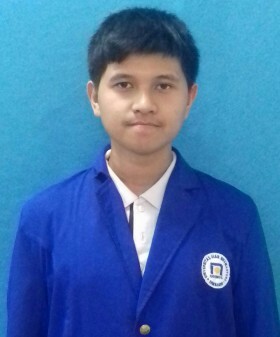 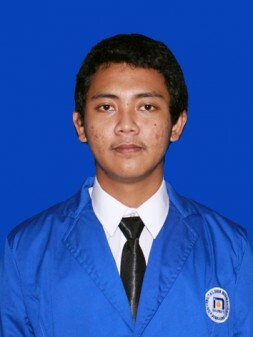 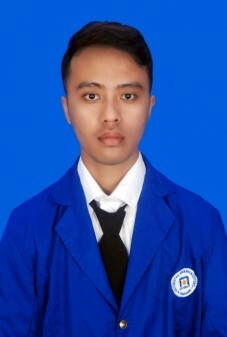 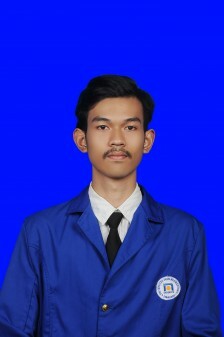 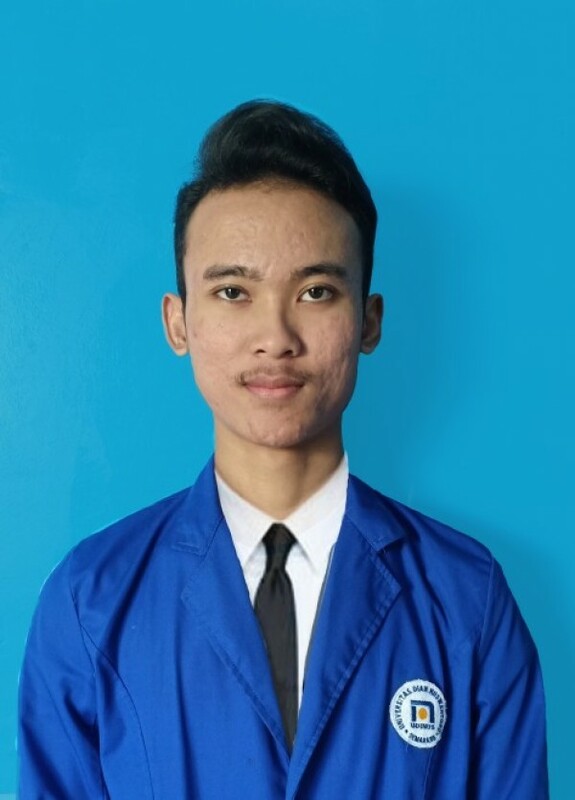 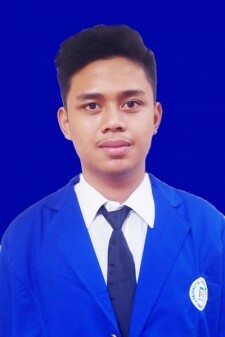 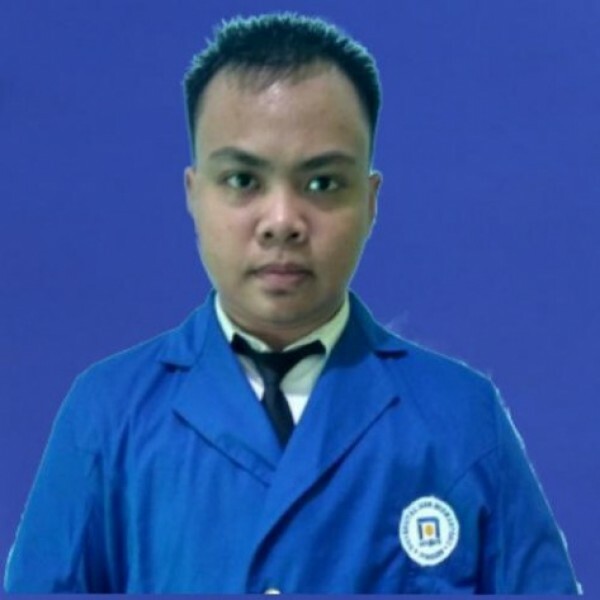 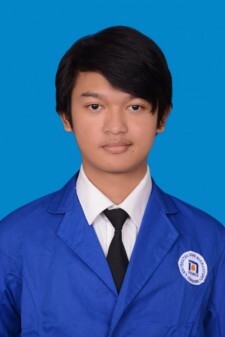 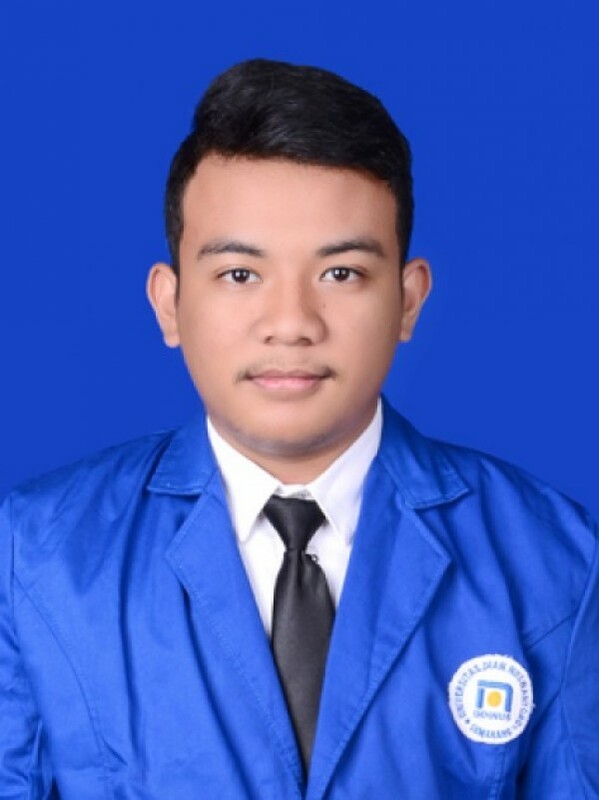 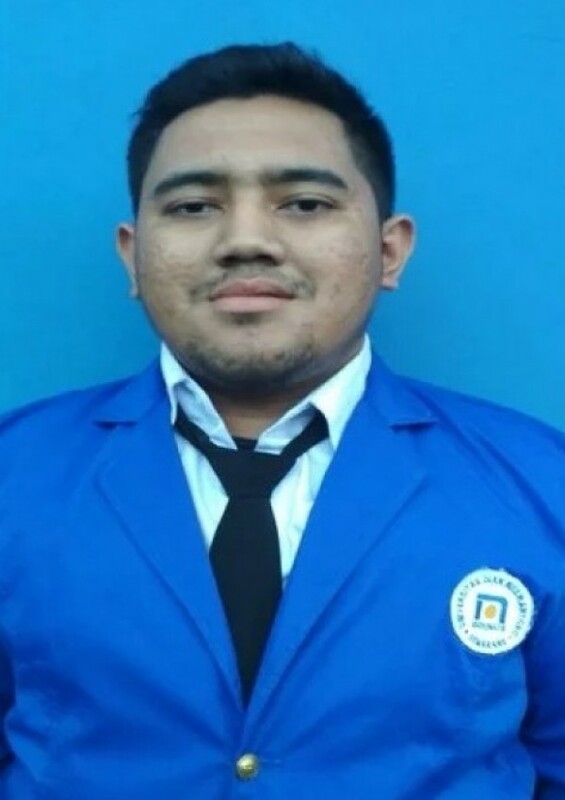 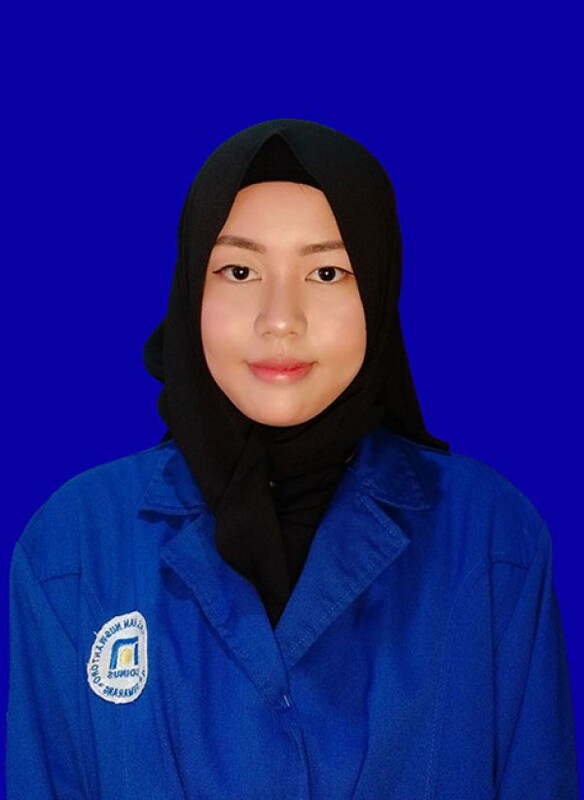 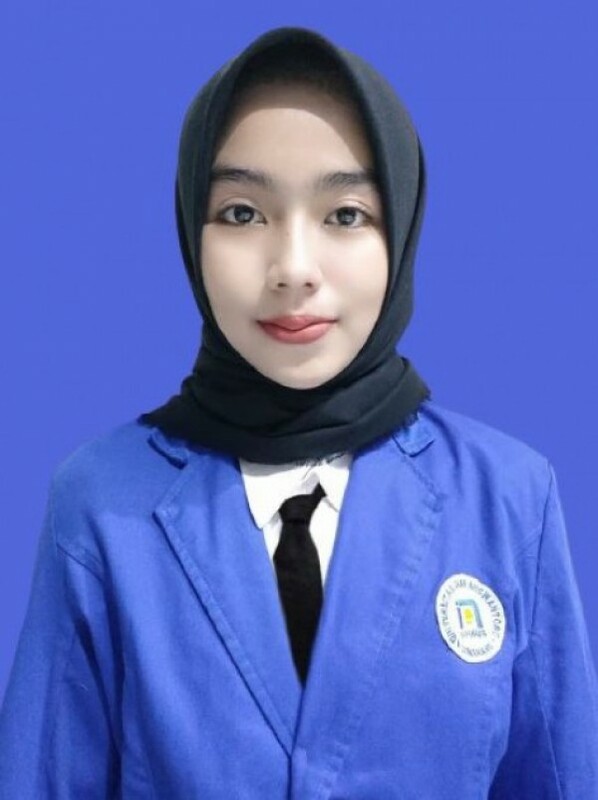 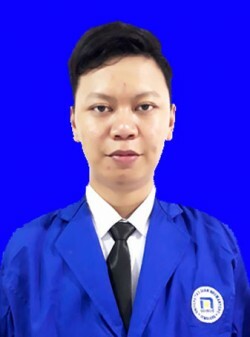 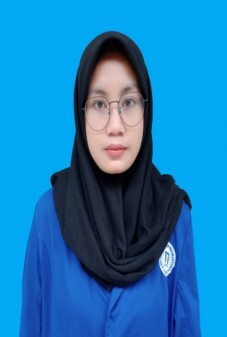 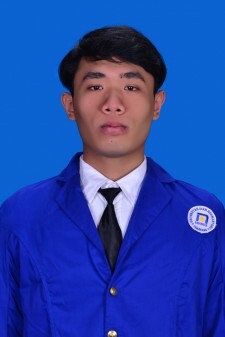 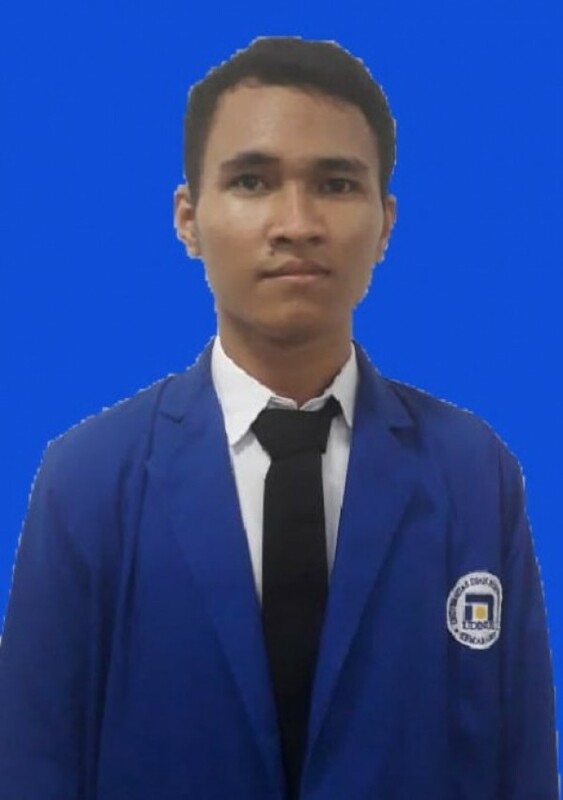 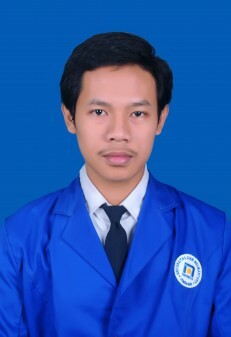 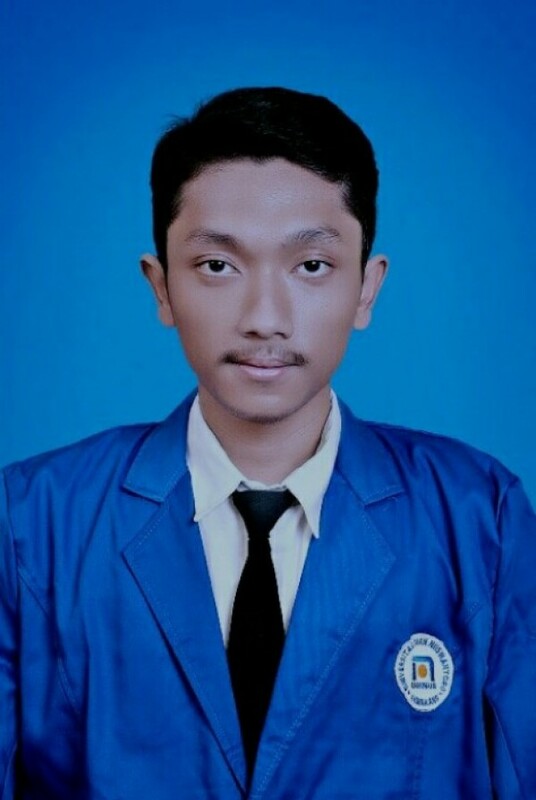 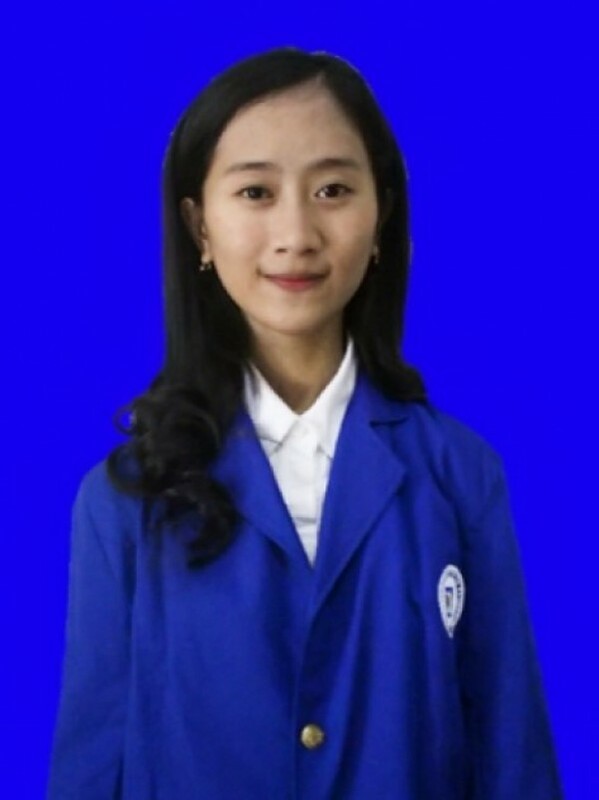 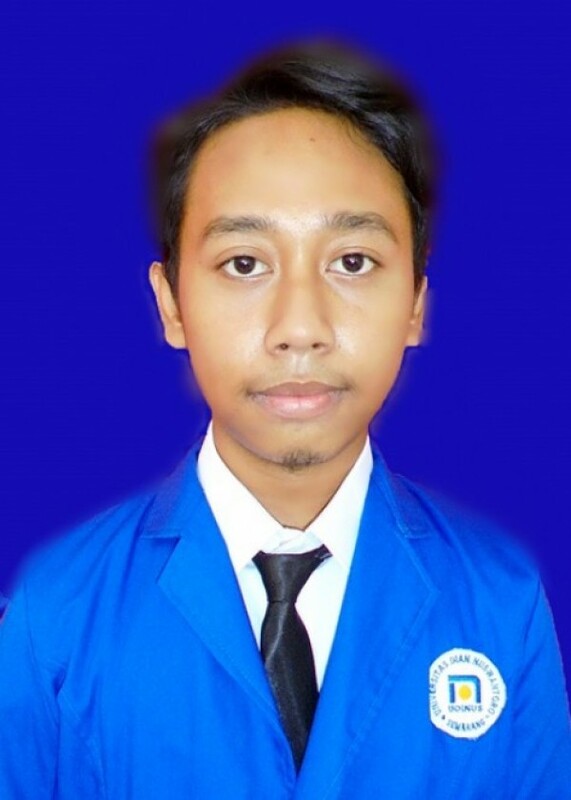 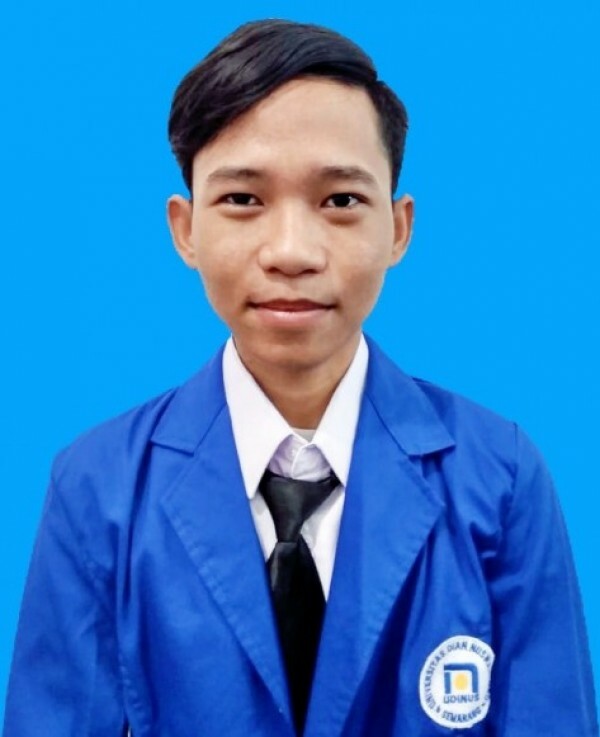 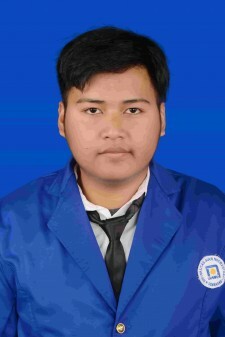 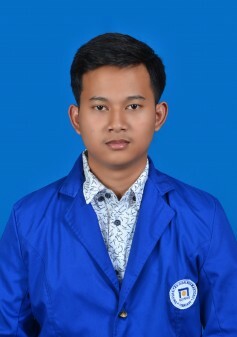 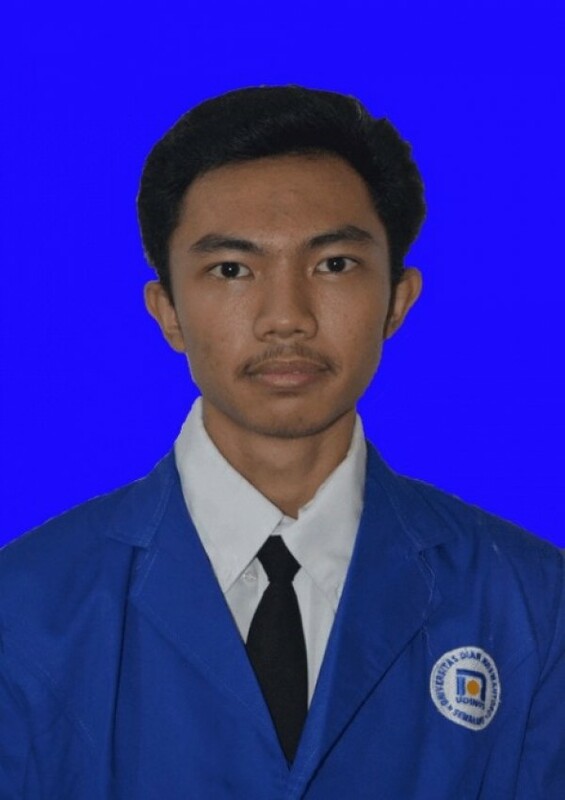 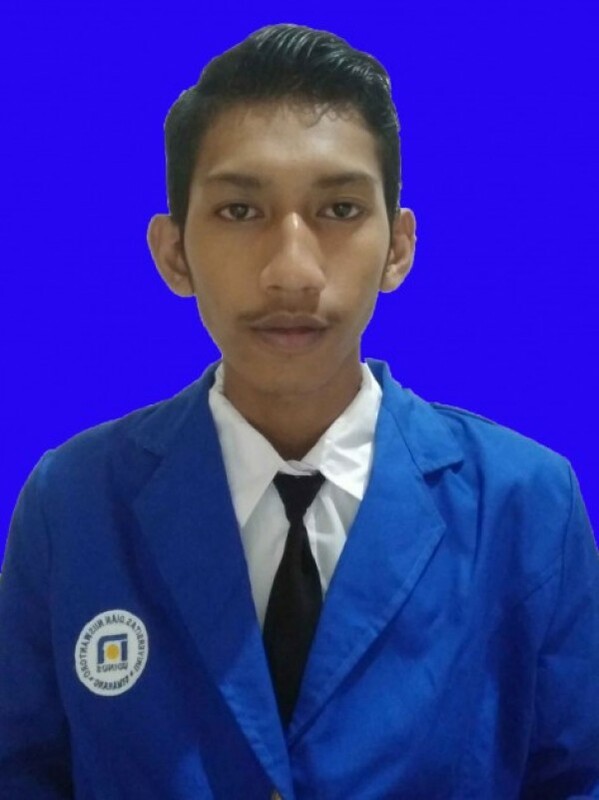 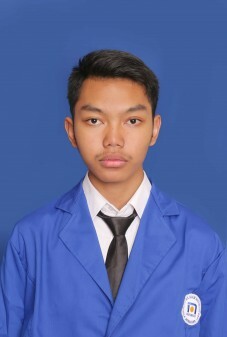 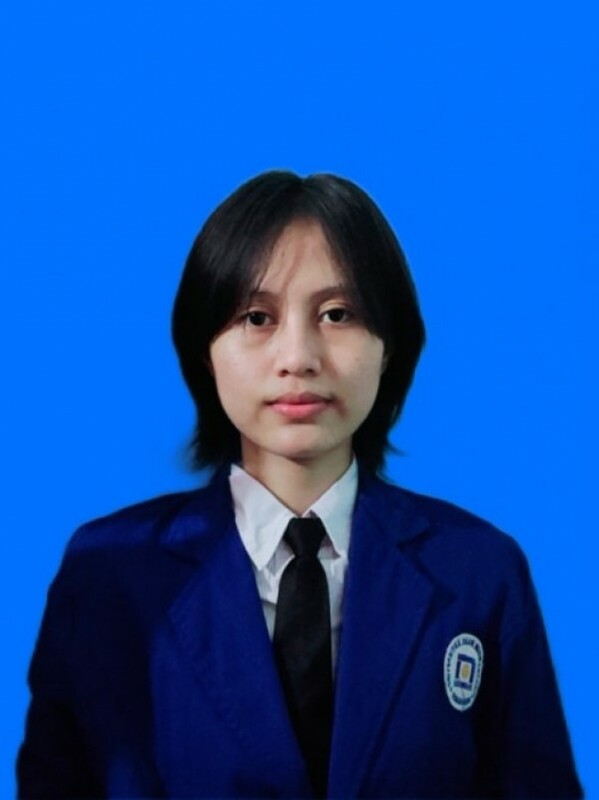 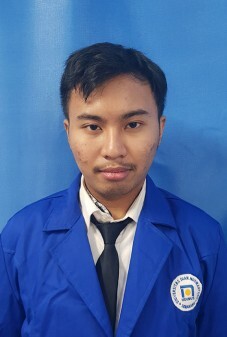 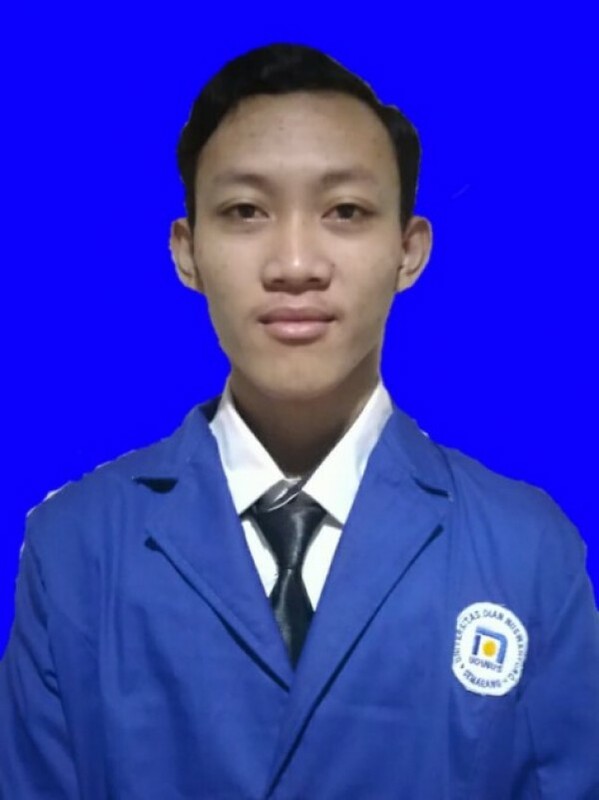 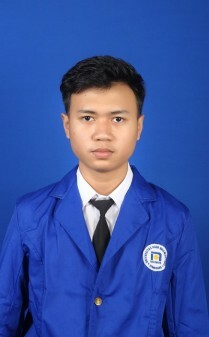 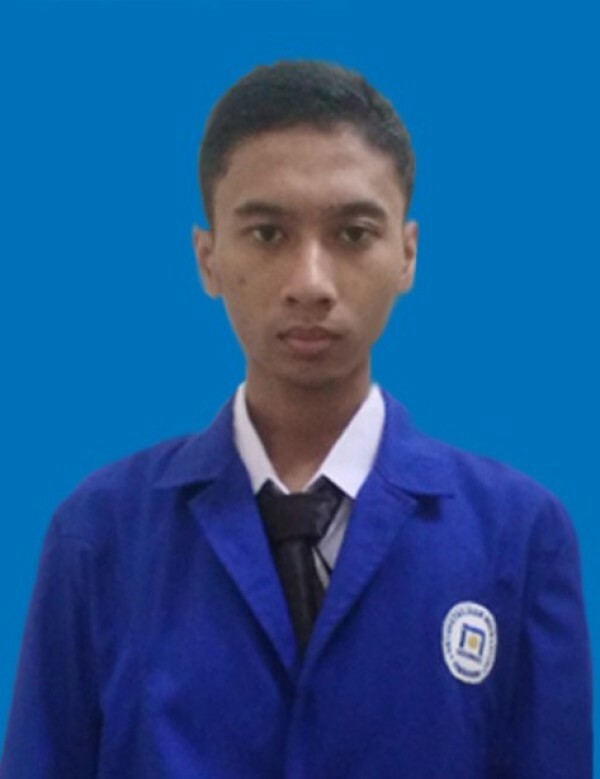 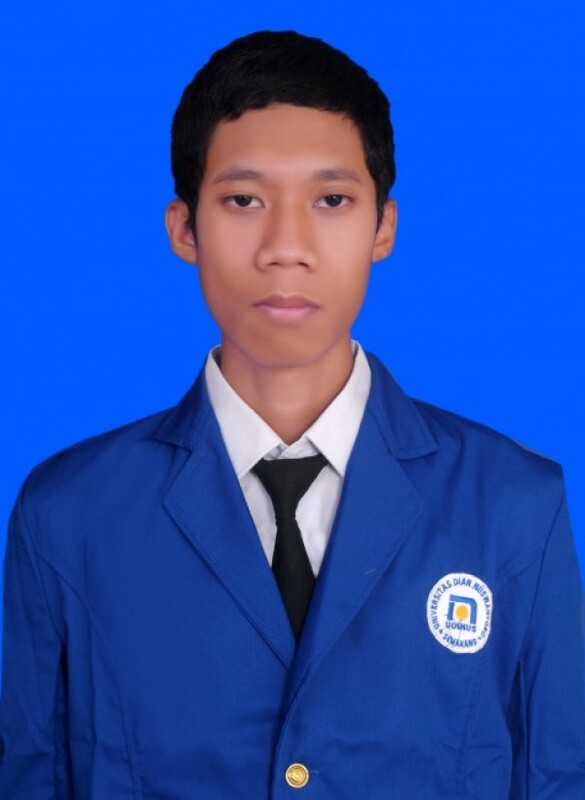 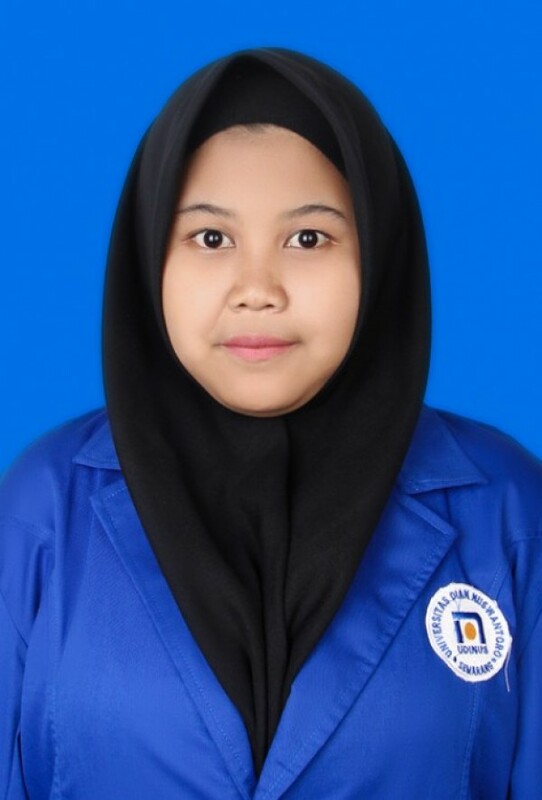 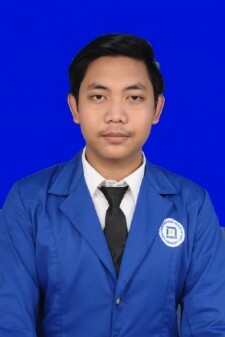 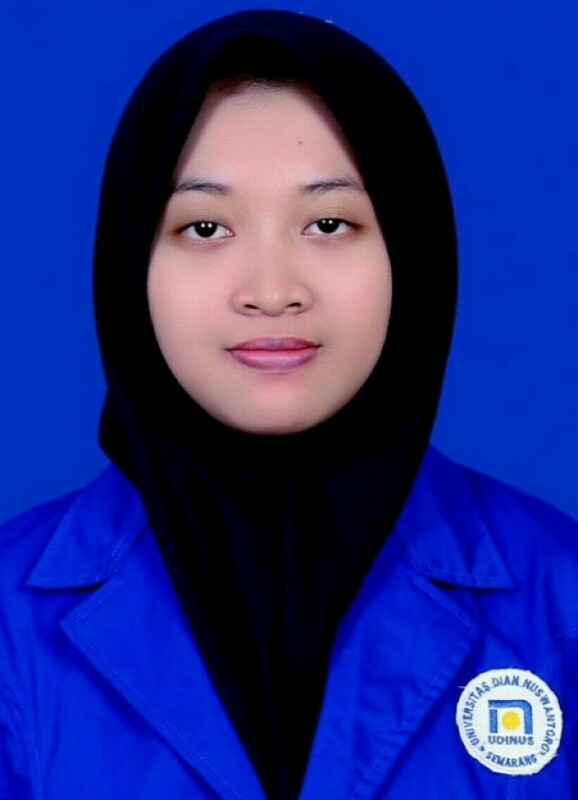 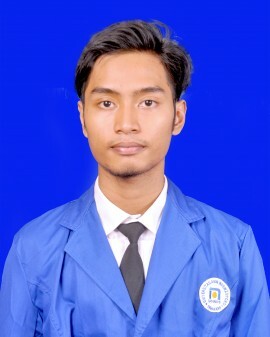 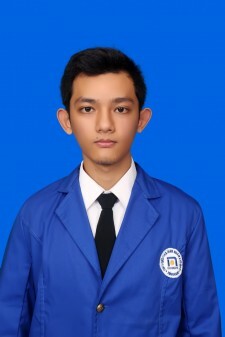 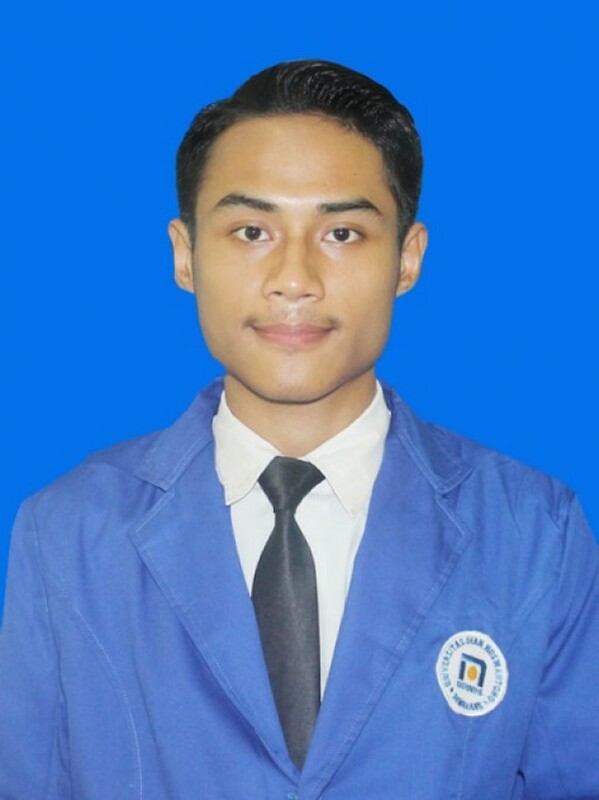 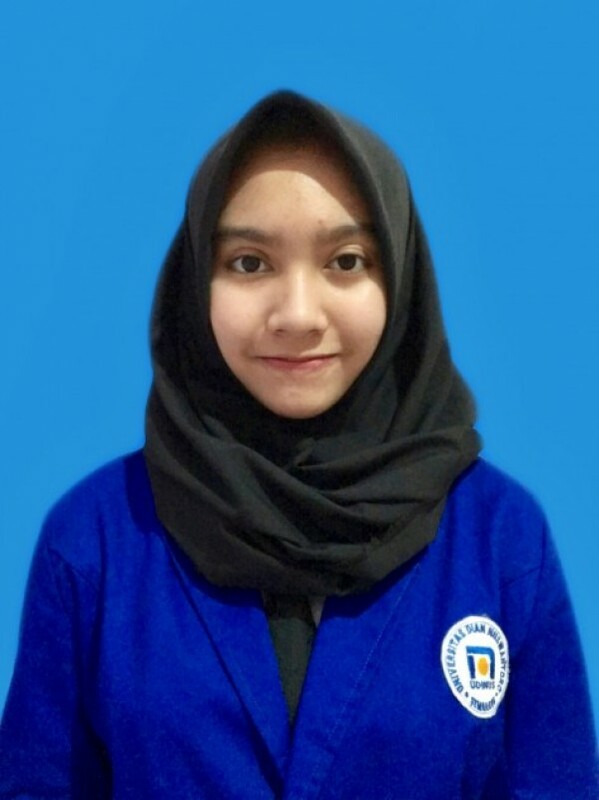 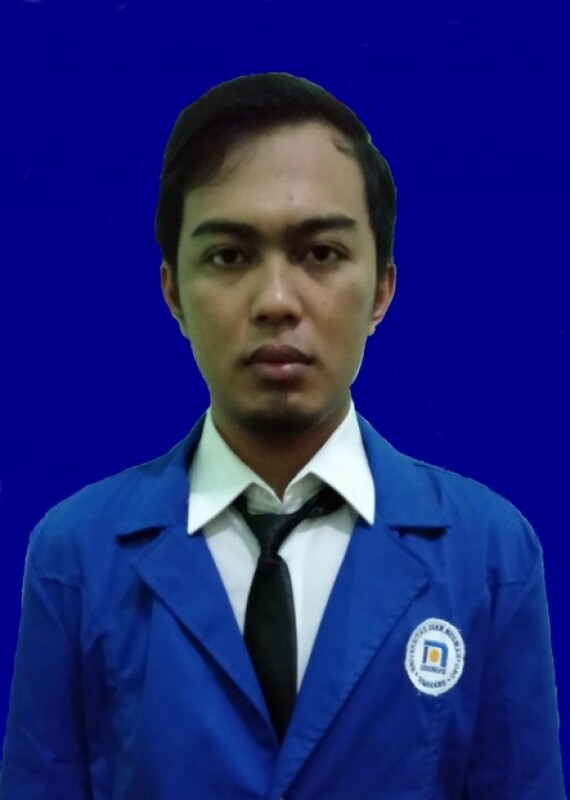 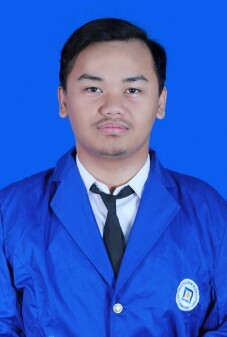 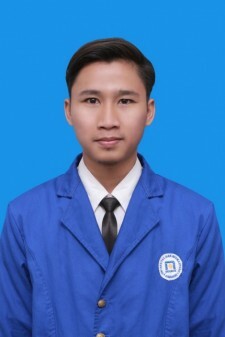 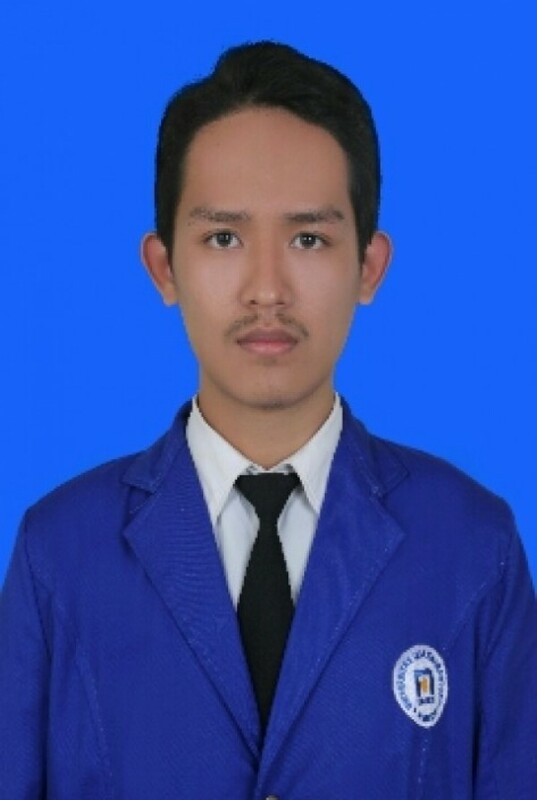 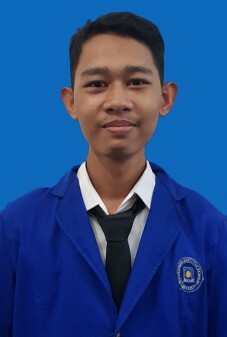 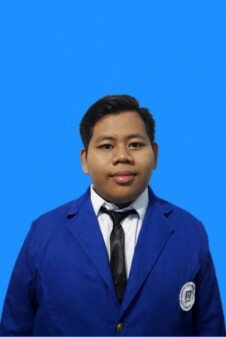 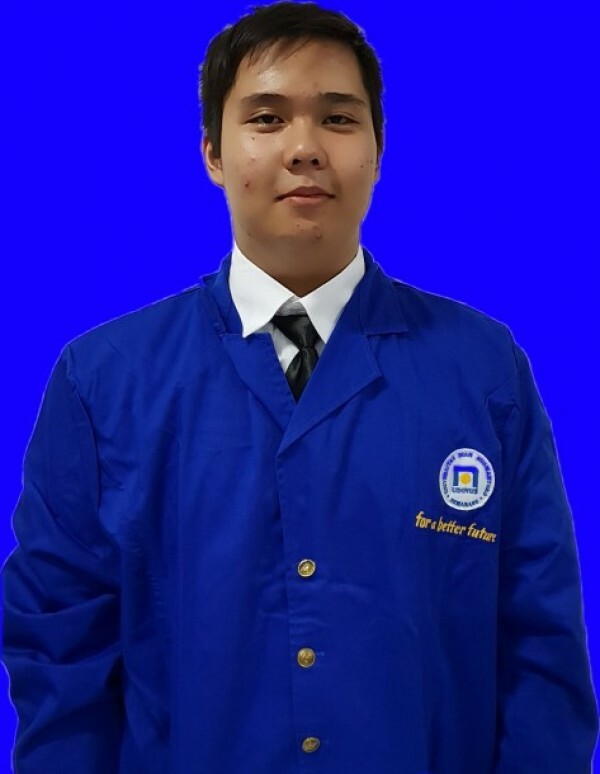 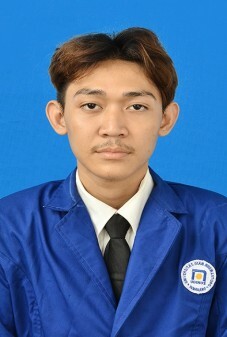 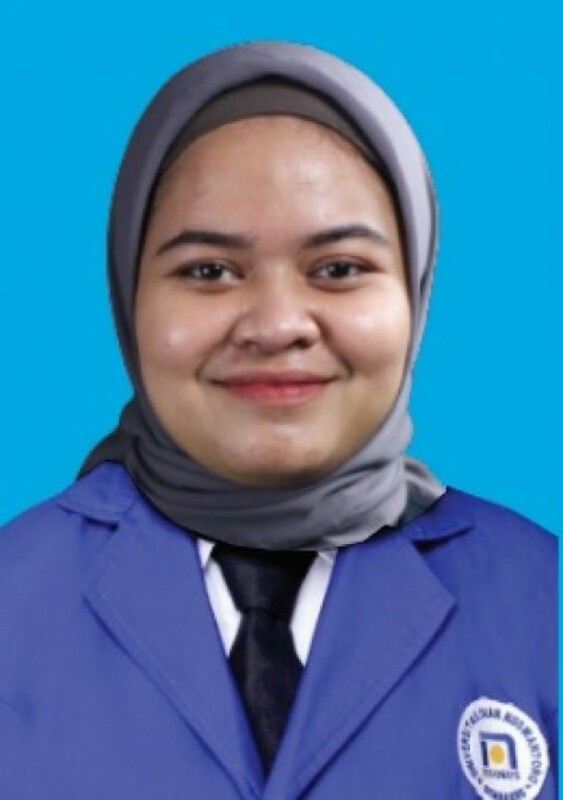 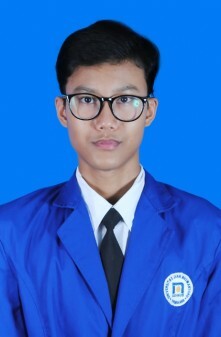 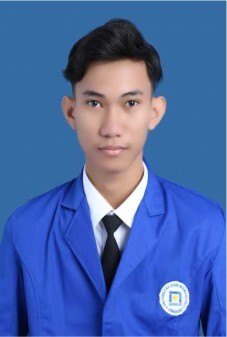 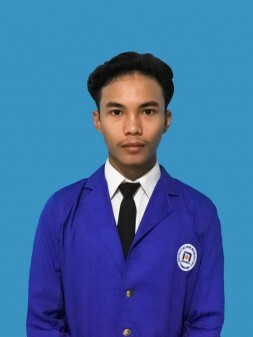 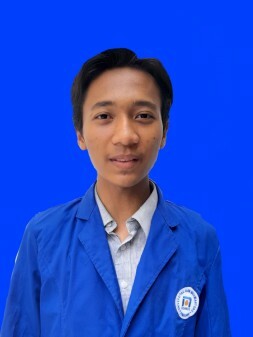 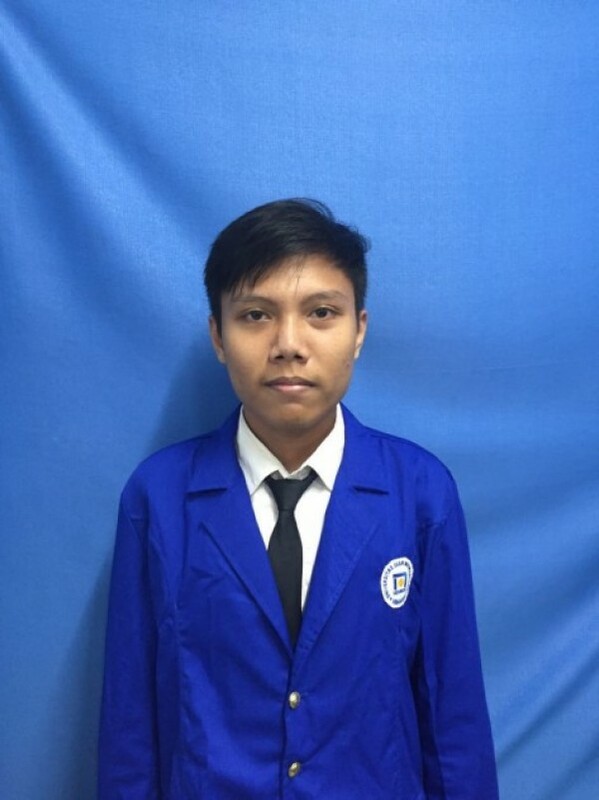 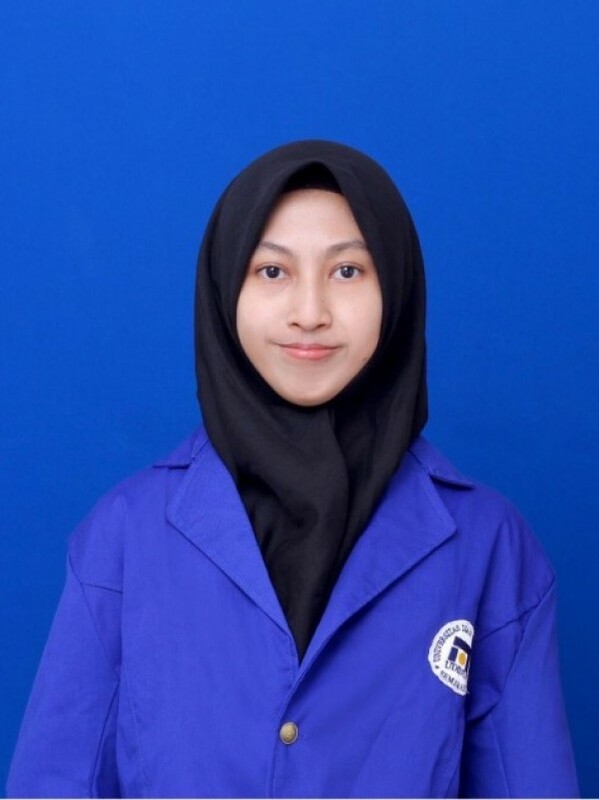 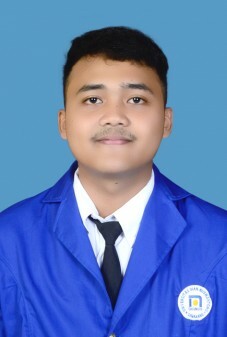 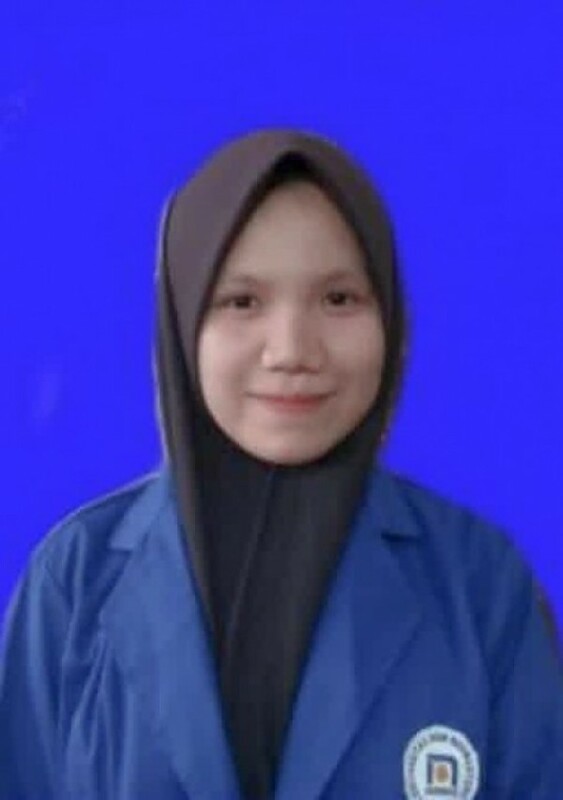 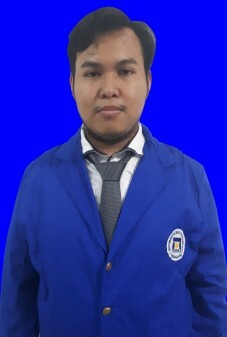 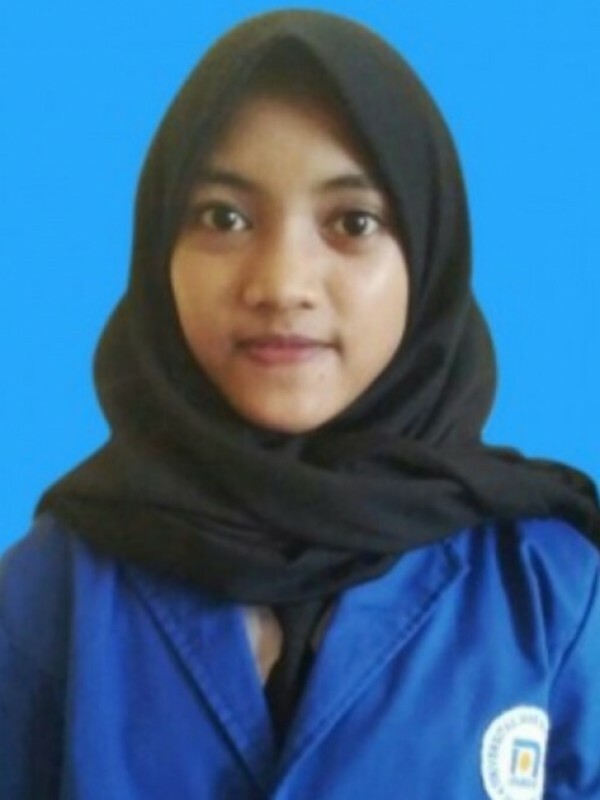 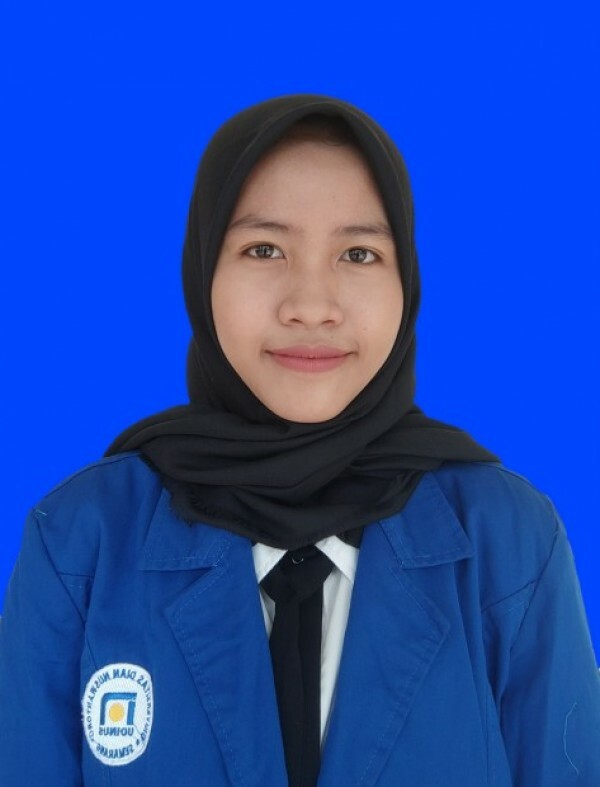 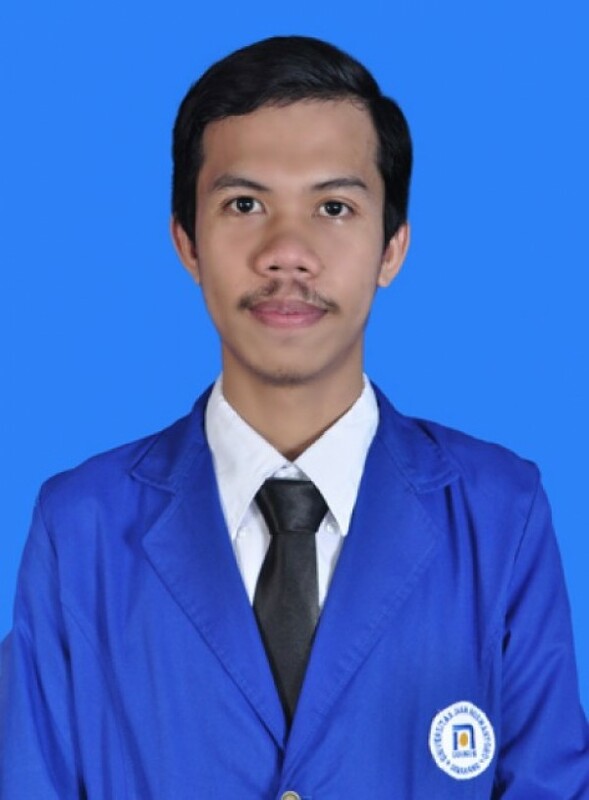 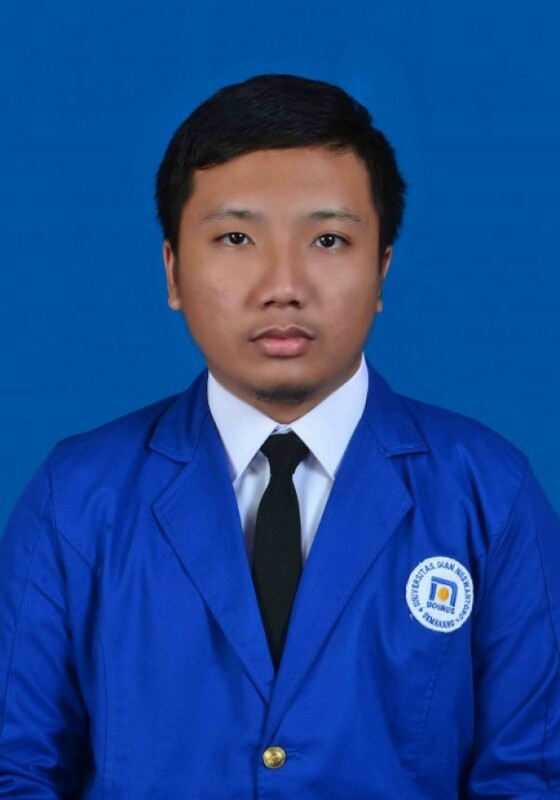 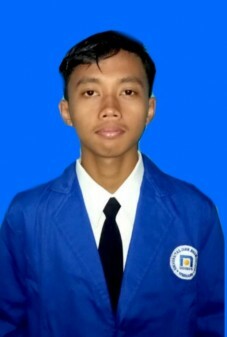 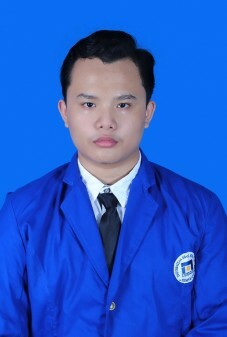 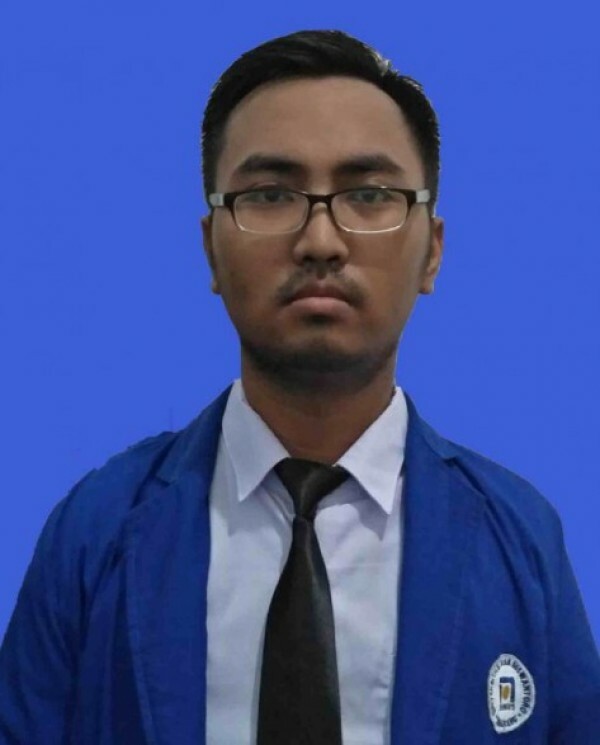 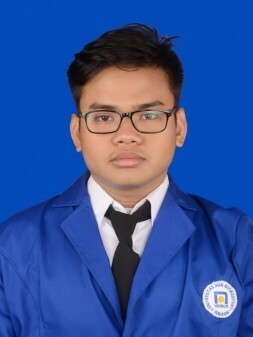 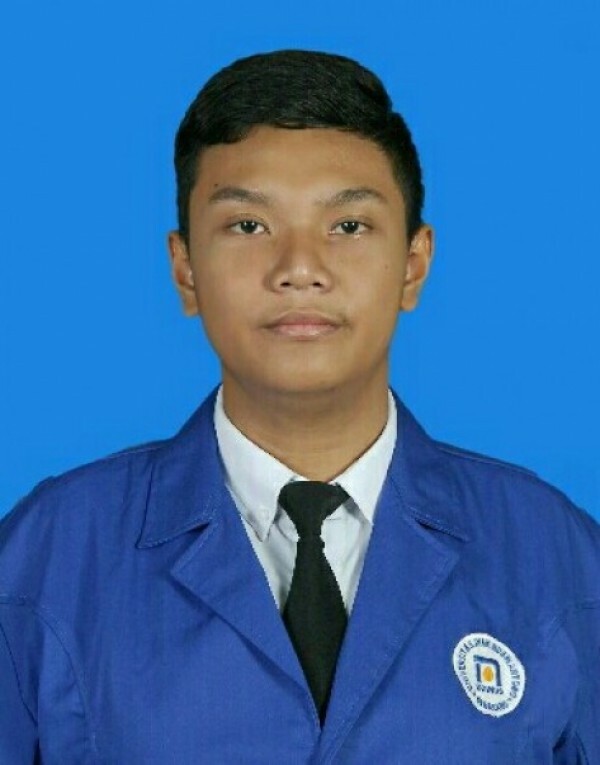 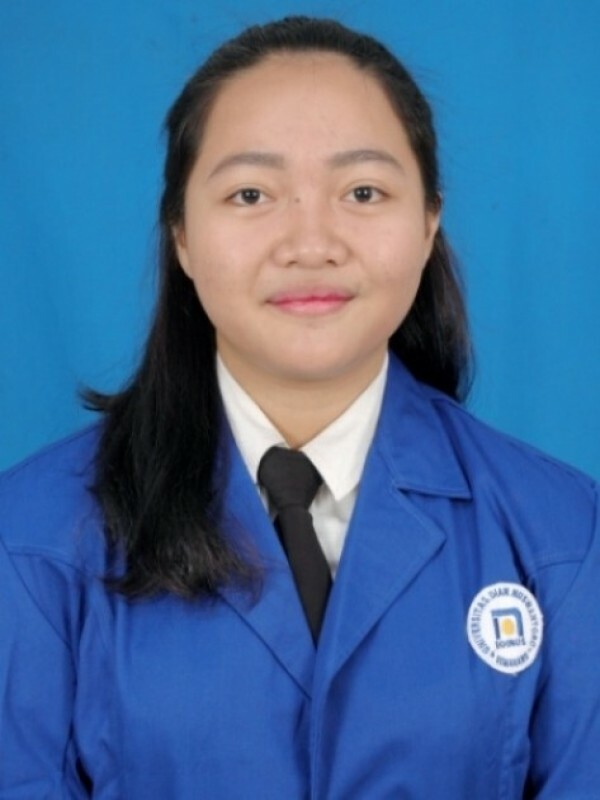 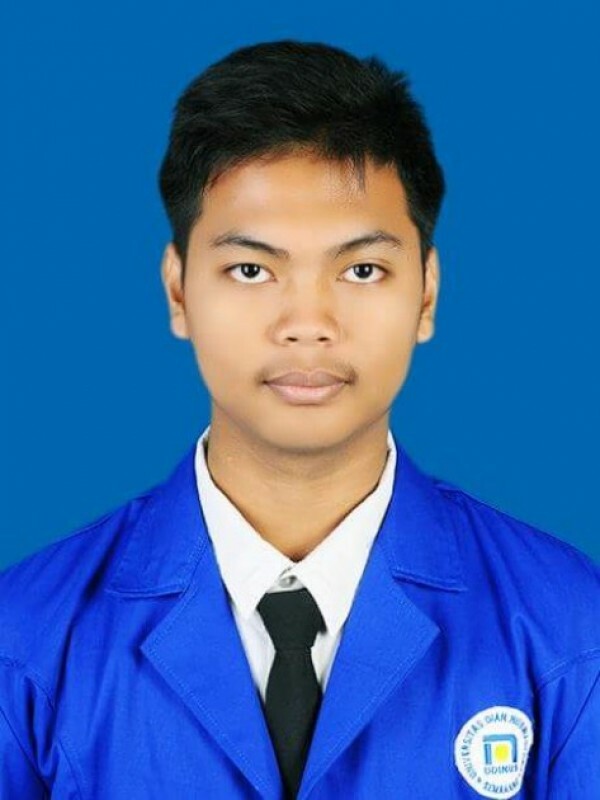 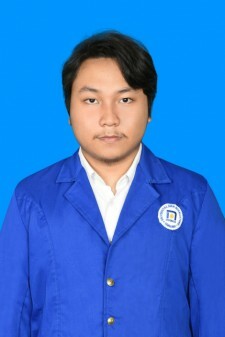 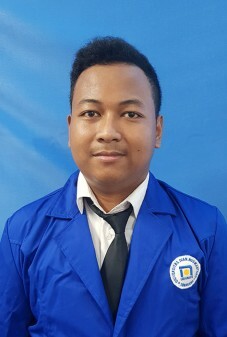 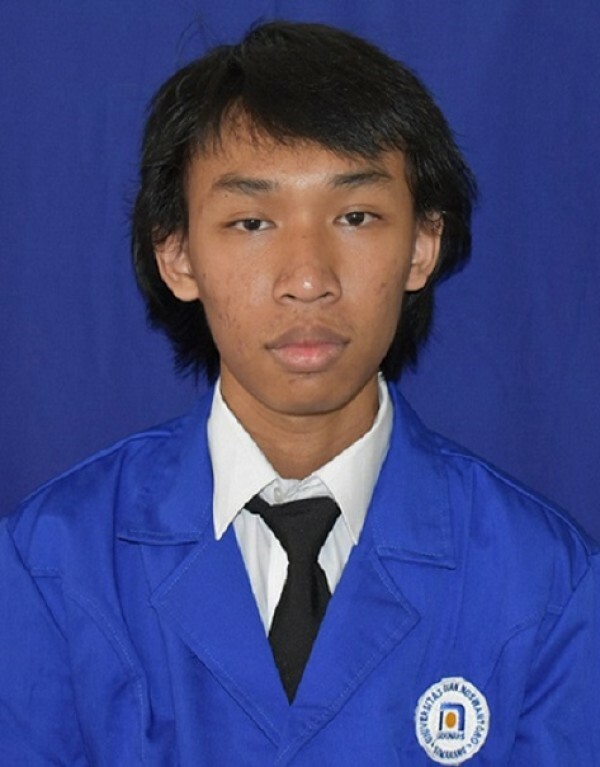 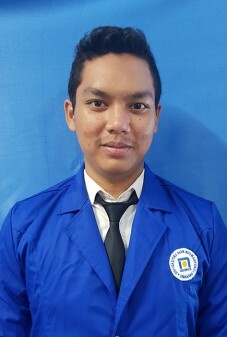 All graduates from the faculty of computer sciences of Dian Nuswantoro University are highly knowledgeable and undoubtedly skillful that they surely are capable of implementing their advance knowledge and skills as their basic competences in creating various developments for better Indonesia. 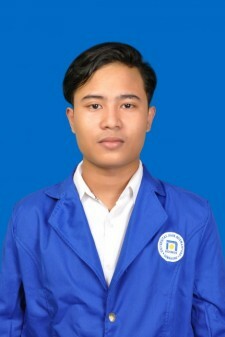 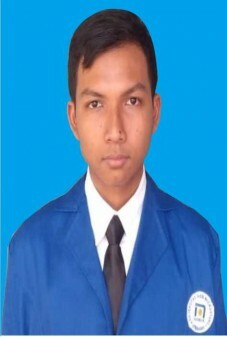 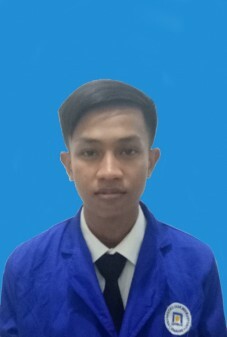 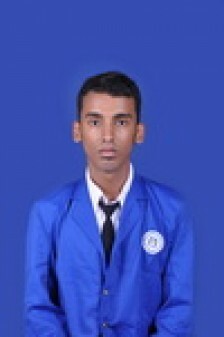 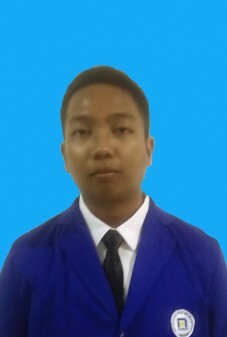 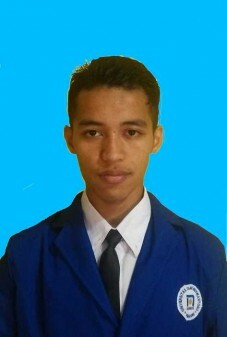 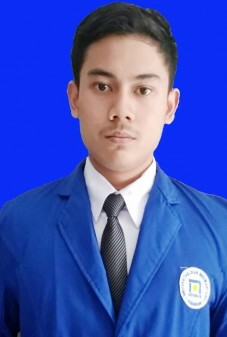 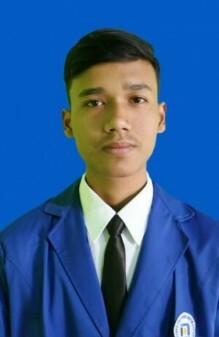 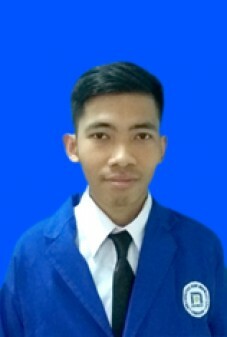 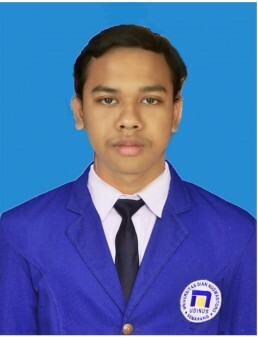 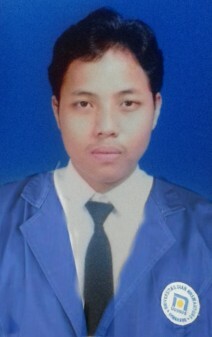 This commitment is considered as one essential role for private organization in educational sector aiming at improving its quality and competitiveness regarding to the Indonesian human resources in facing this globalization era upon the values and special features as the determining factors of those economic agents in general, and computer sciences in particular. 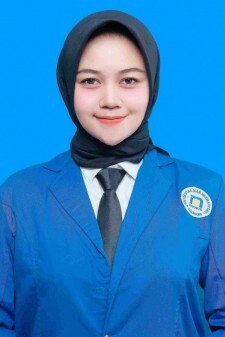 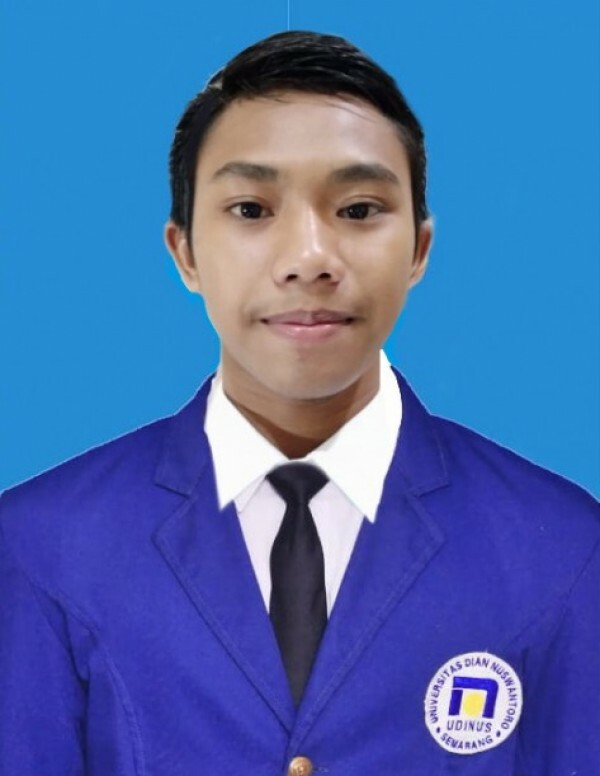 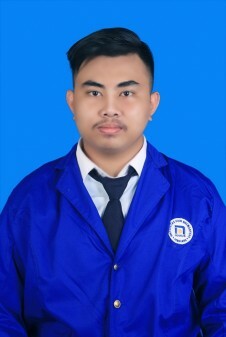 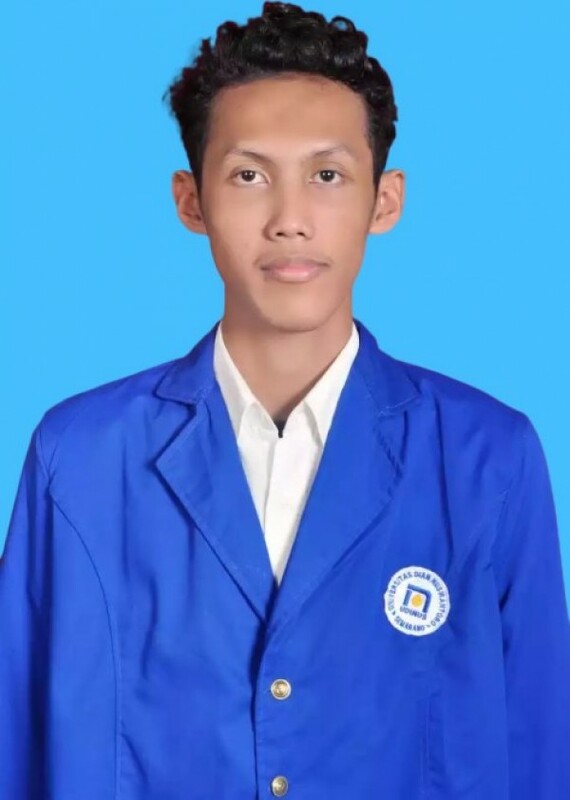 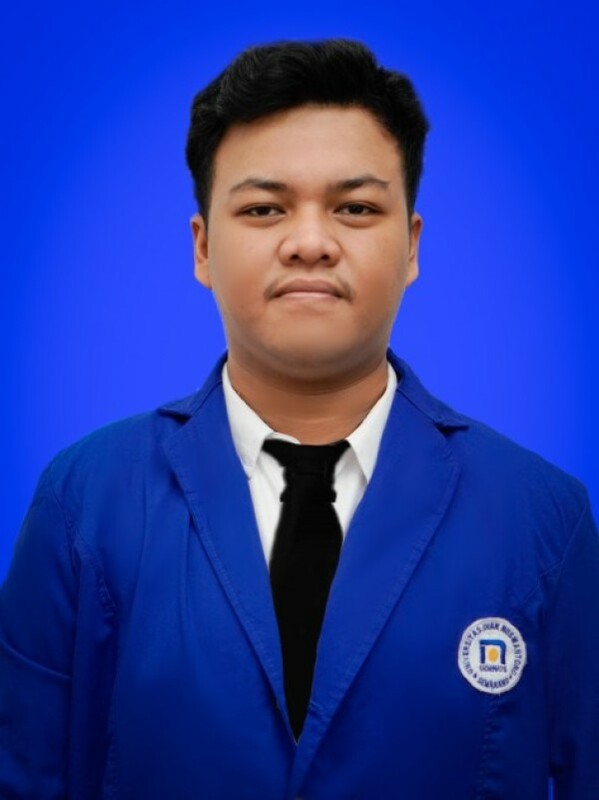 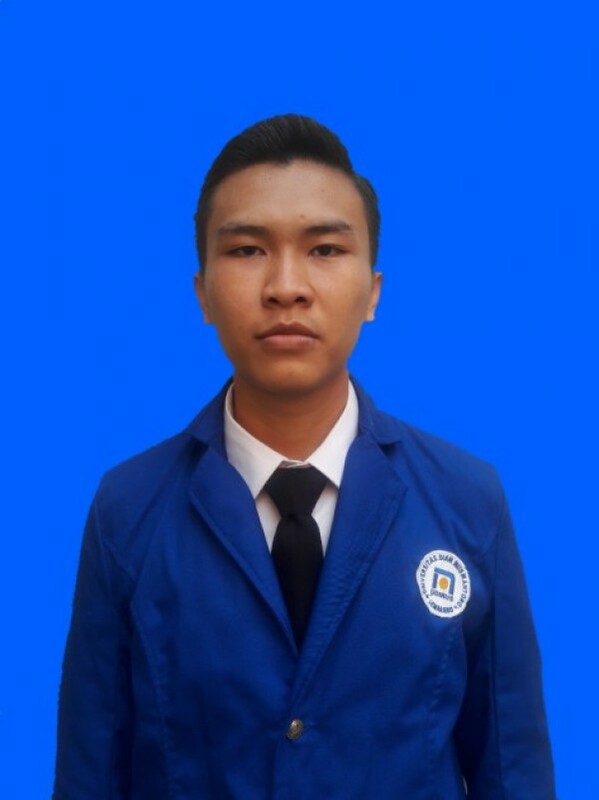 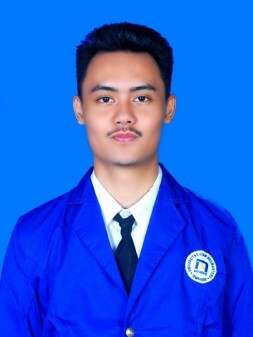 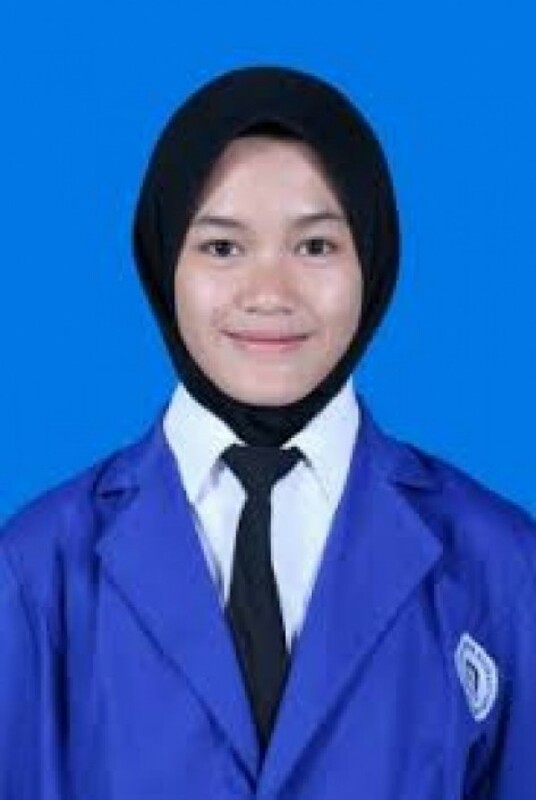 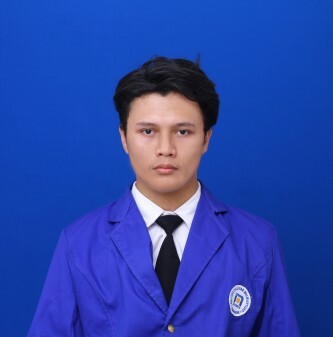 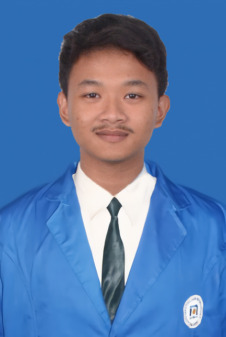 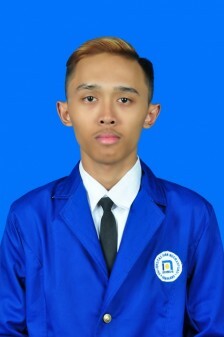 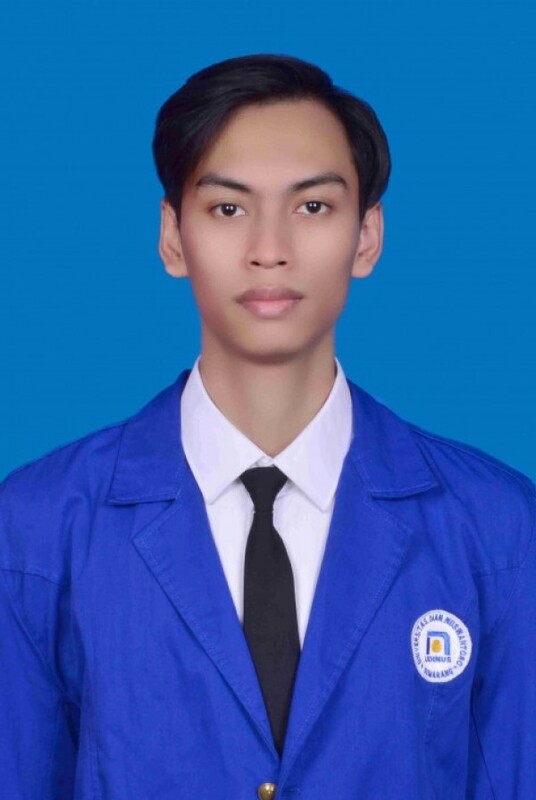 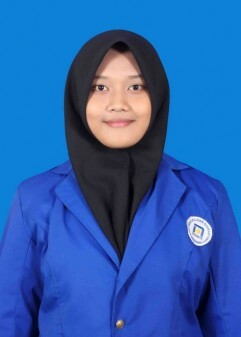 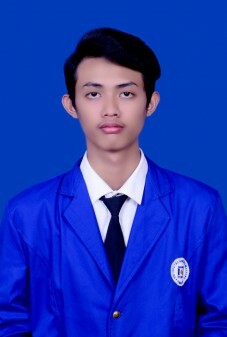 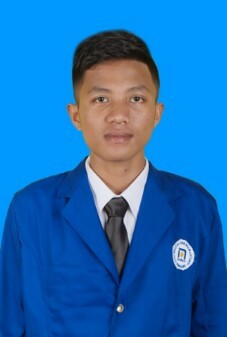 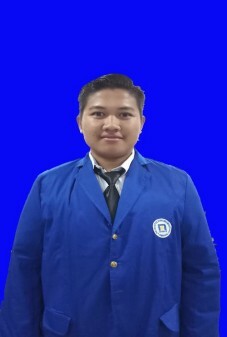 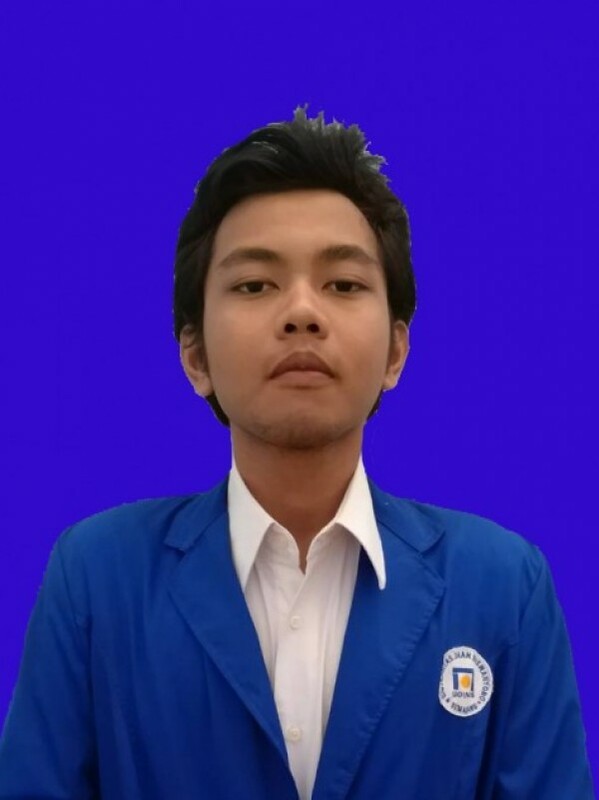 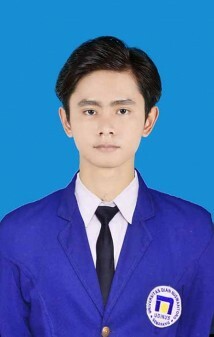 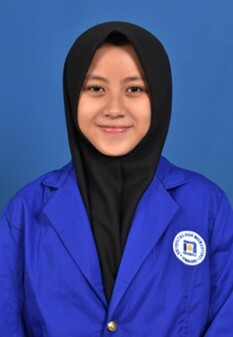 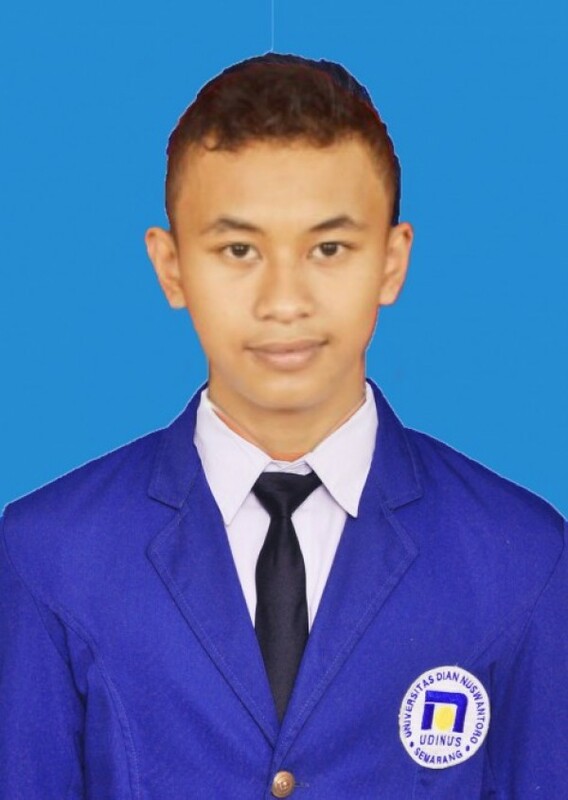 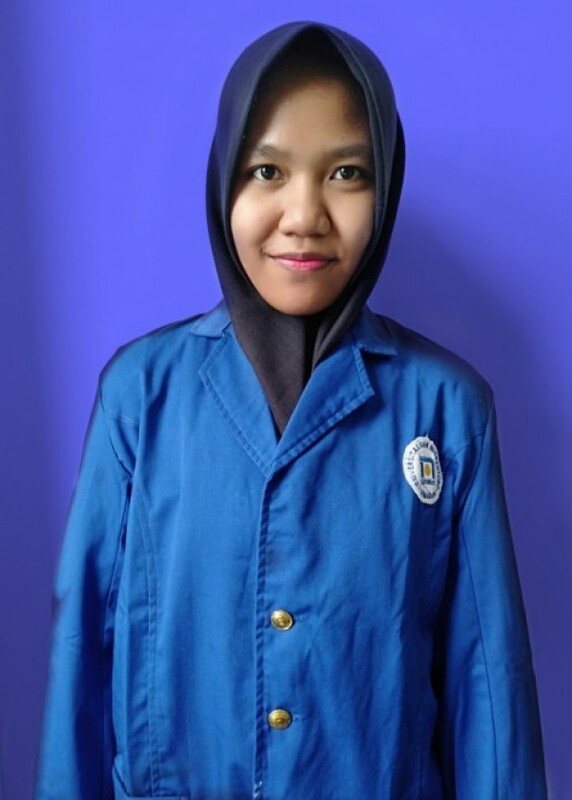 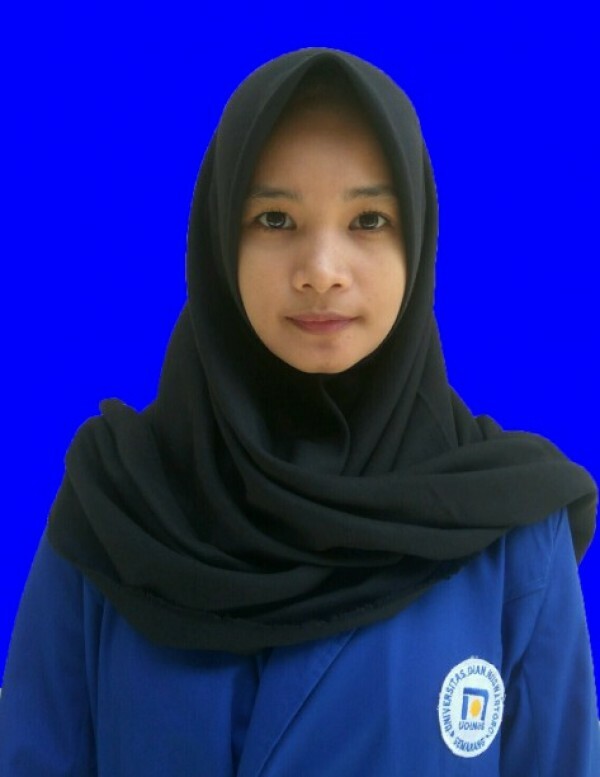 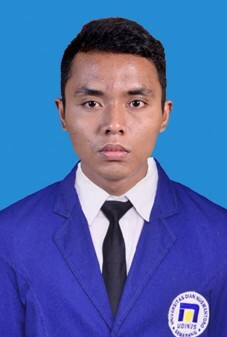 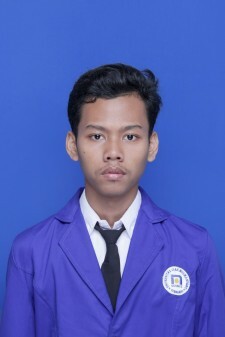 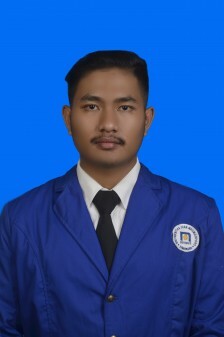 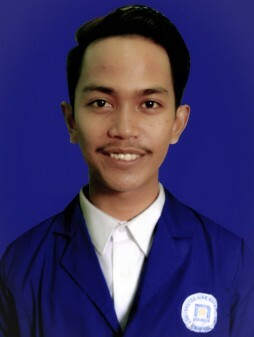 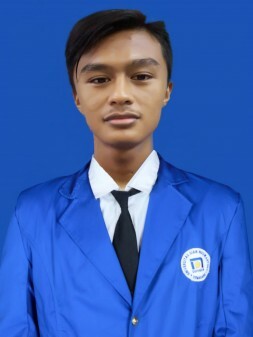 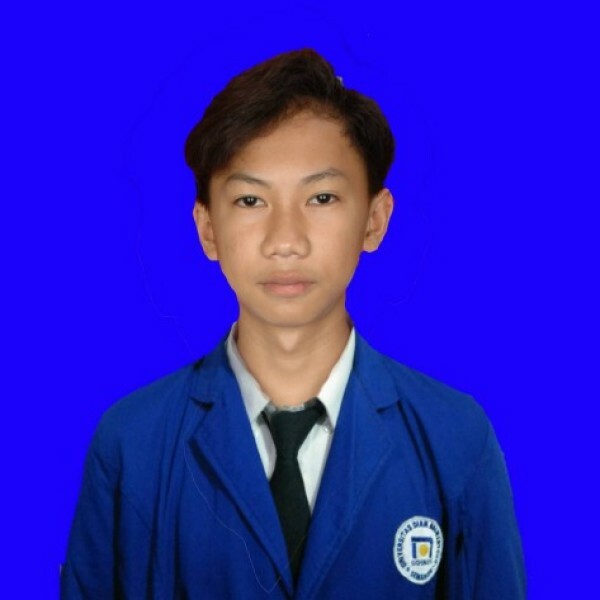 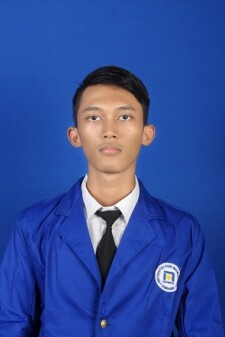 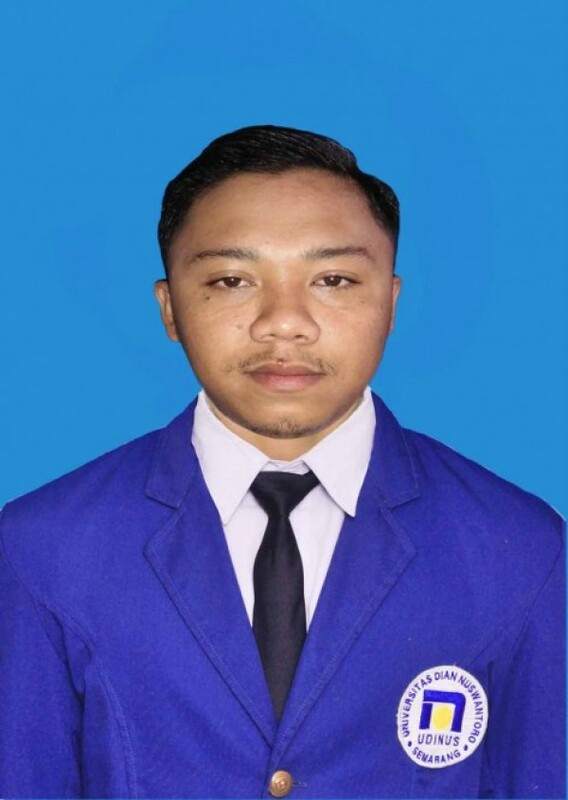 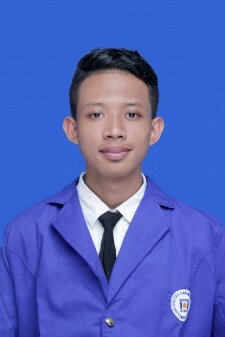 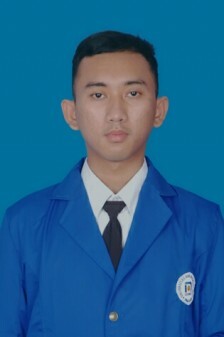 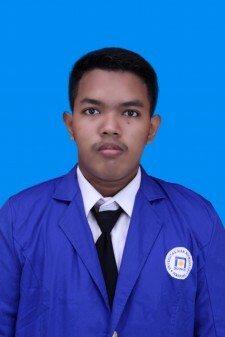 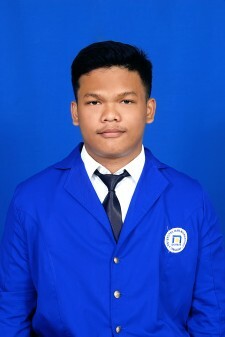 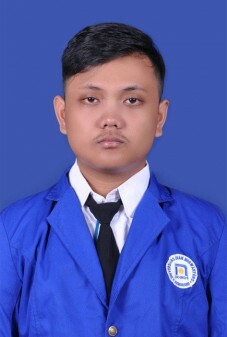 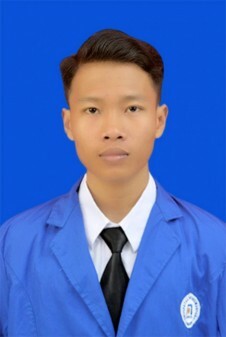 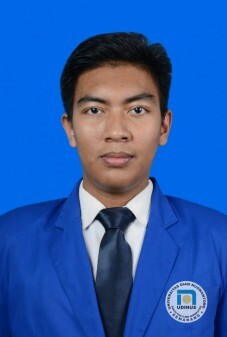 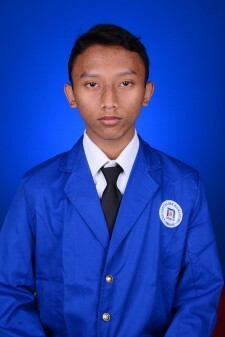 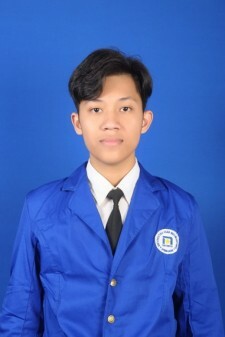 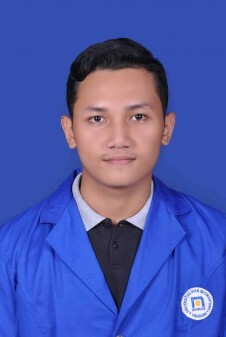 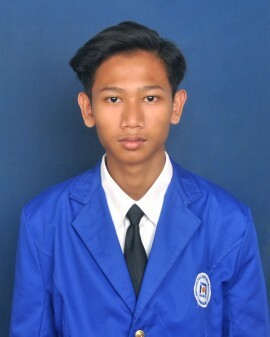 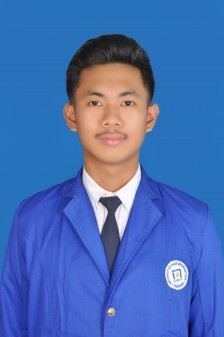 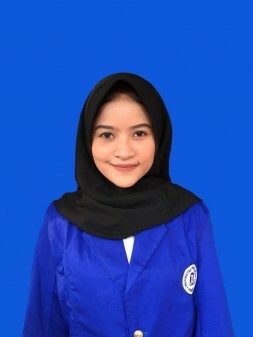 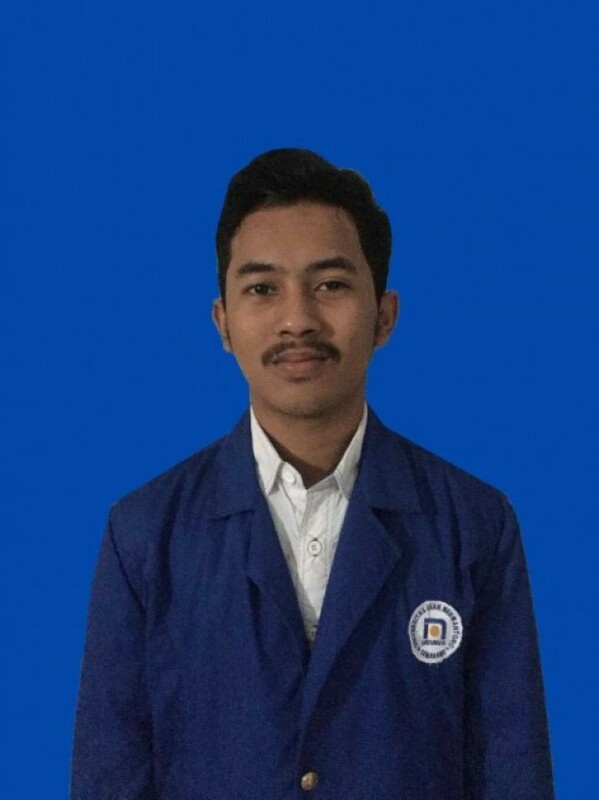 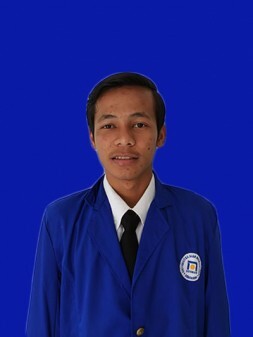 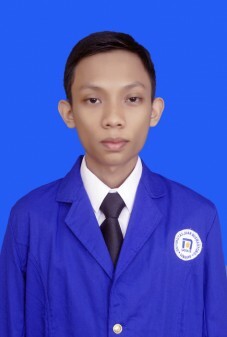 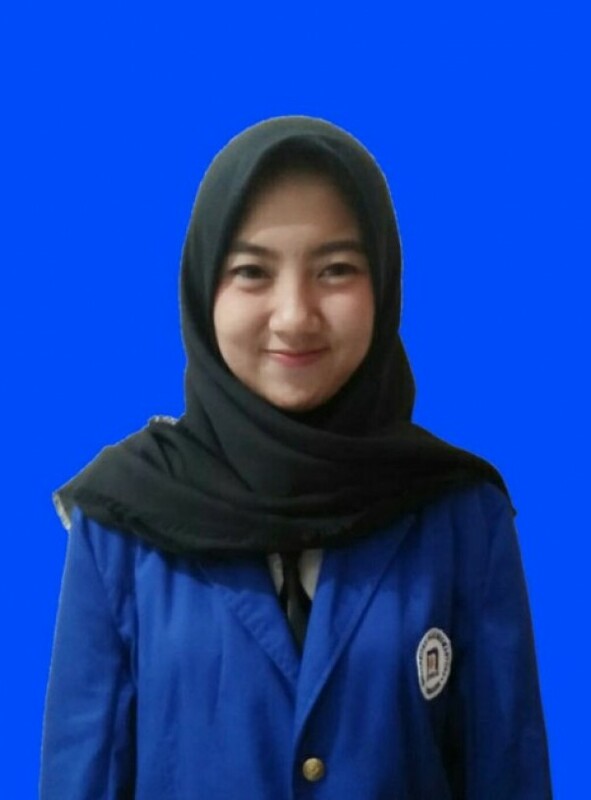 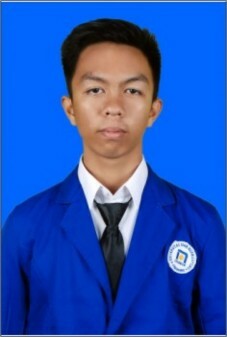 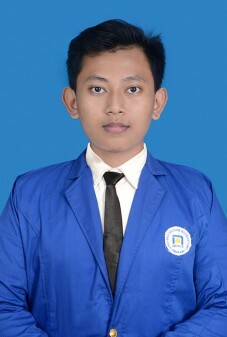 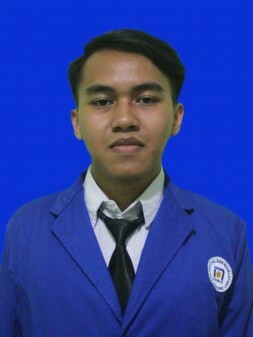 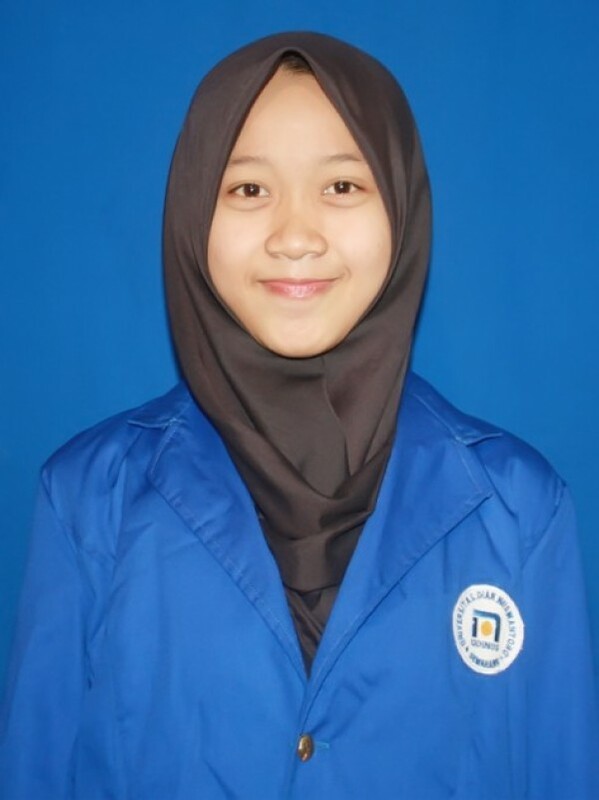 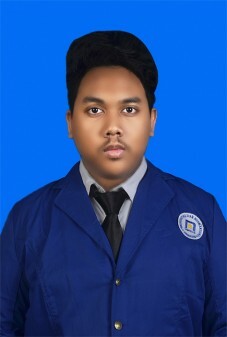 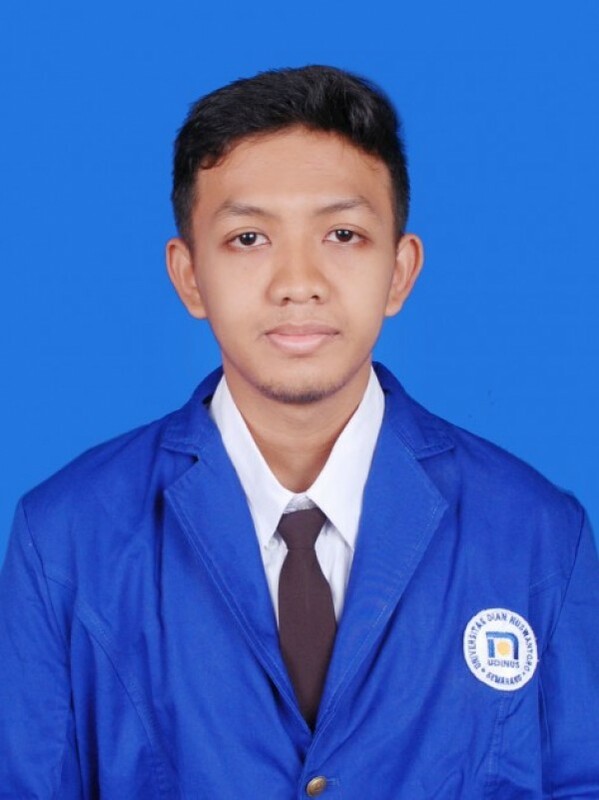 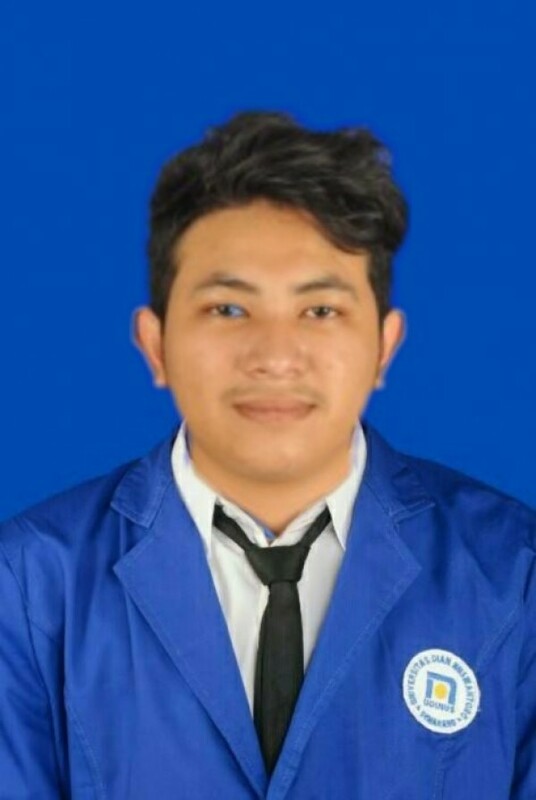 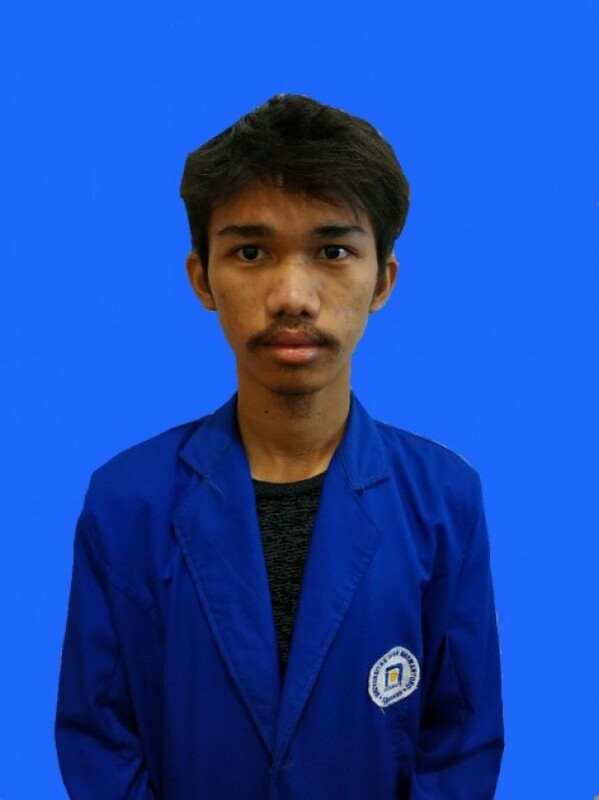 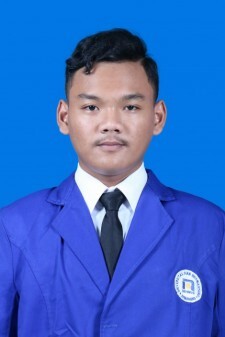 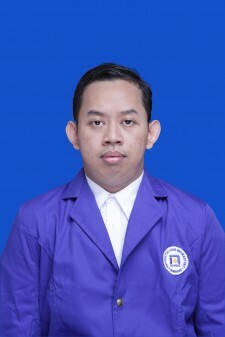 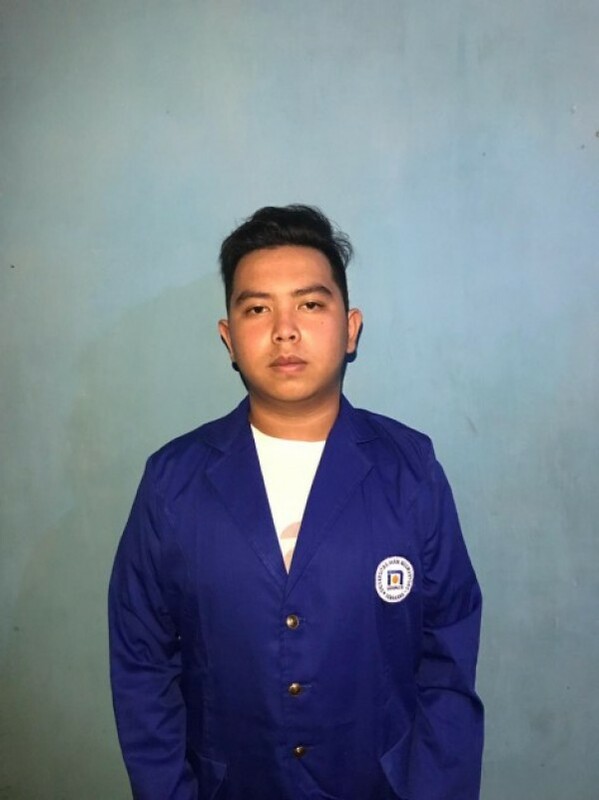 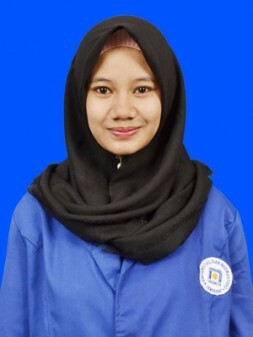 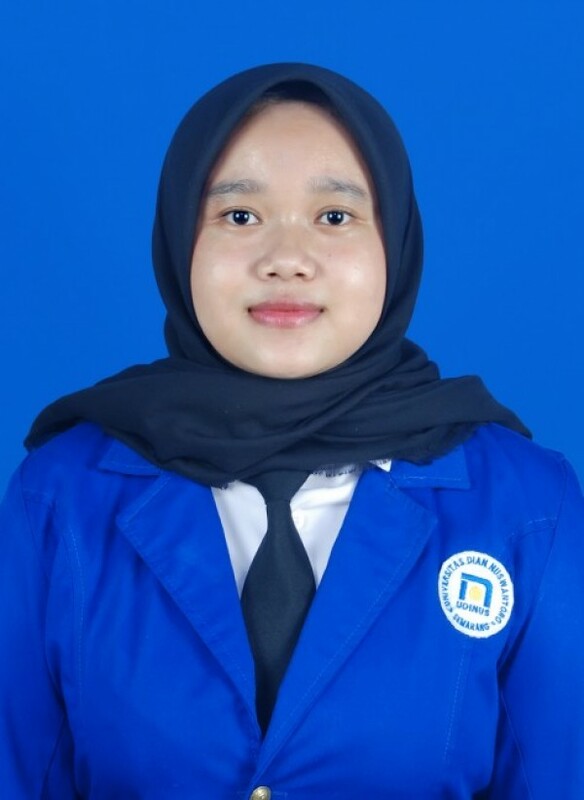 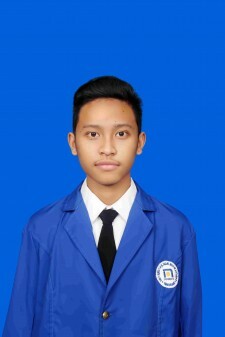 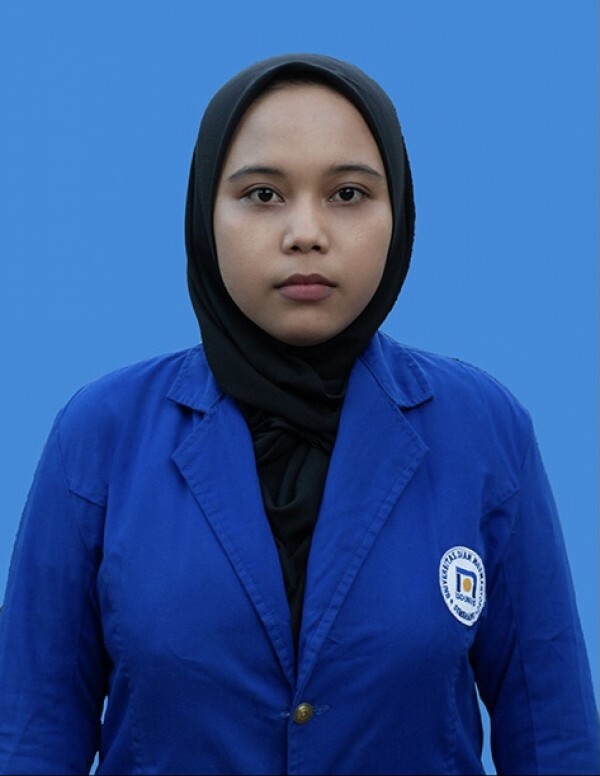 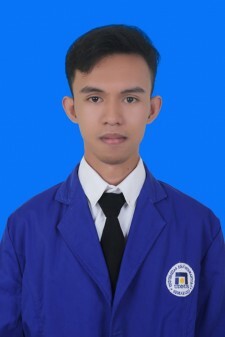 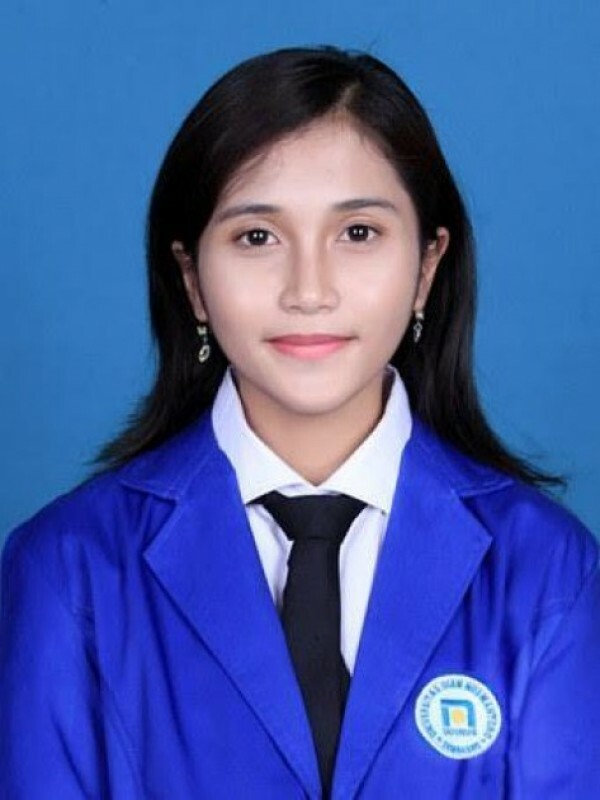 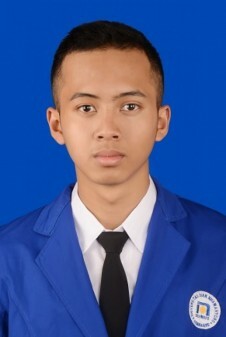 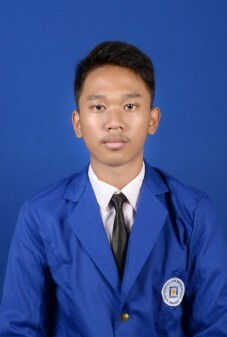 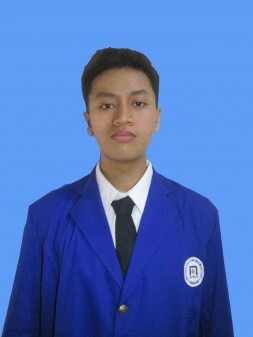 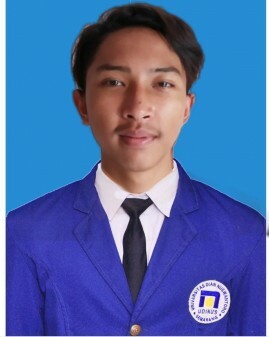 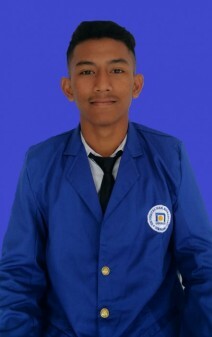 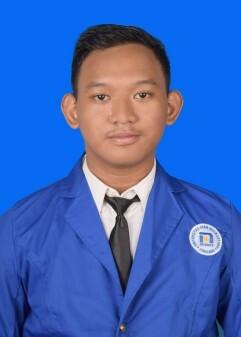 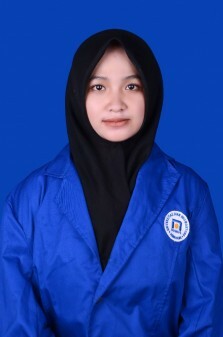 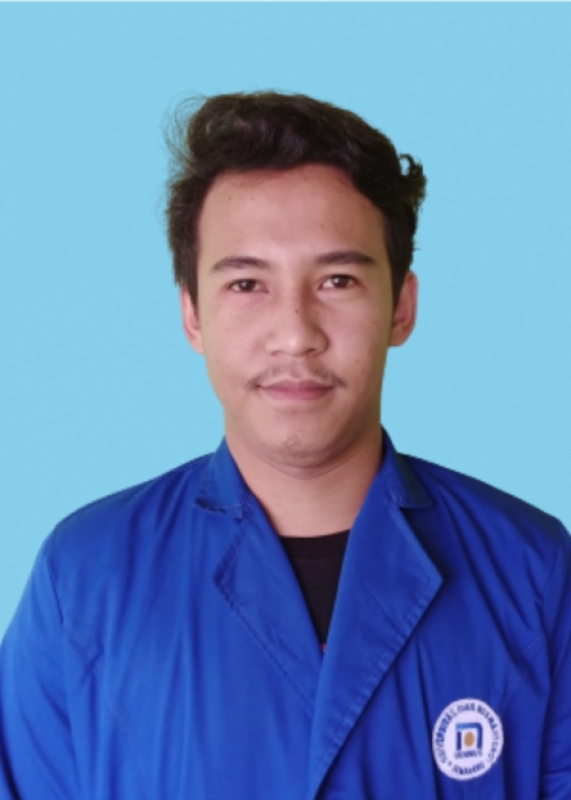 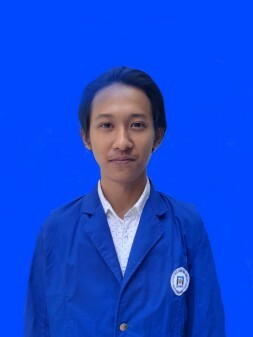 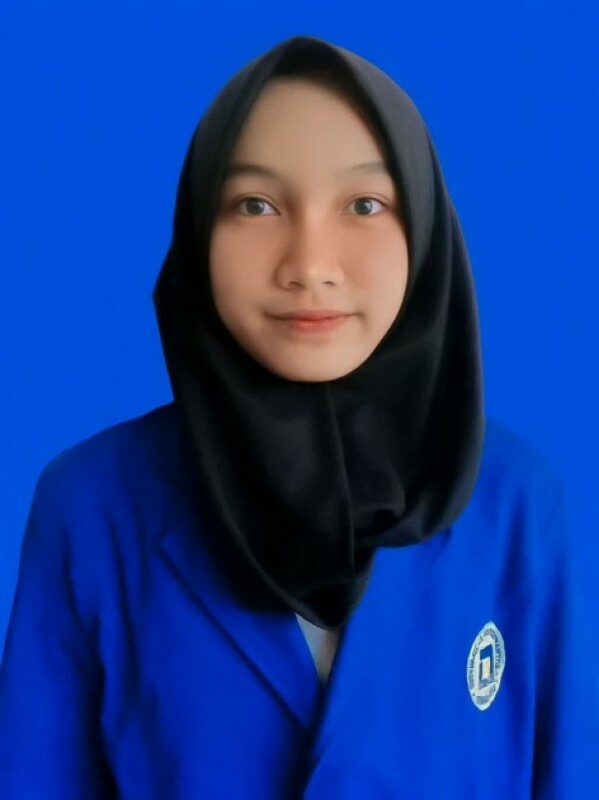 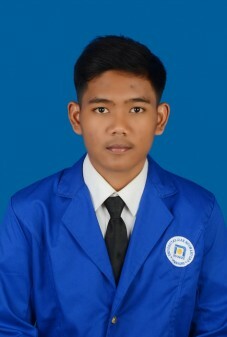 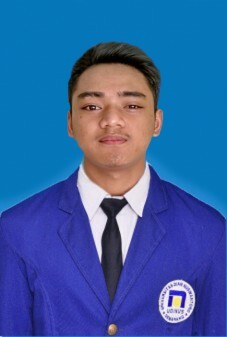 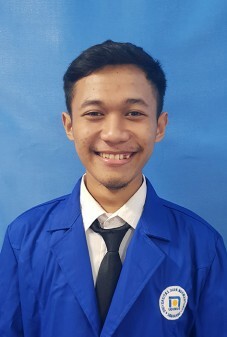 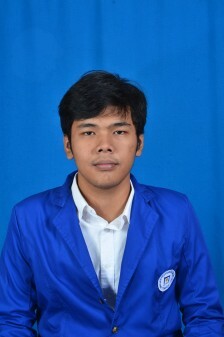 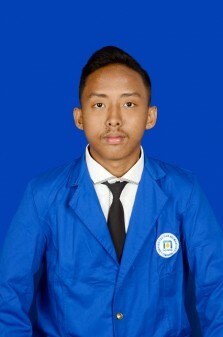 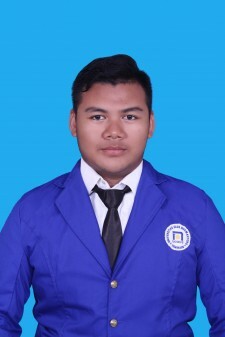 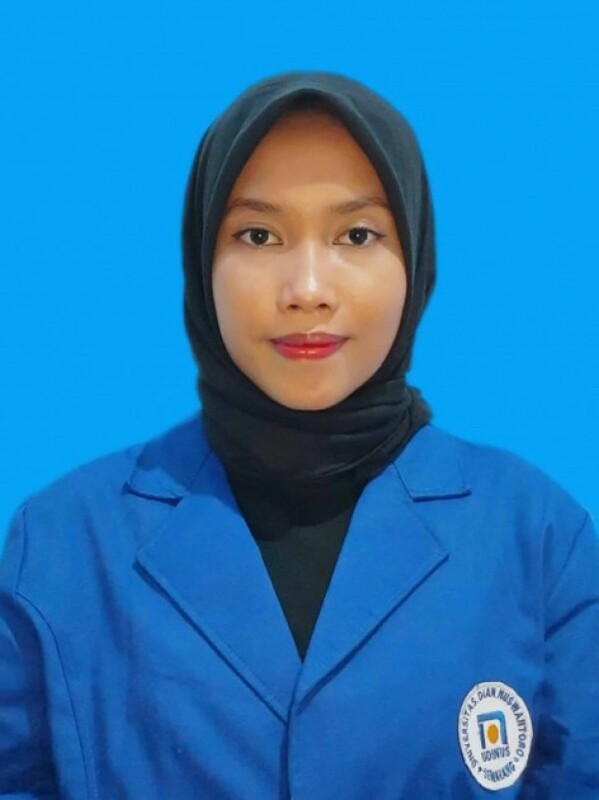 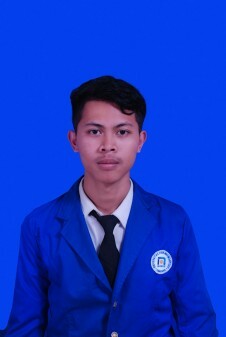 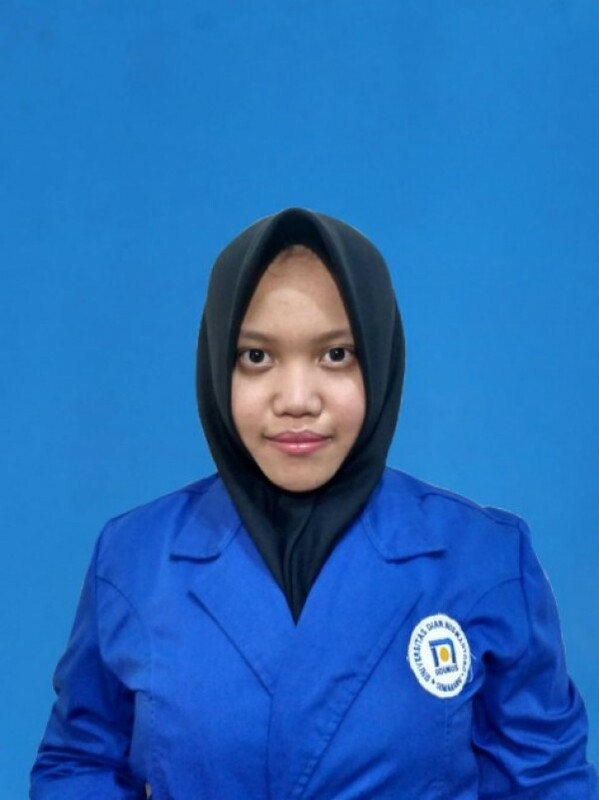 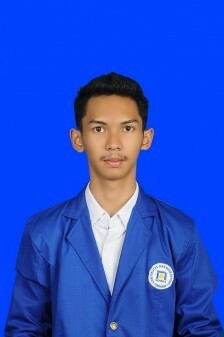 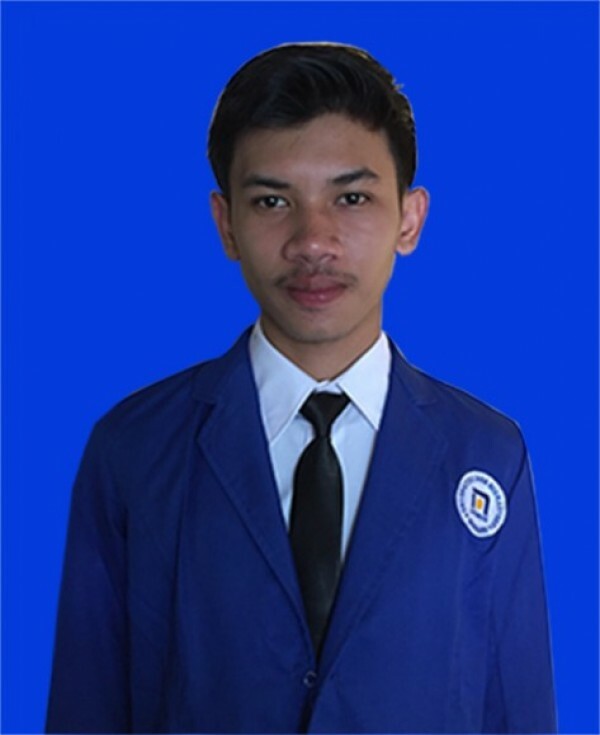 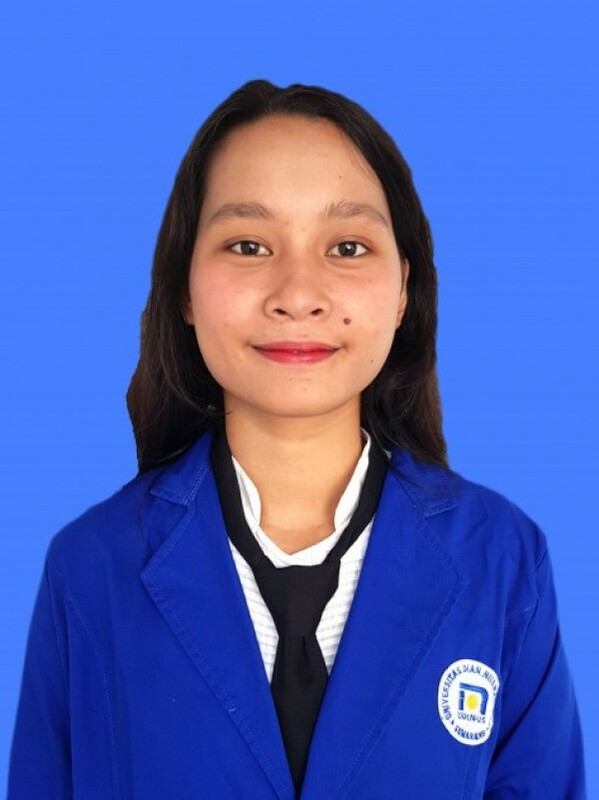 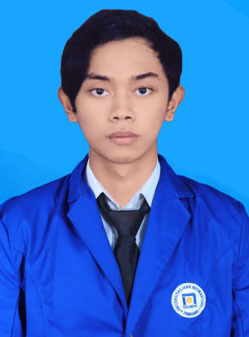 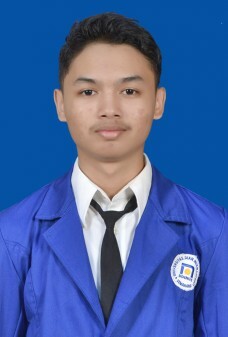 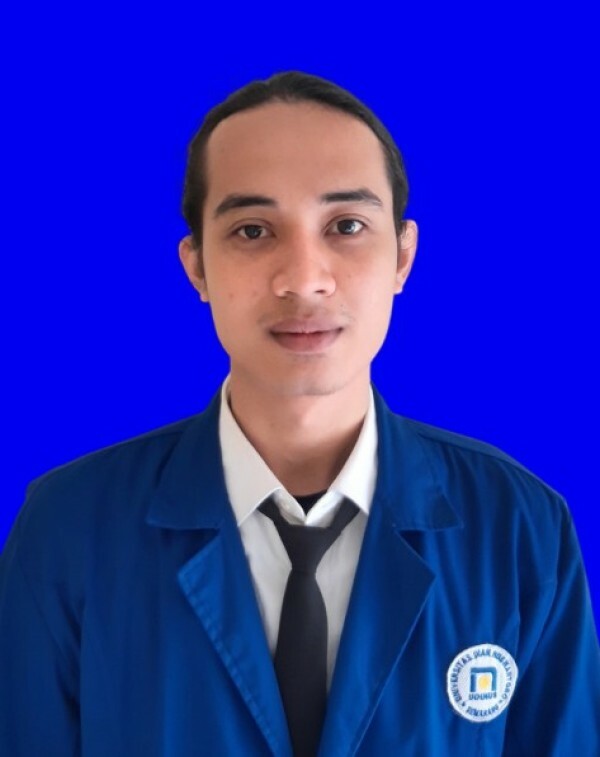 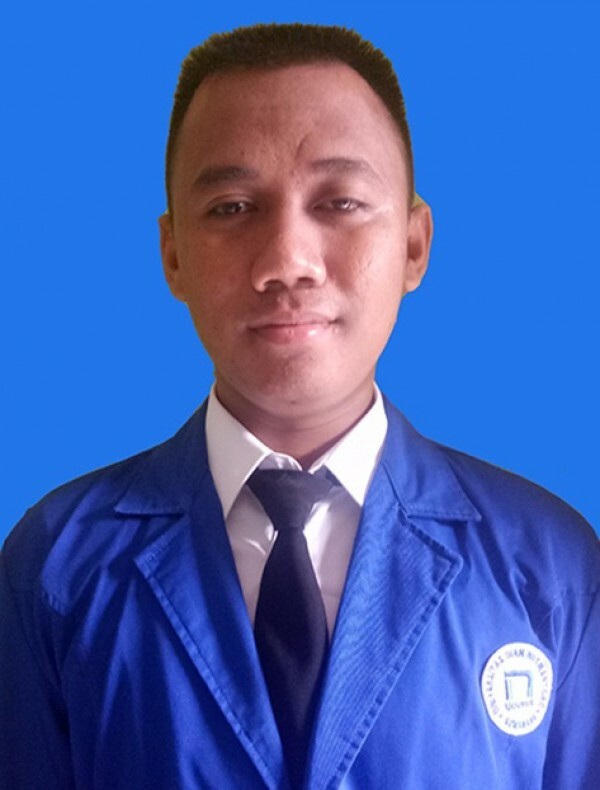 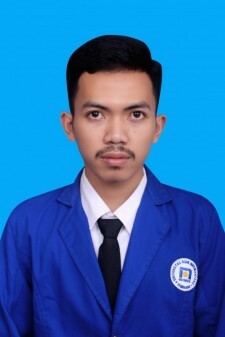 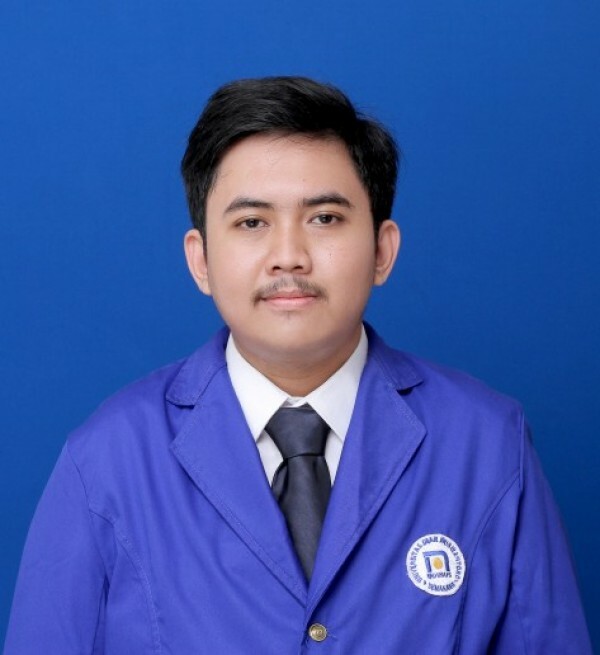 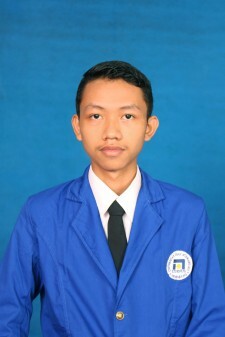 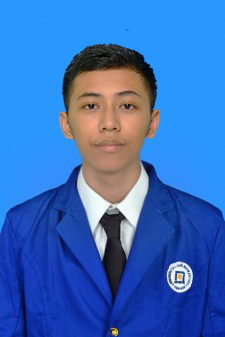 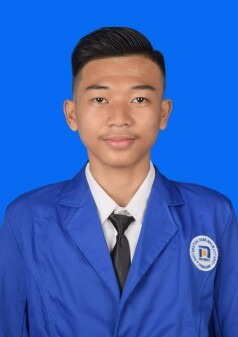 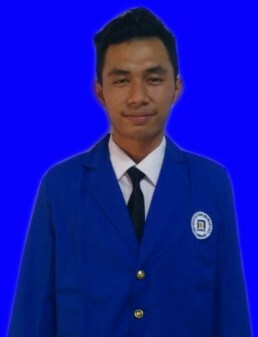 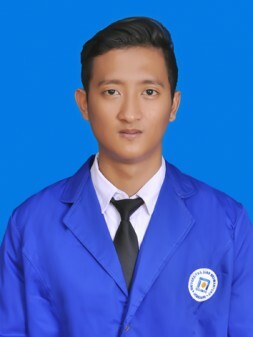 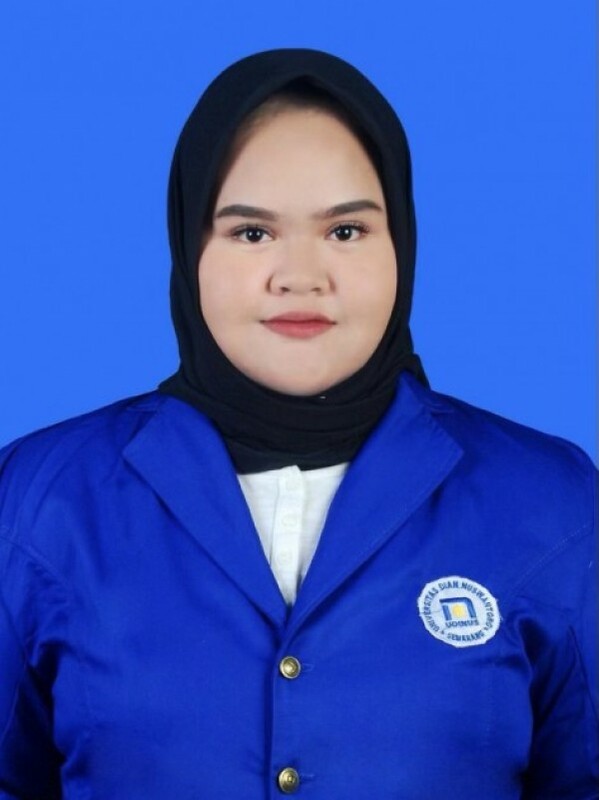 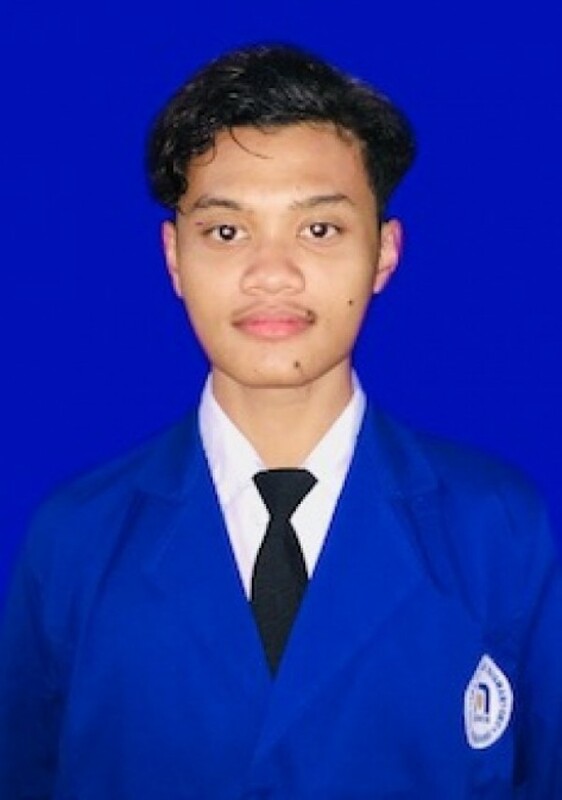 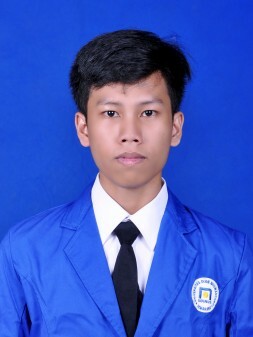 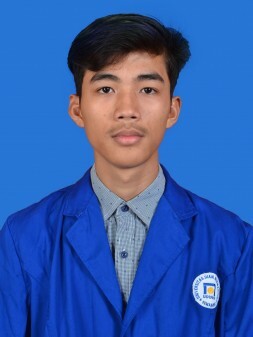 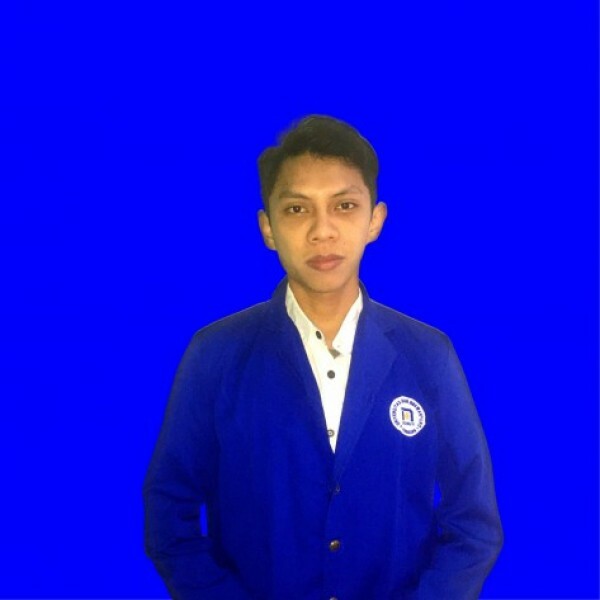 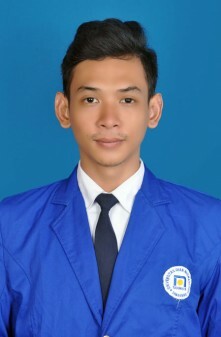 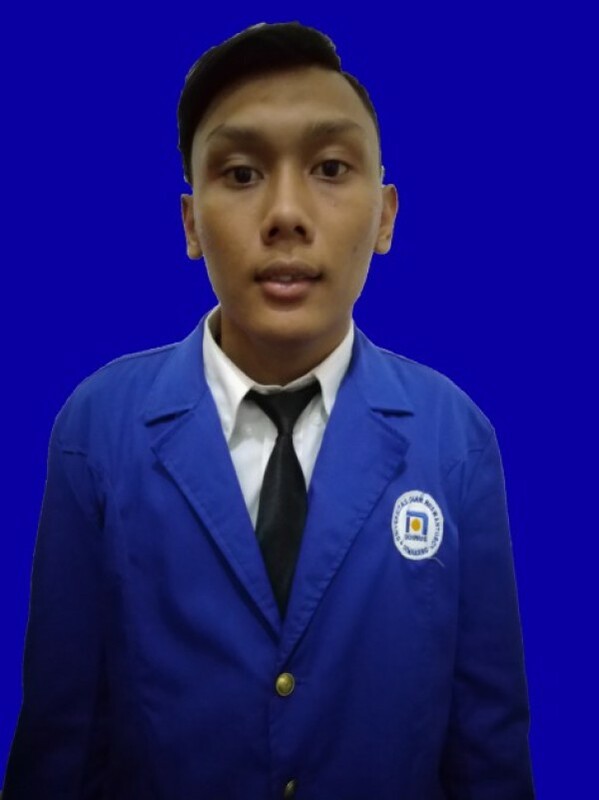 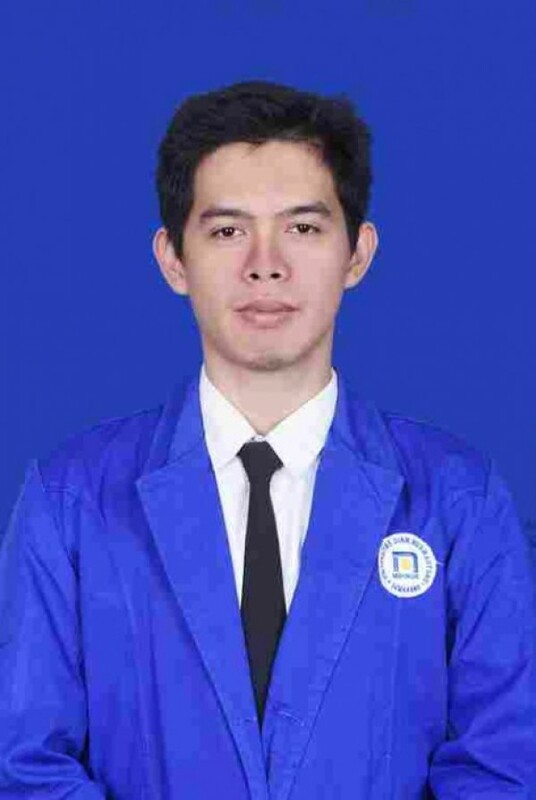 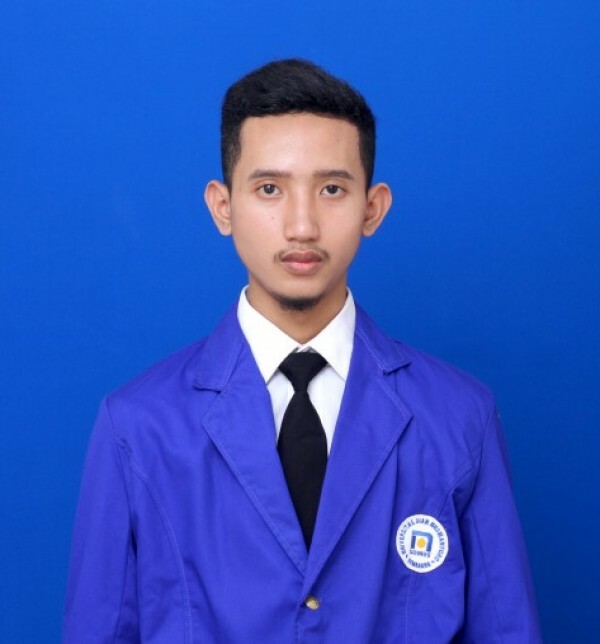 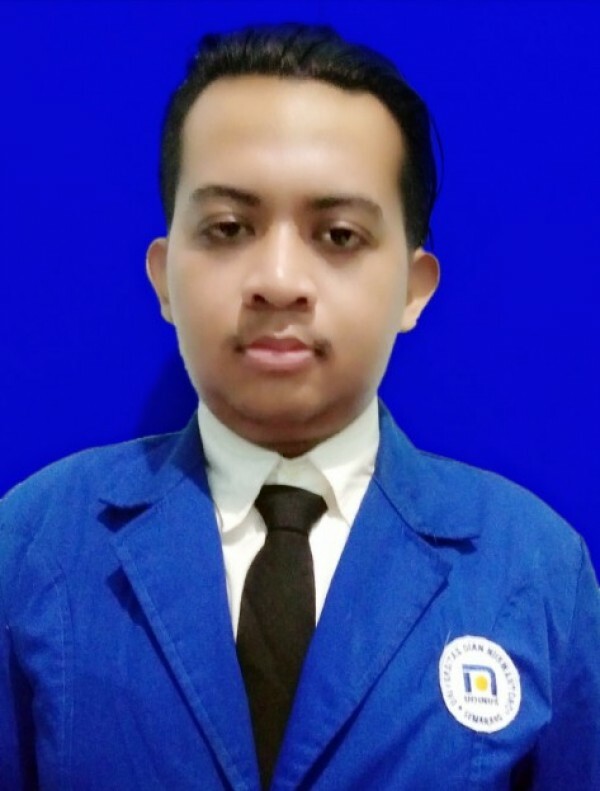 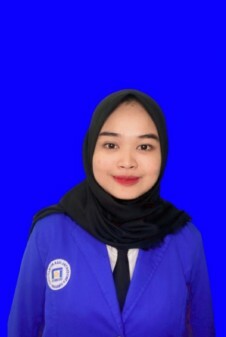 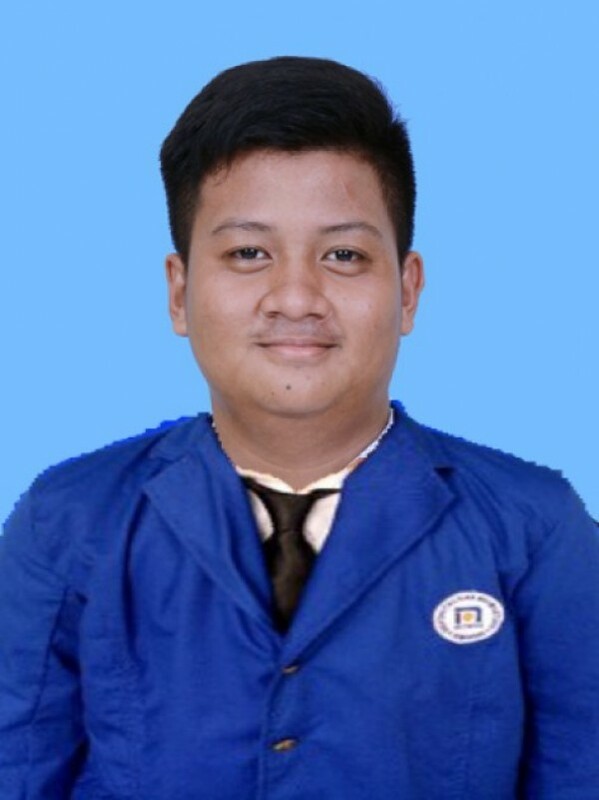 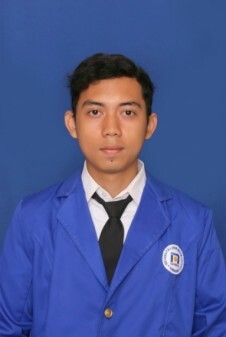 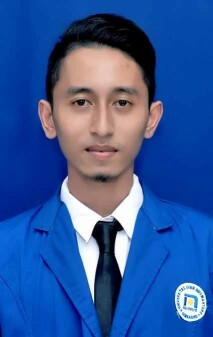 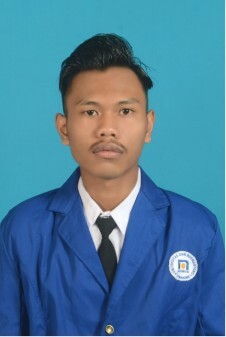 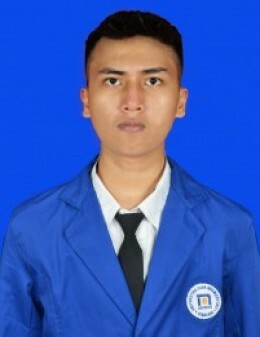 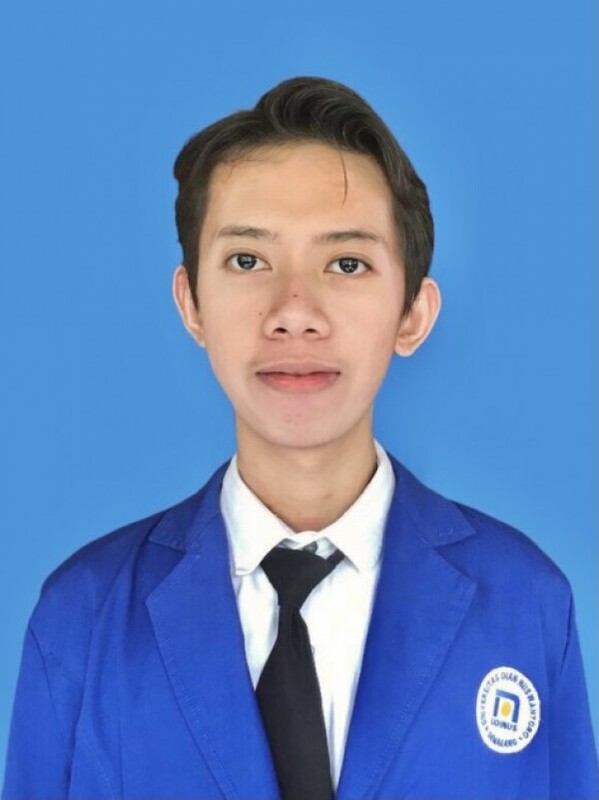 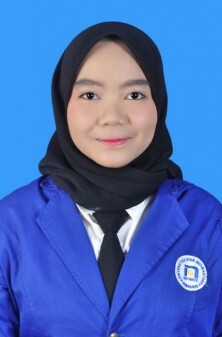 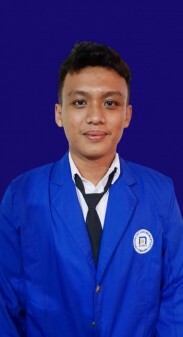 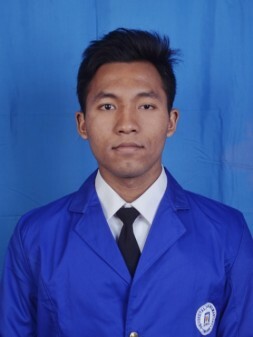 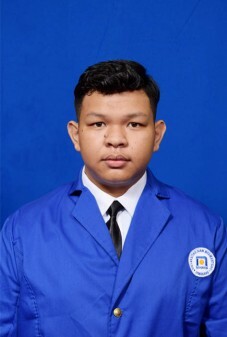 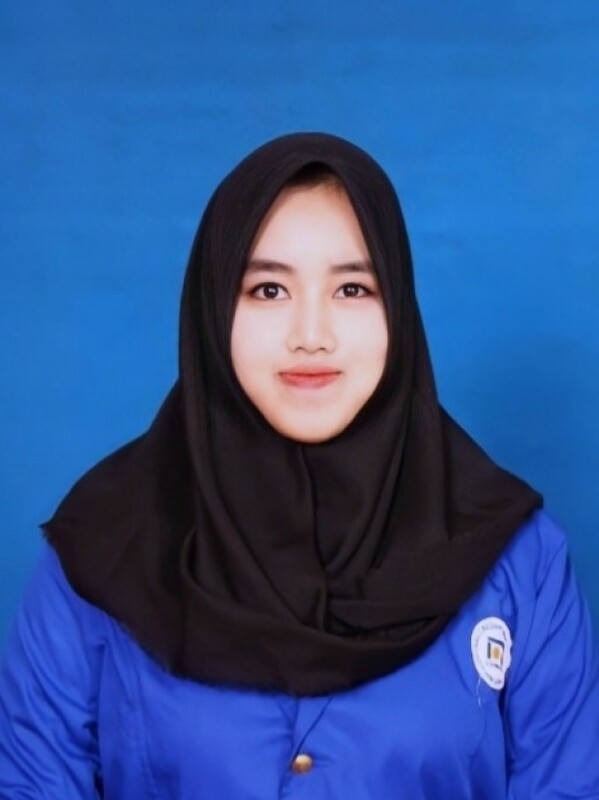 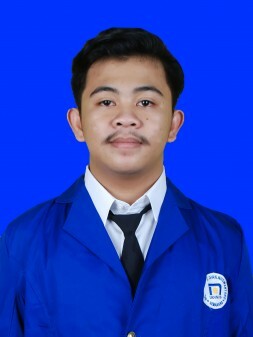 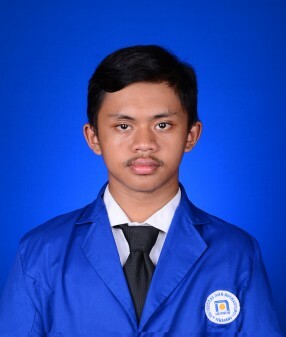 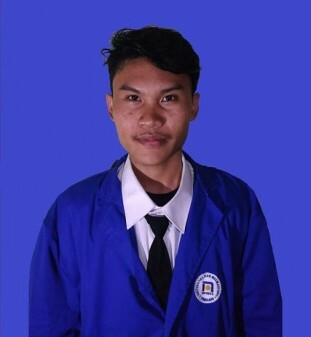 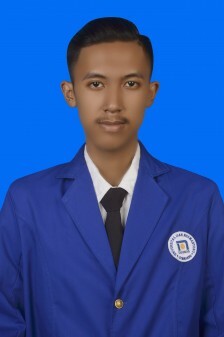 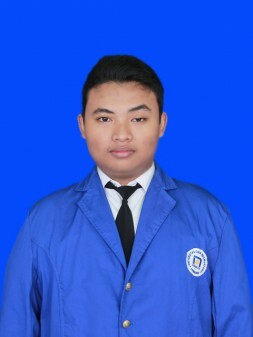 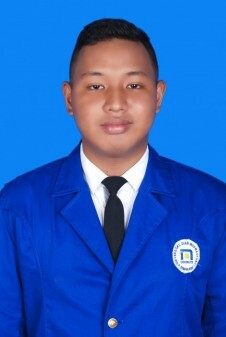 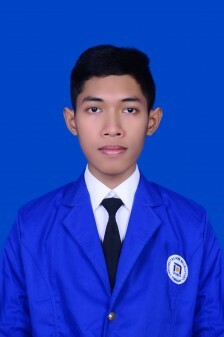 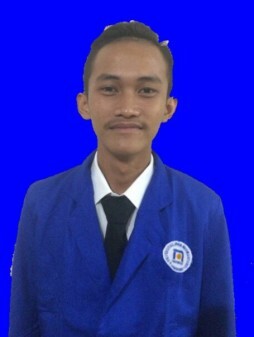 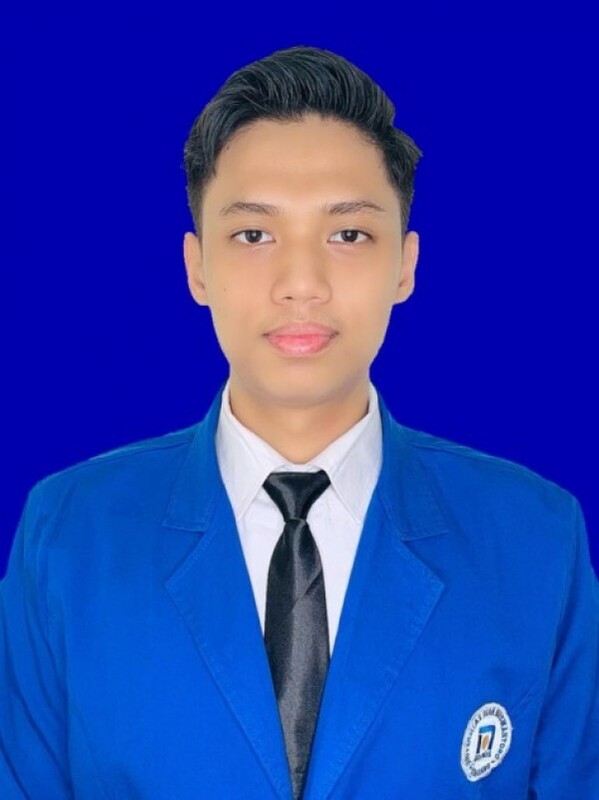 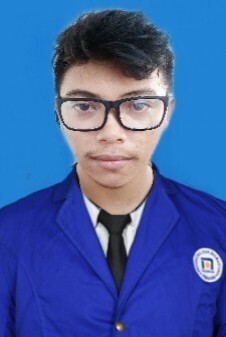 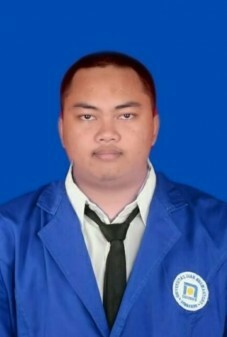 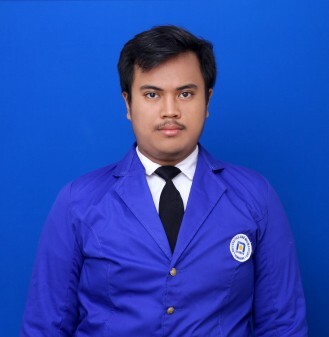 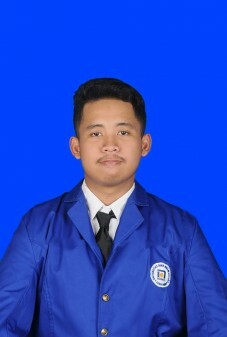 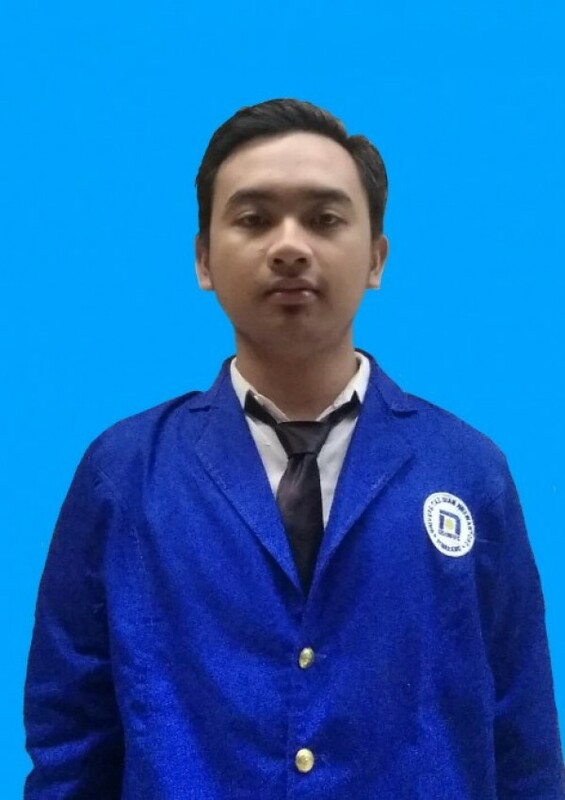 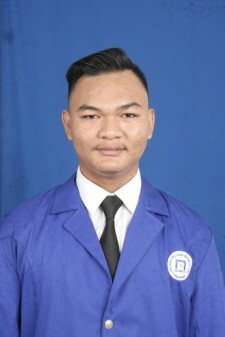 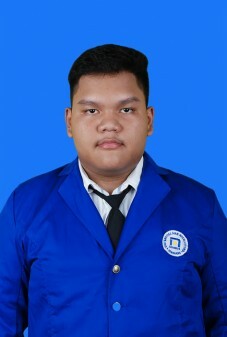 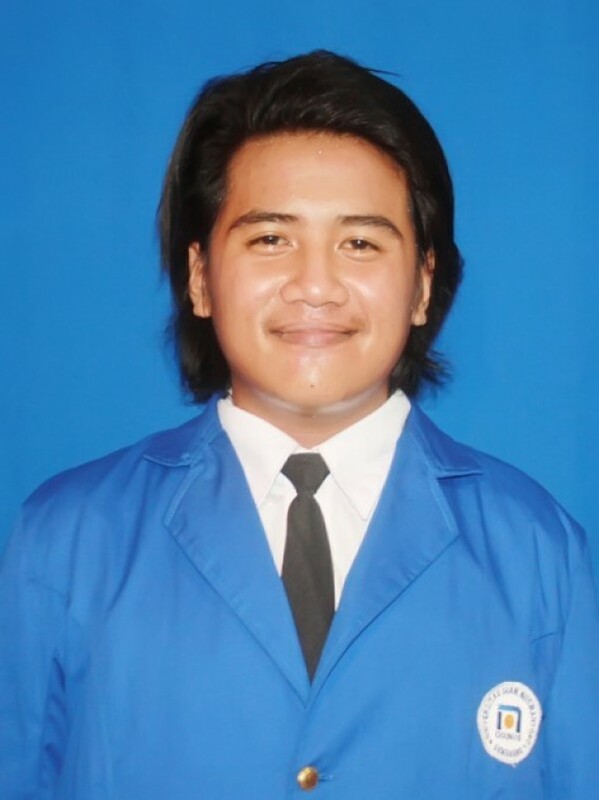 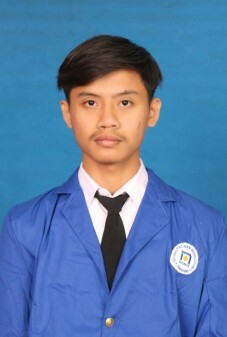 Nowadays, this largest faculty at Dian Nuswantoro University is in its organizational processes on several excellent programs, such as twinning, sitting, credit transfer, vocational, and fast tract programs. 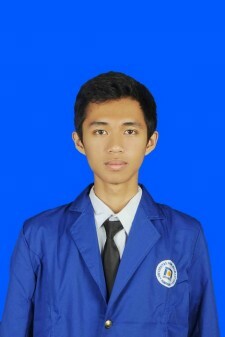 Implementing competence-based education regarding to sciences and the dynamic needs of society. 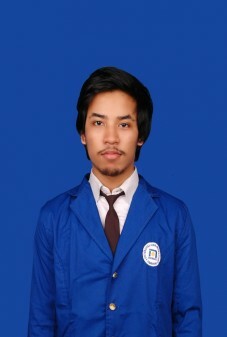 Cooperating with various institutions on the behalf of faculty development and empowerment. 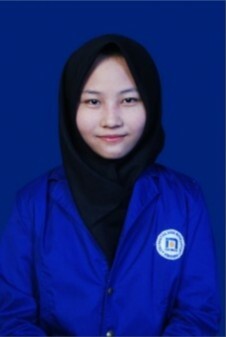 Developing relevant businesses by involving academic communities to support education, researches, and community services. 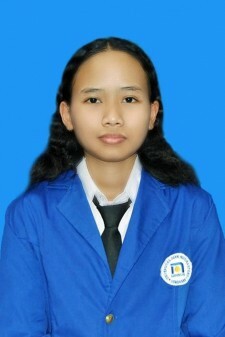 To generate the highly qualified graduates in their fields of study and entrepreneurship. 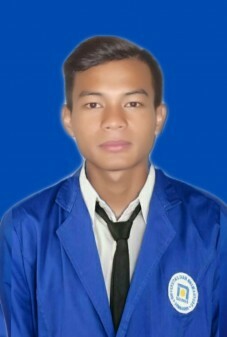 To establish cooperation/partnership in various fields, either with government or other private institutions, in both national and international levels. 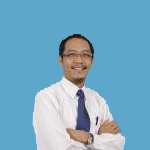 To create service systems and program-oriented works for stakeholders’ satisfaction. 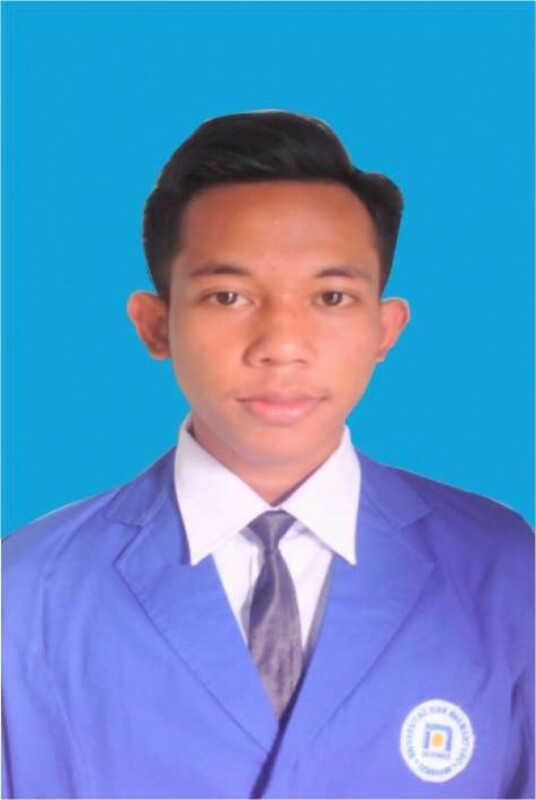 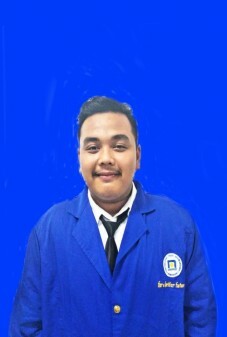 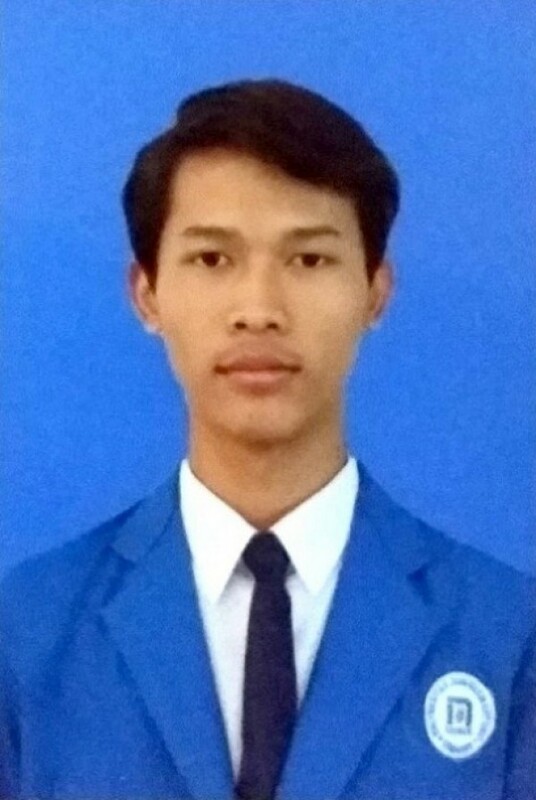 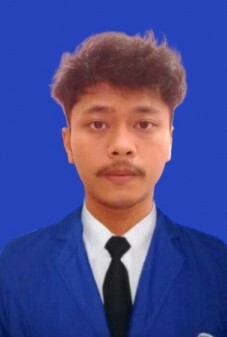 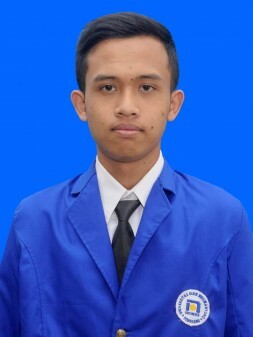 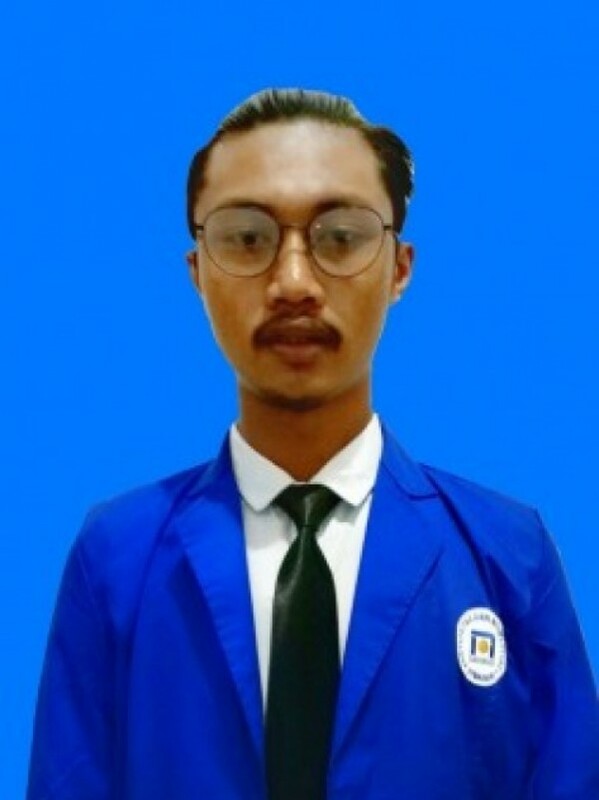 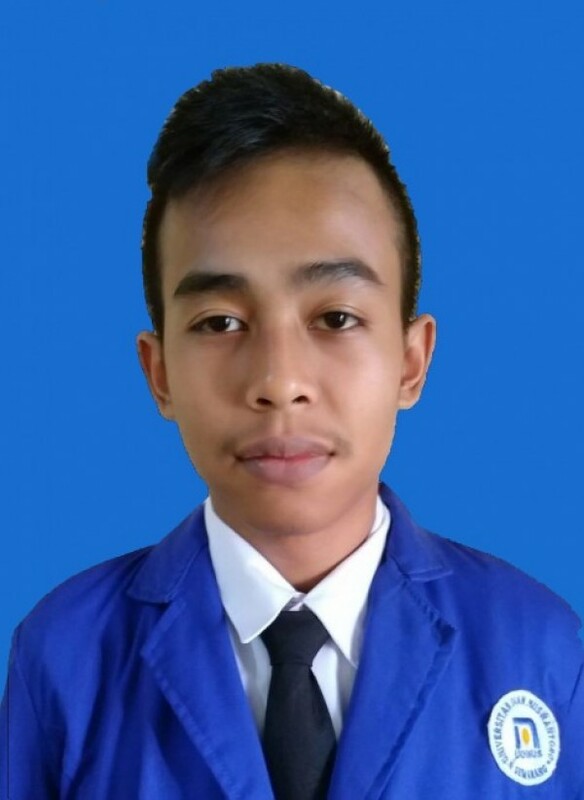 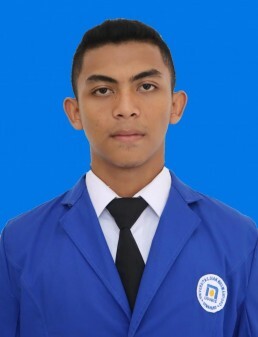 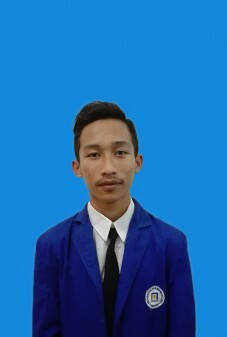 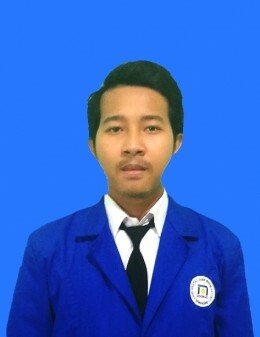 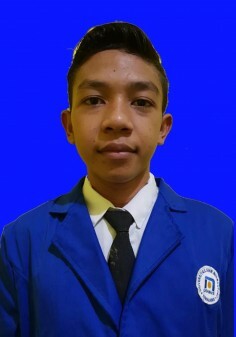 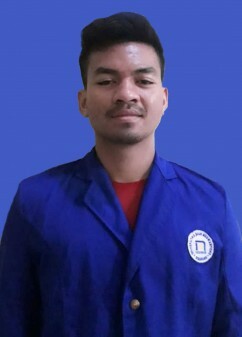 Kelas Kosong Dosen Pengampu Dr. Raden Arief Nugroho, S.S., M.Hum. 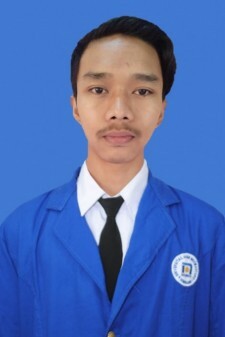 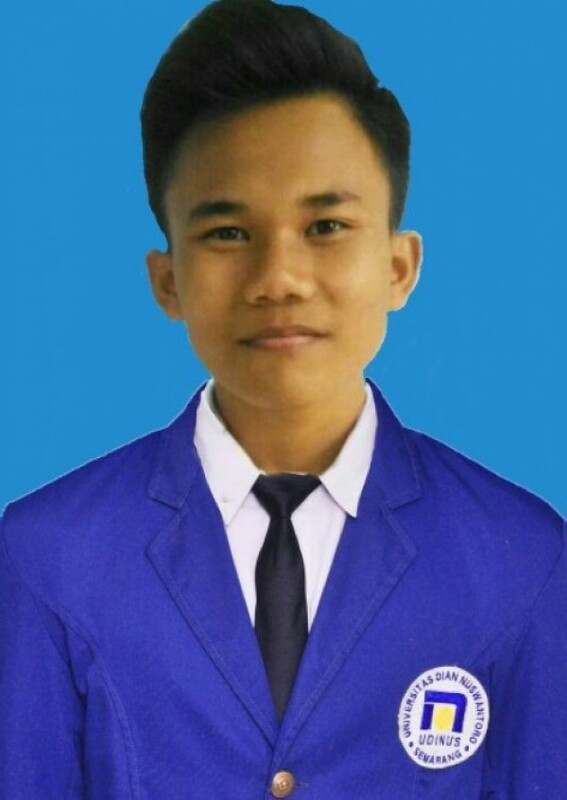 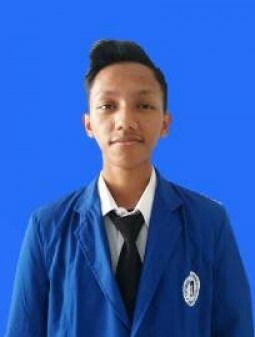 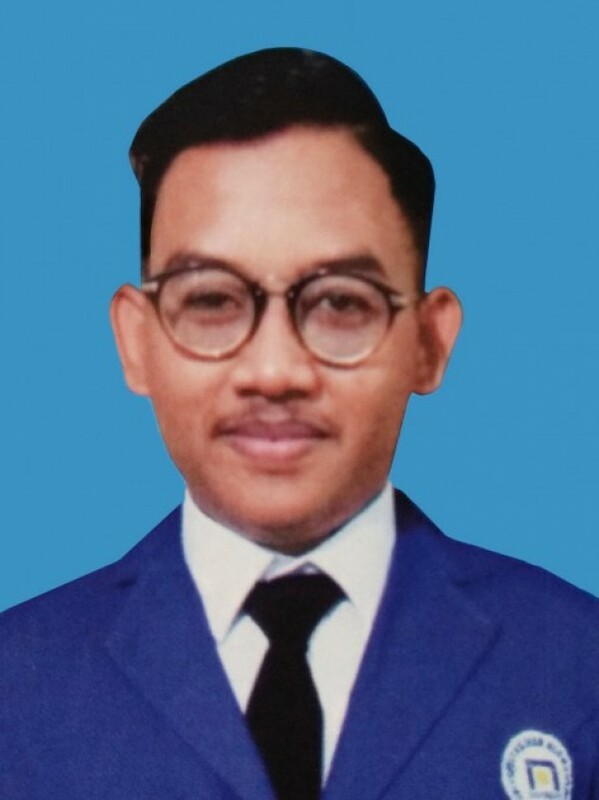 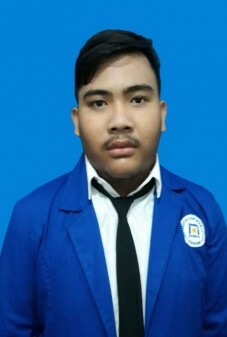 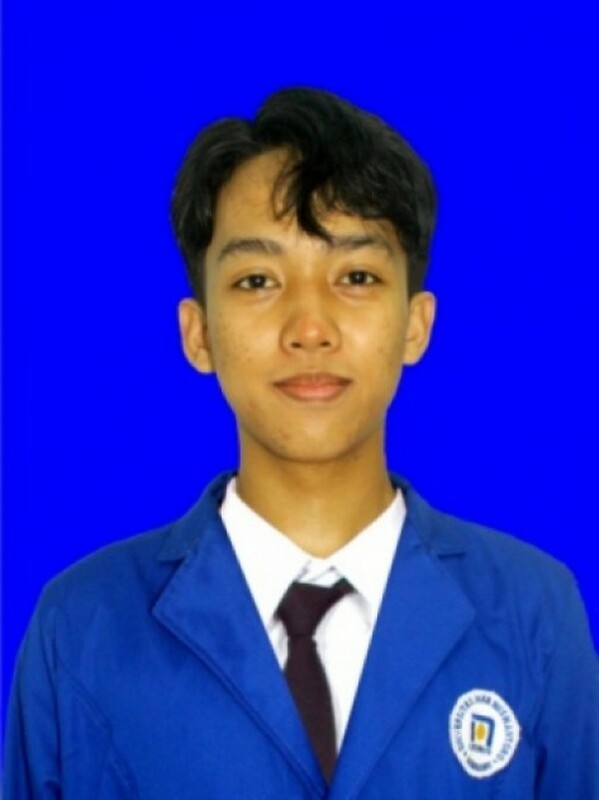 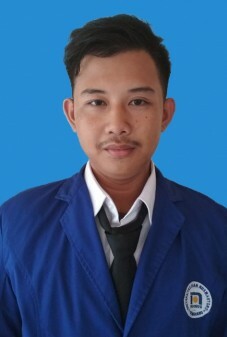 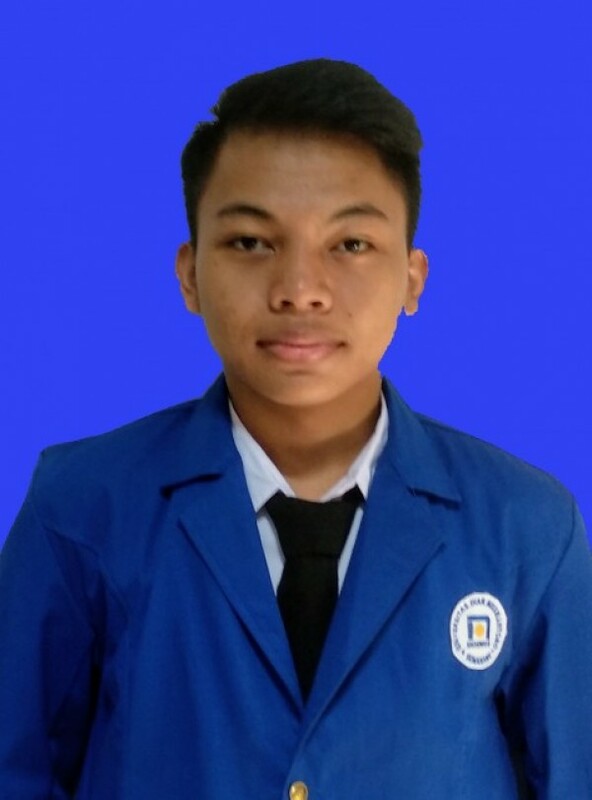 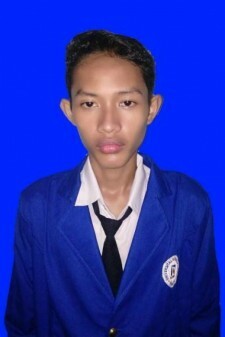 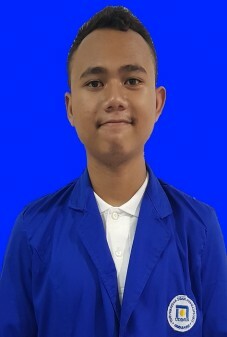 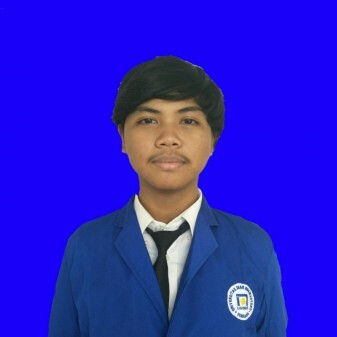 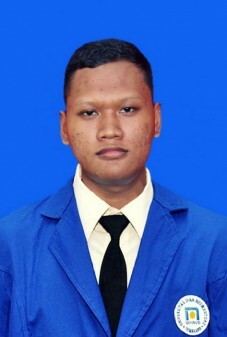 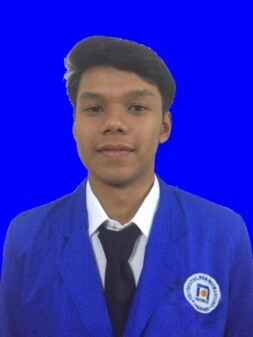 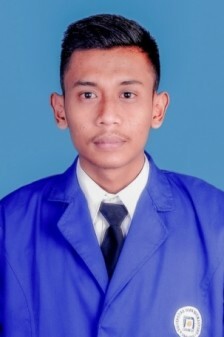 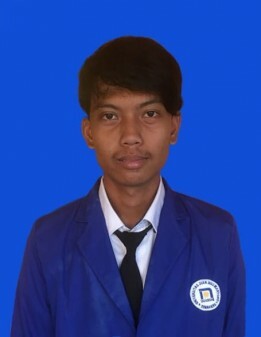 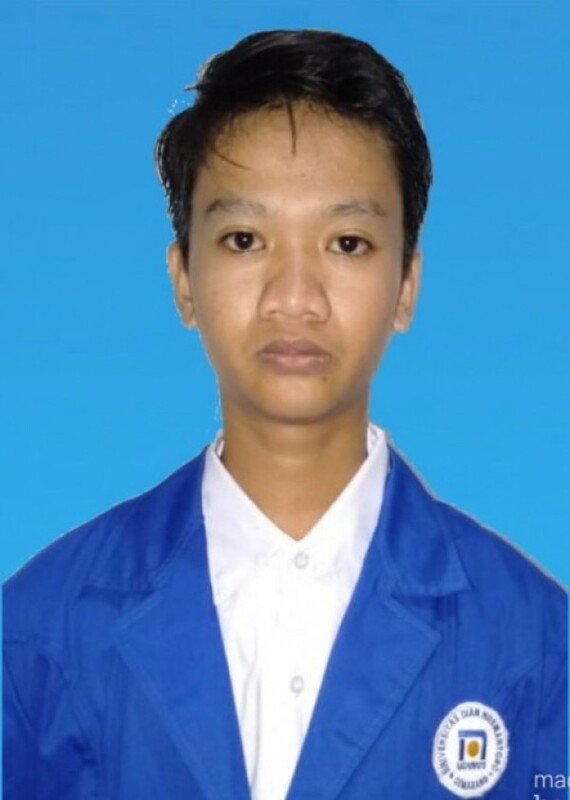 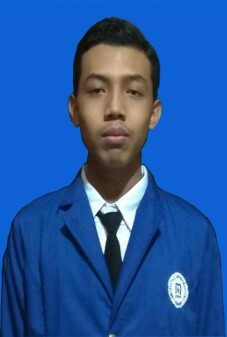 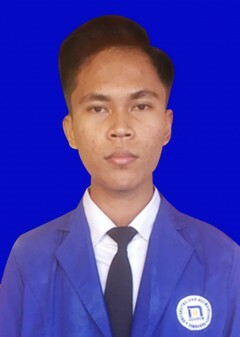 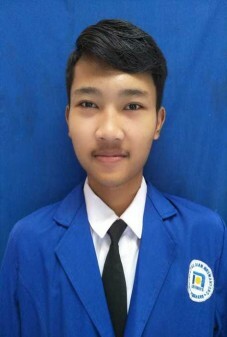 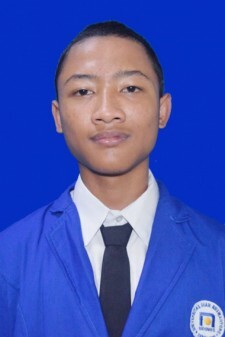 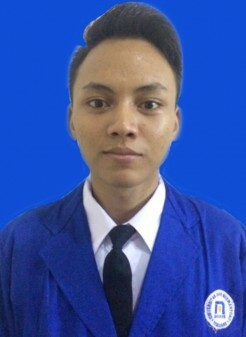 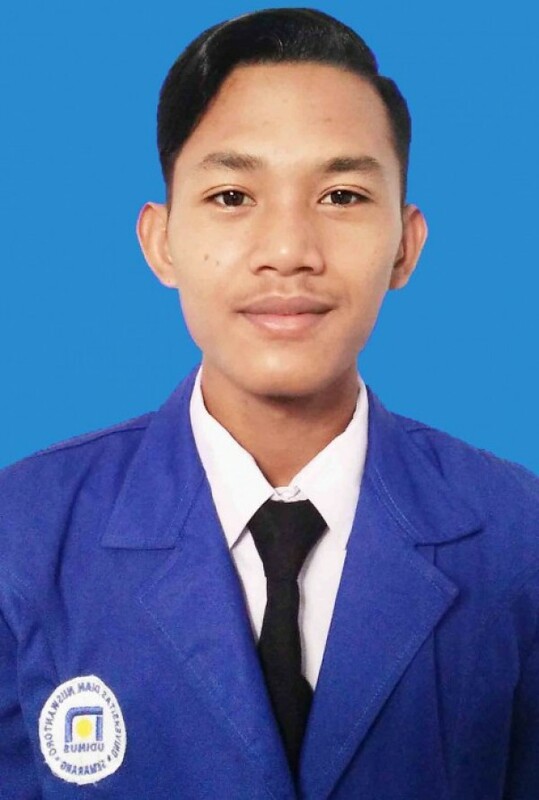 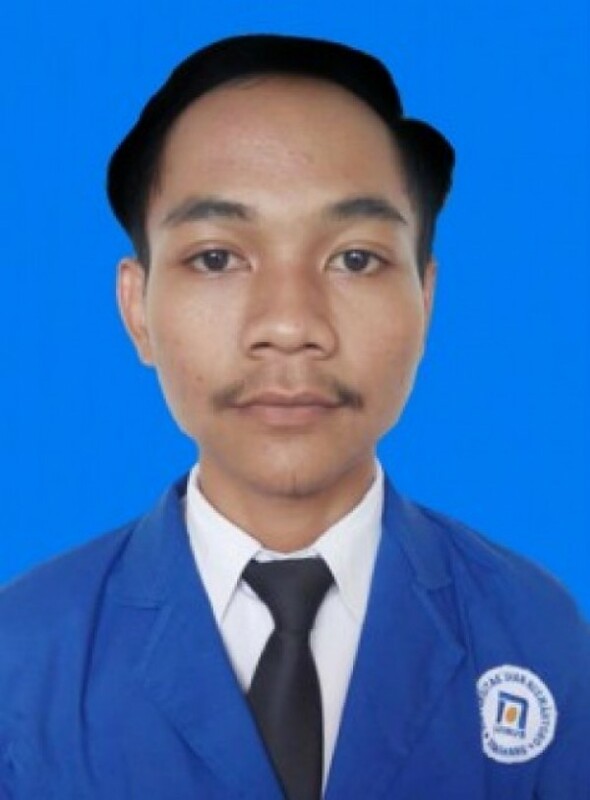 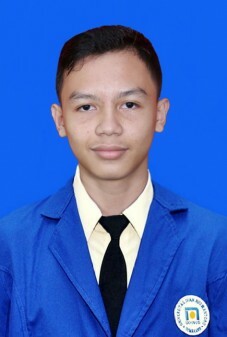 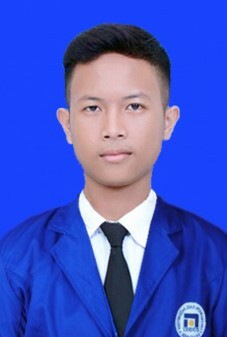 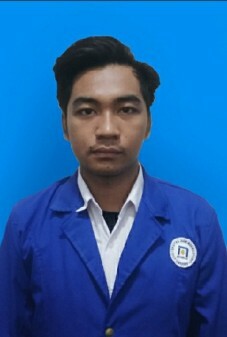 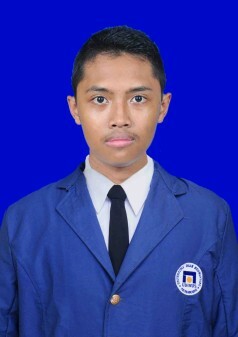 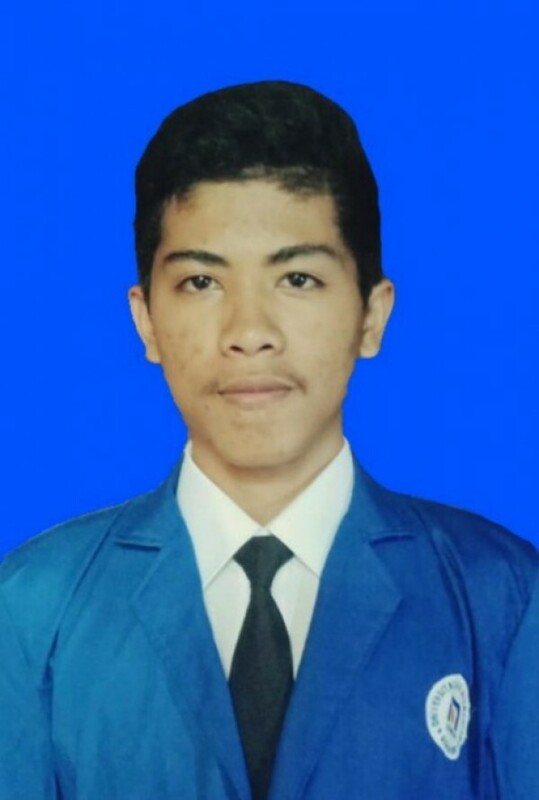 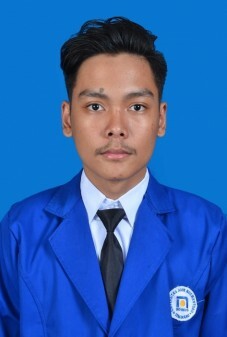 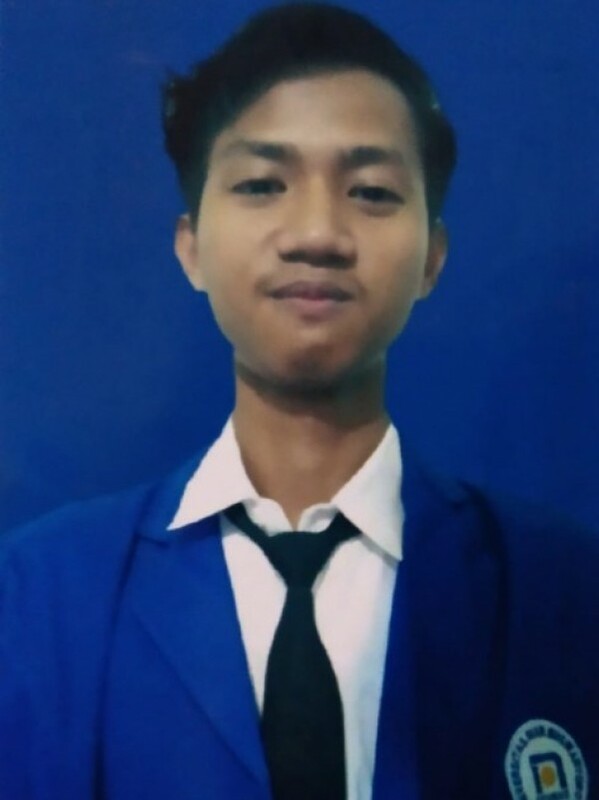 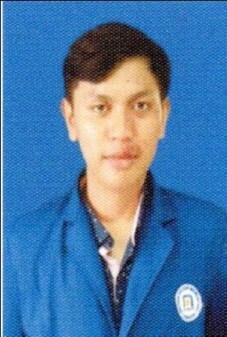 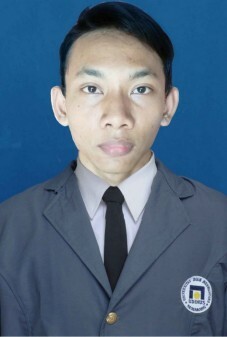 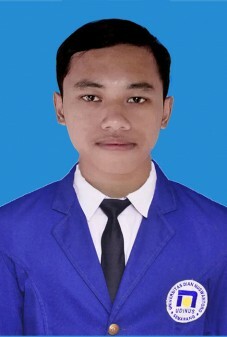 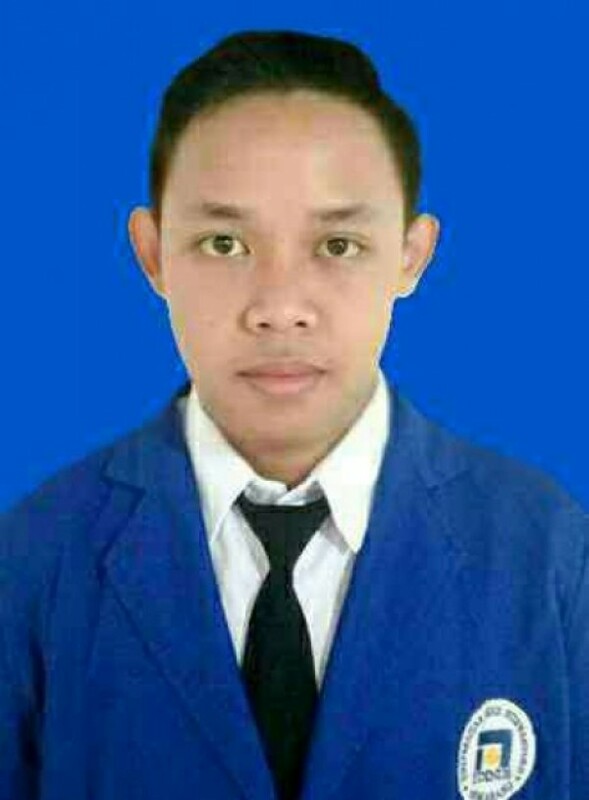 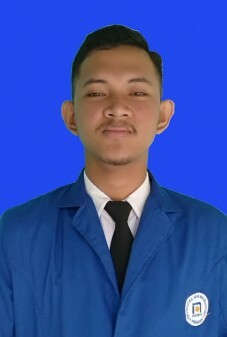 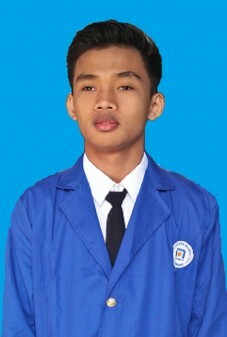 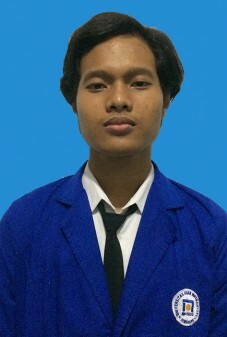 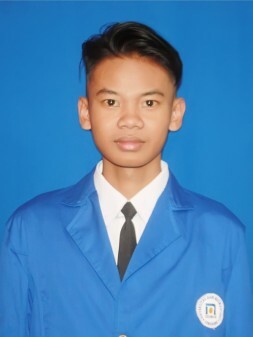 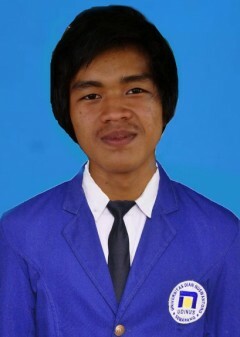 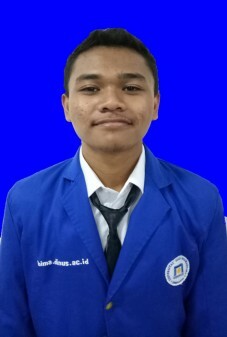 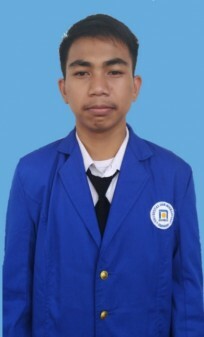 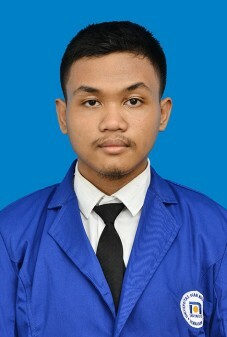 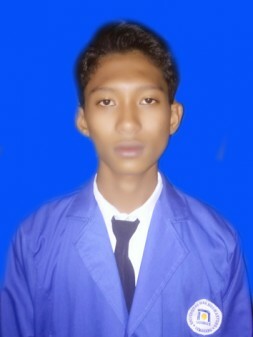 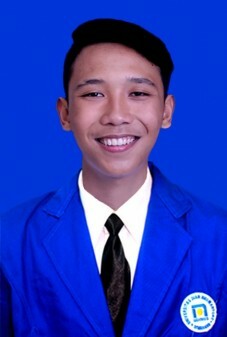 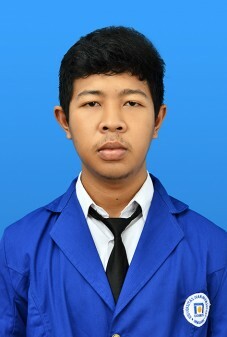 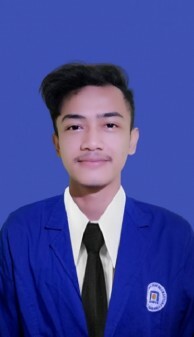 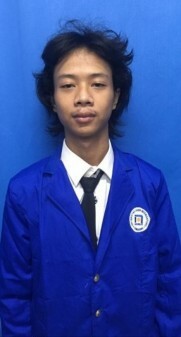 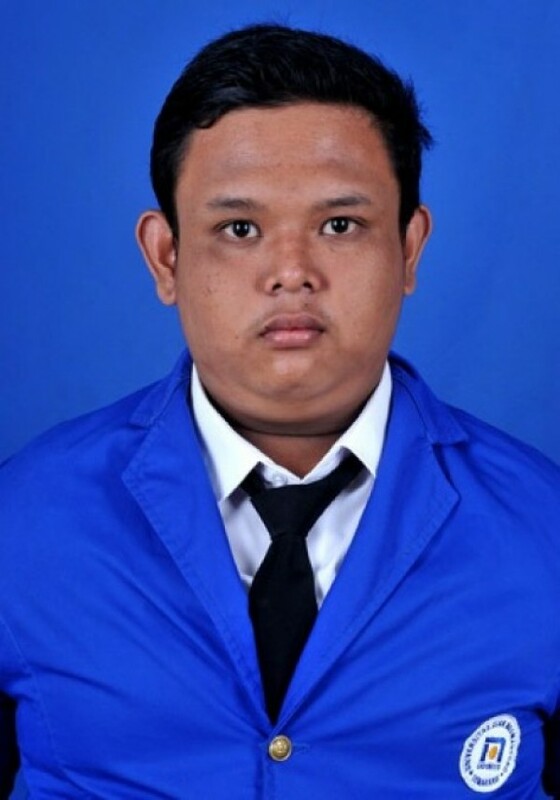 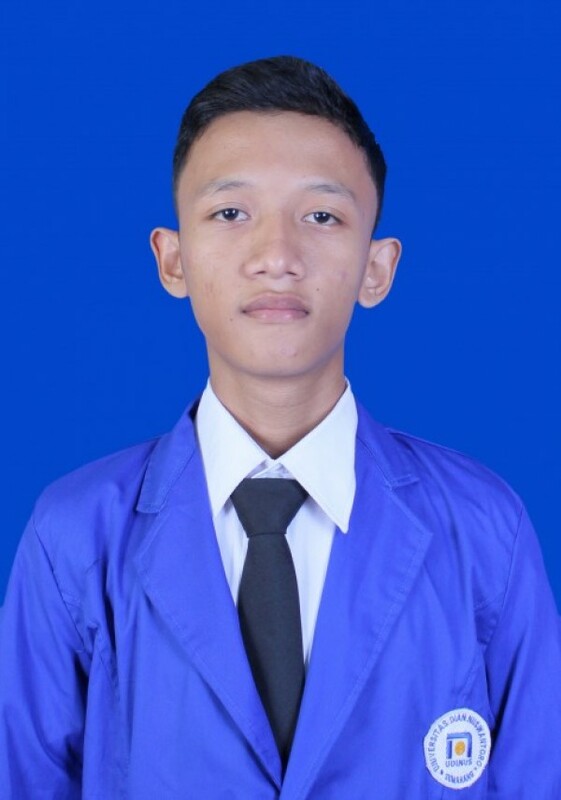 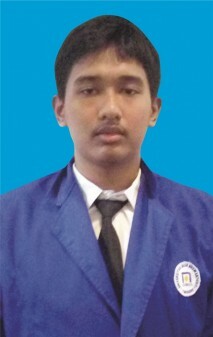 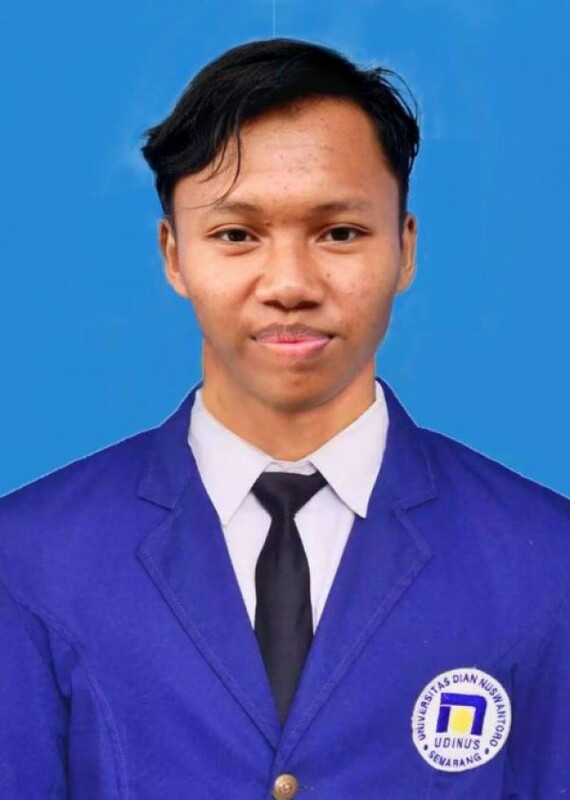 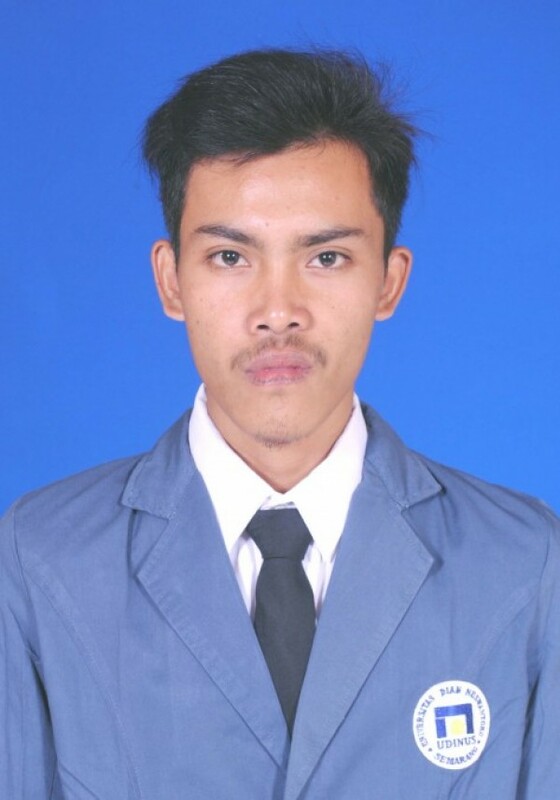 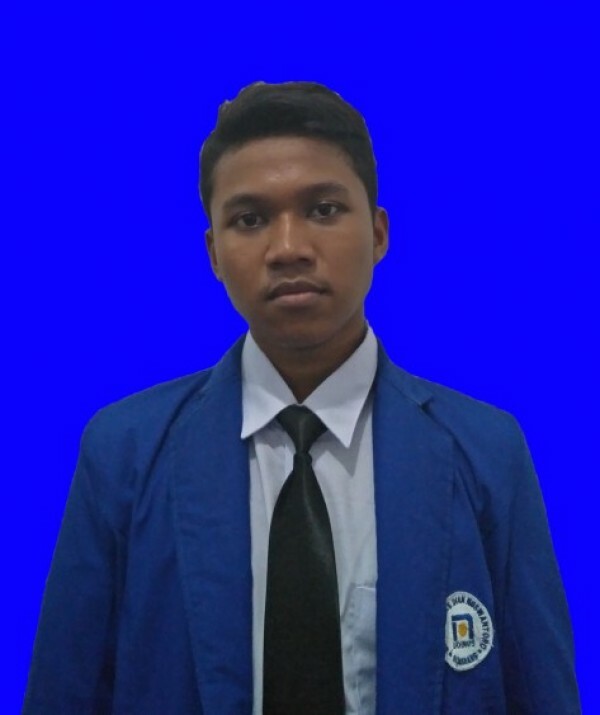 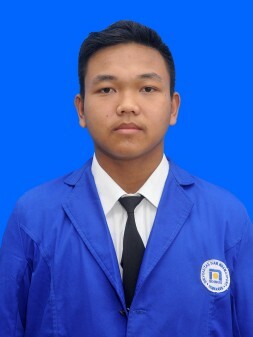 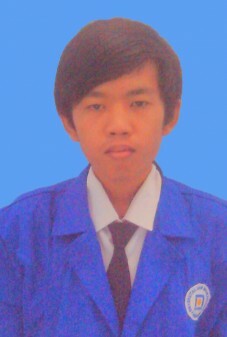 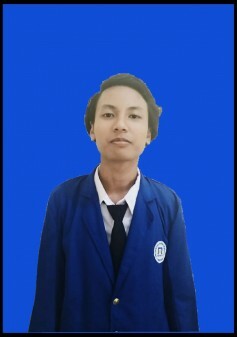 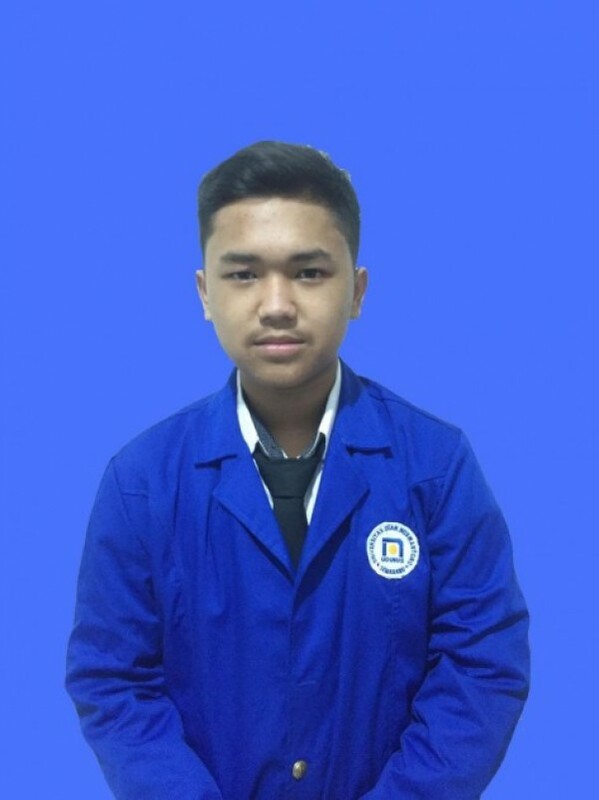 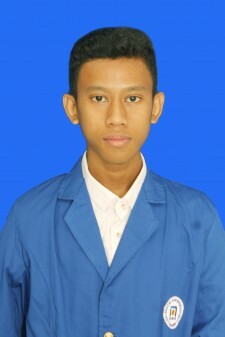 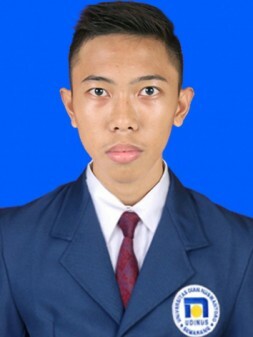 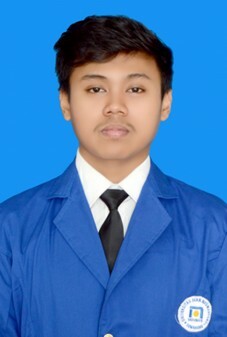 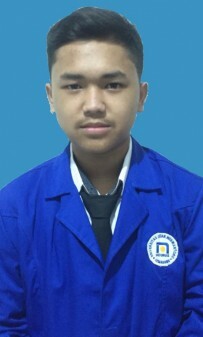 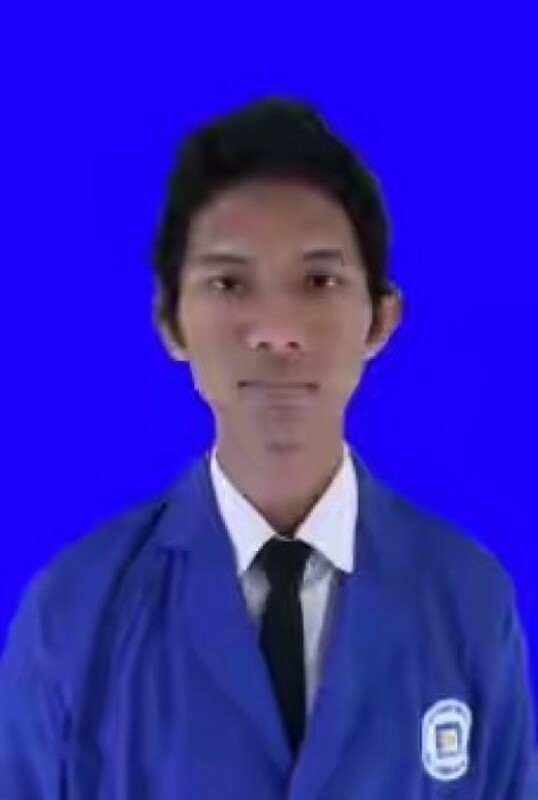 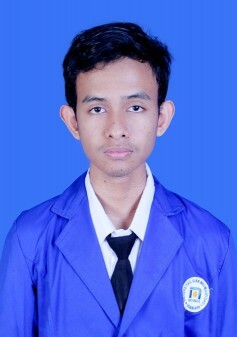 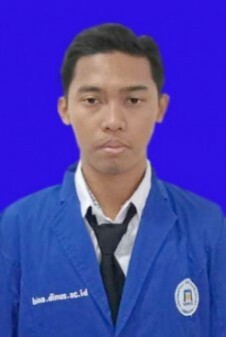 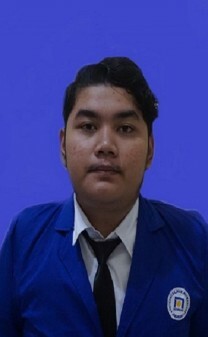 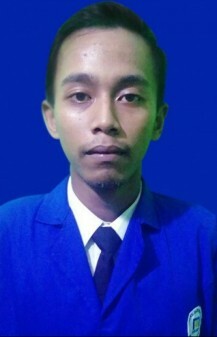 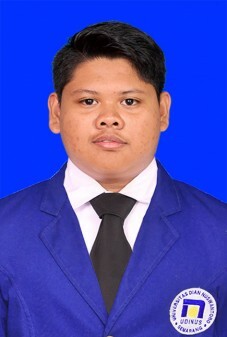 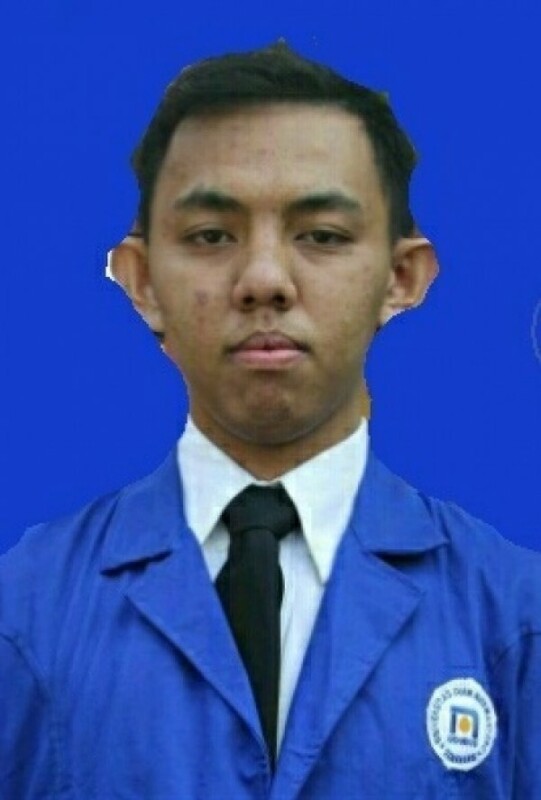 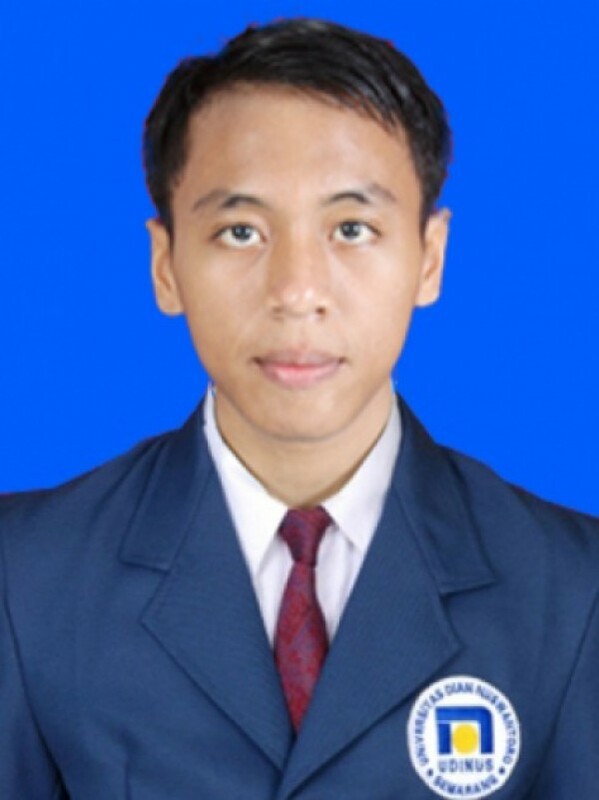 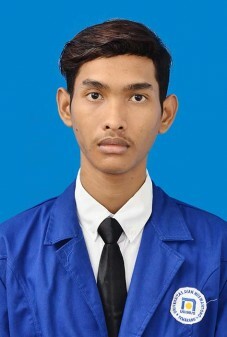 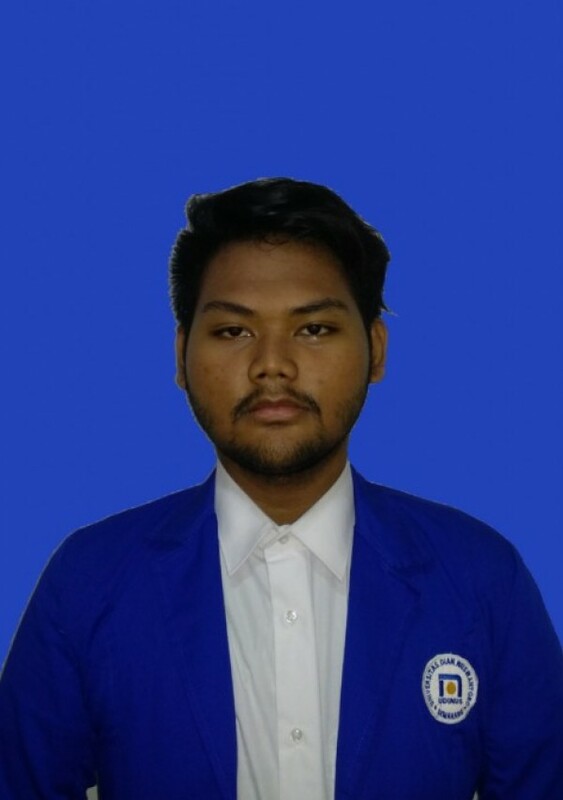 Dosen Wali : IBNU UTOMO W.M. 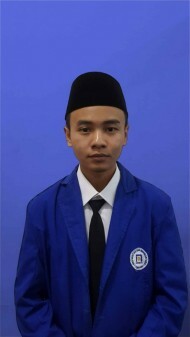 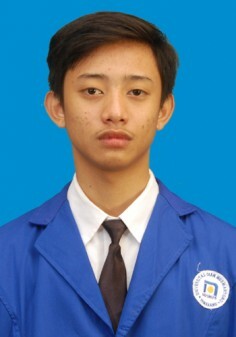 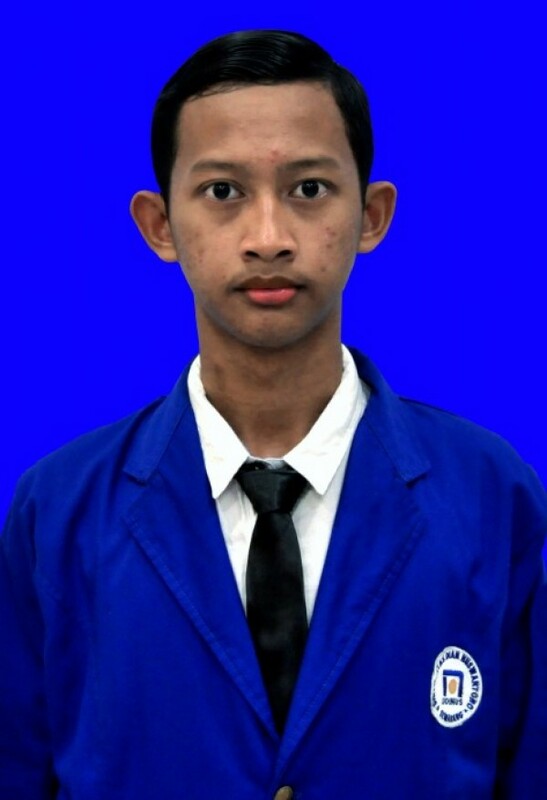 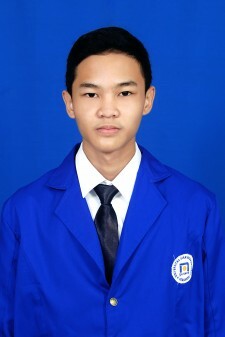 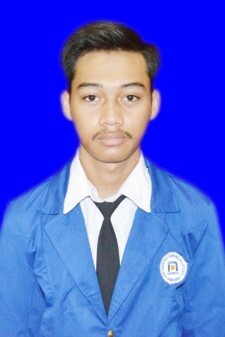 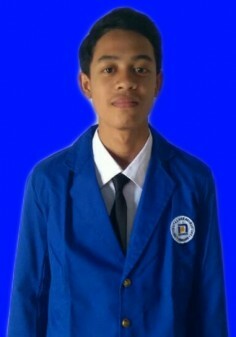 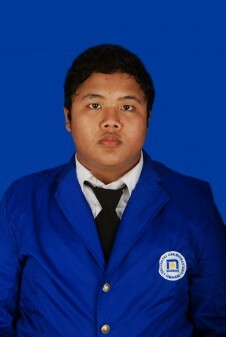 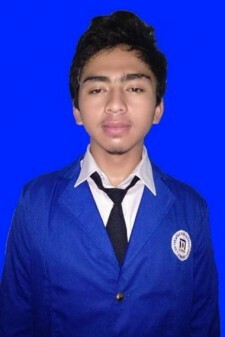 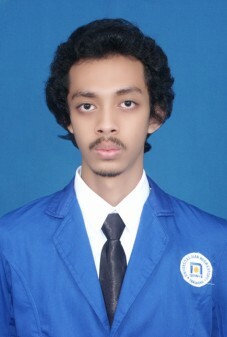 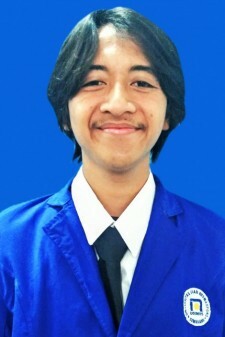 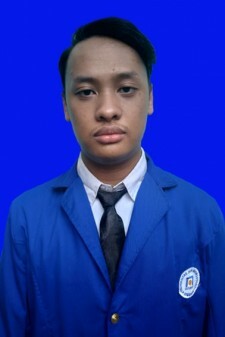 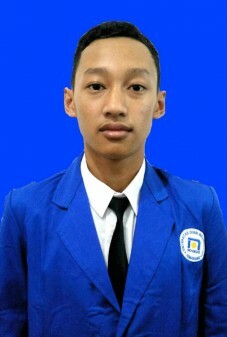 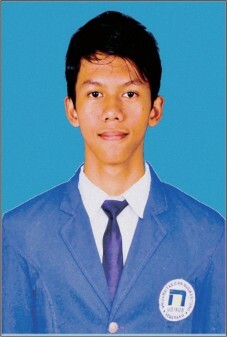 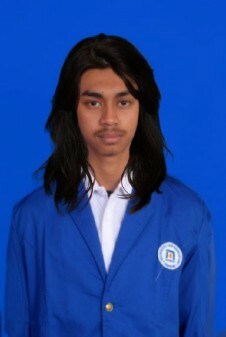 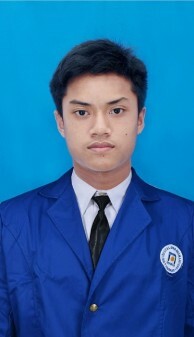 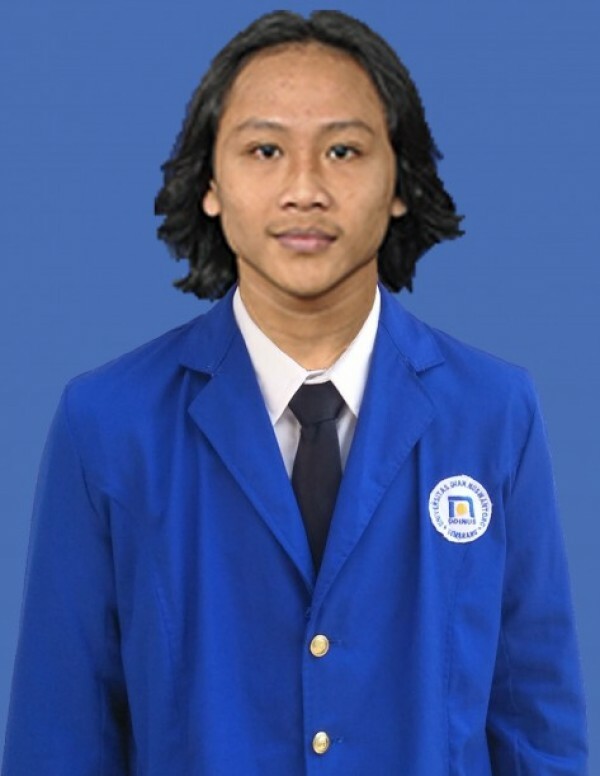 Putra dari MUHAMAD ARIFUDIN, ST. MT. 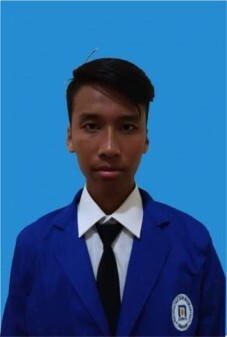 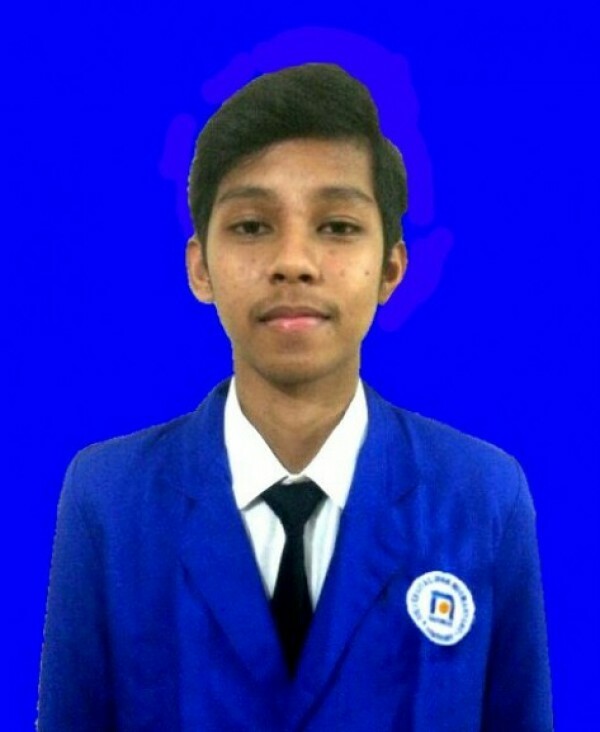 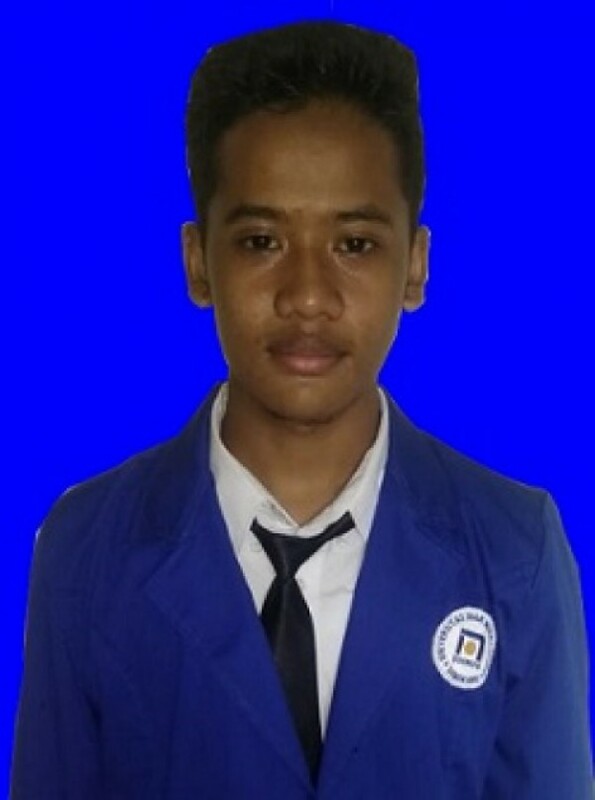 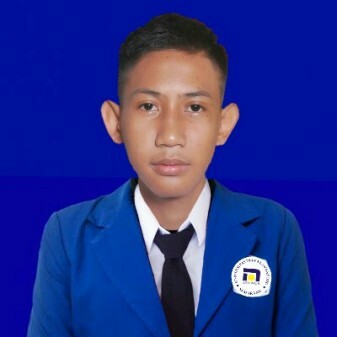 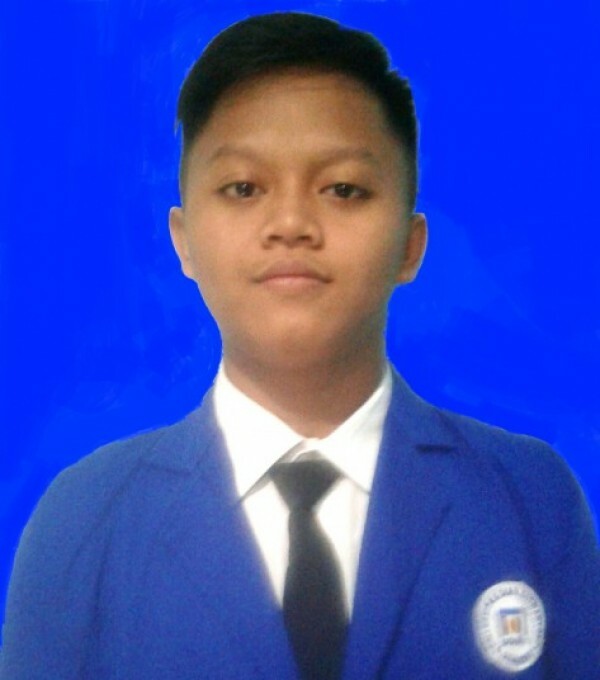 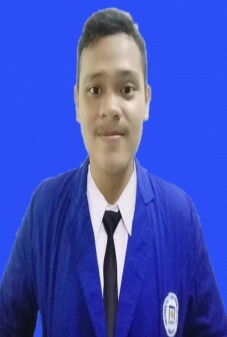 Dosen Wali : SLAMET SUDARYANTO N.
Putra dari R. AGUS HERAWAN P.